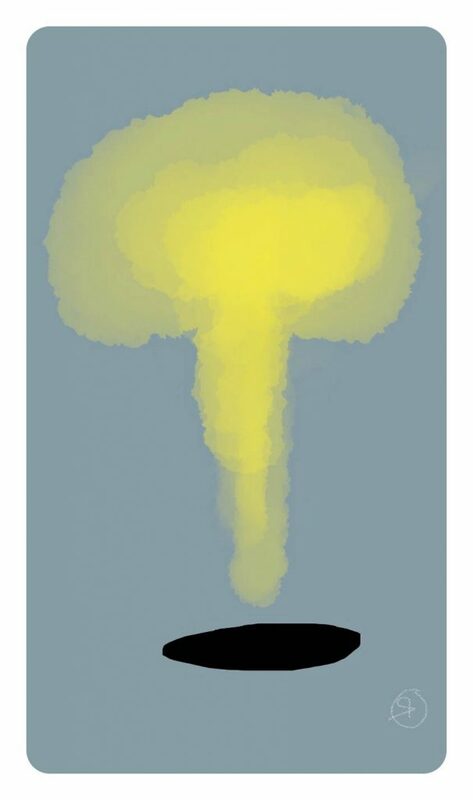 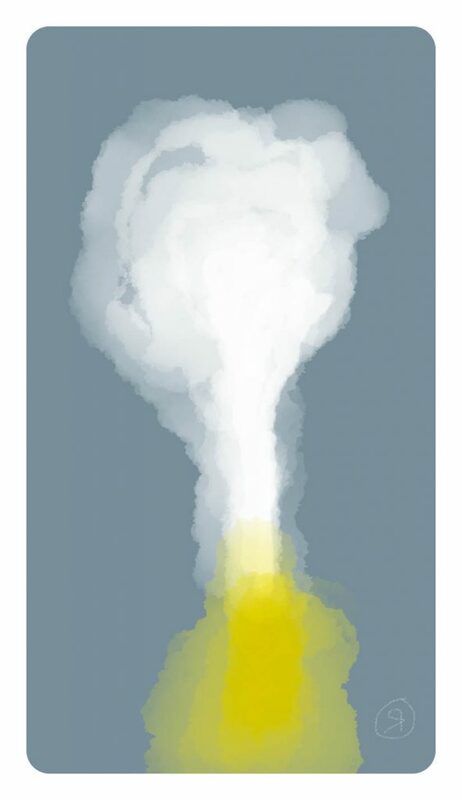 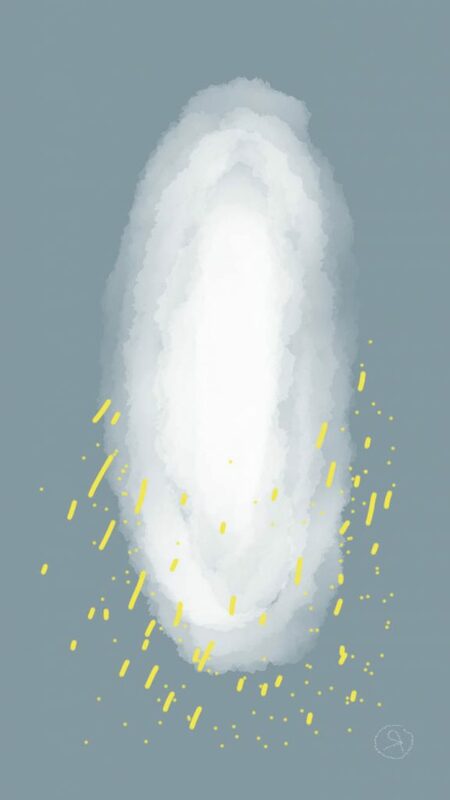 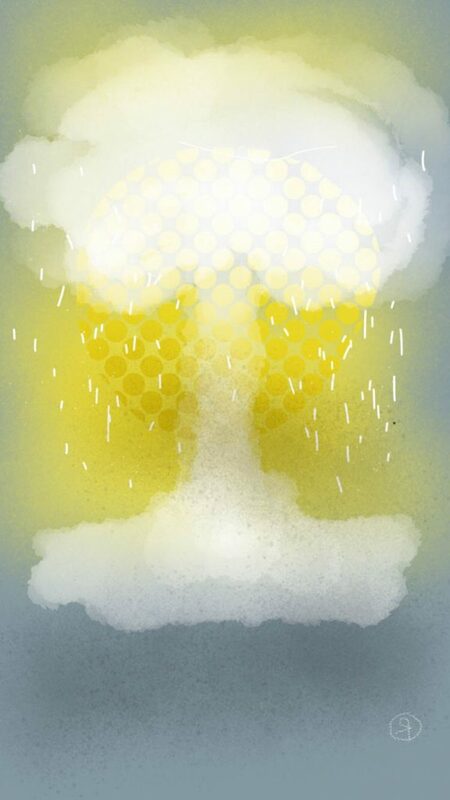 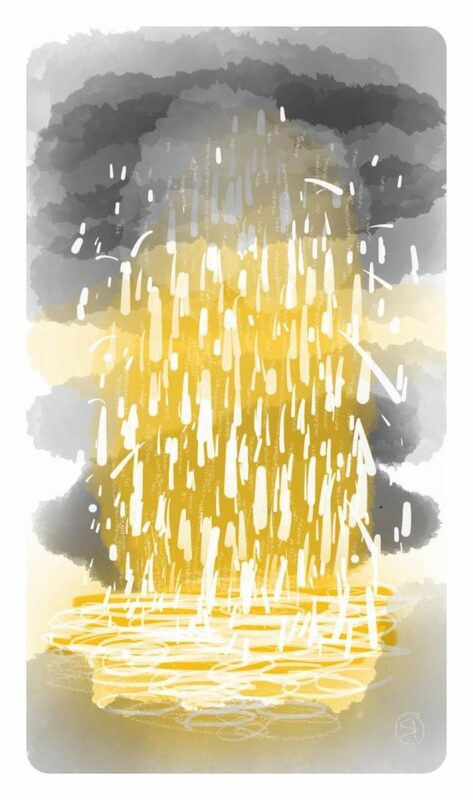 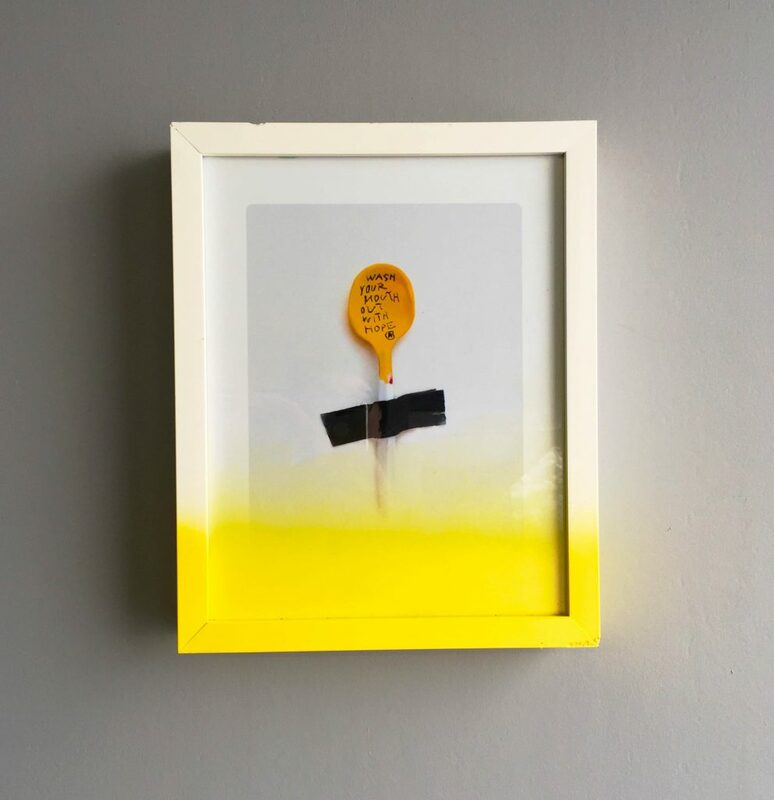 Optimistic artworks by the creator of INTOyellow. 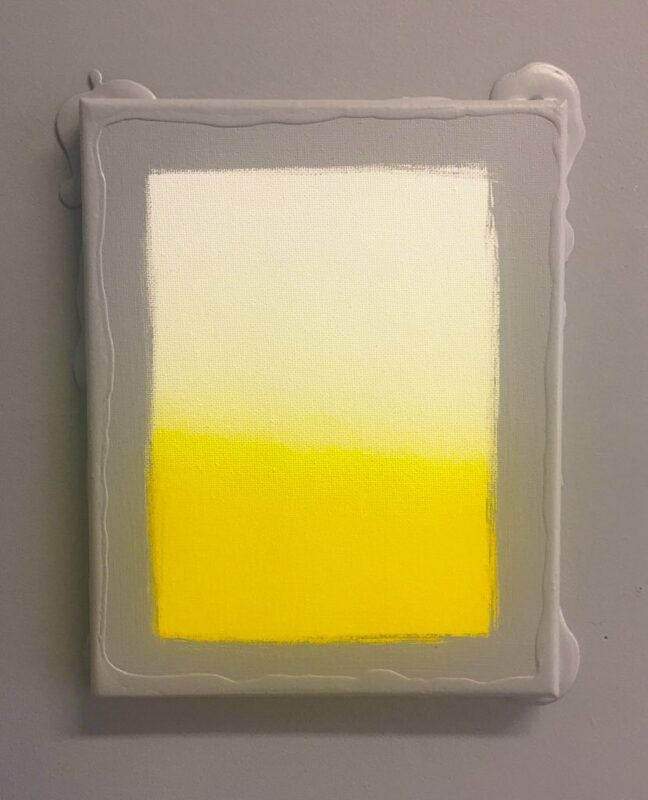 For G. Riley Johndonnell “Optimism is Spiritual and Art practice: it is an Ism, just as just as Minimalism and Expressionism are ‘isms. 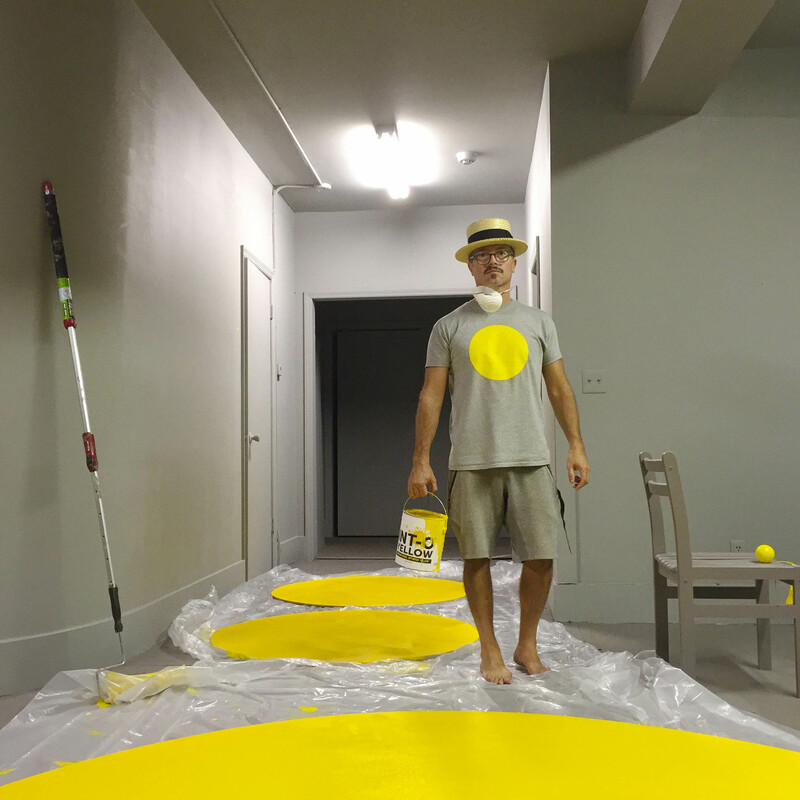 He has been documenting his personal unfolding story of Optimism, via an ongoing series he calls ‘Life & Strife of Riley’: in which he recrafts perceptions of negative and positive, good and bad— exploring positive psychology, neuroplasticity, synchronicity, happy accidents and chance through a filter of positive intention and perception. 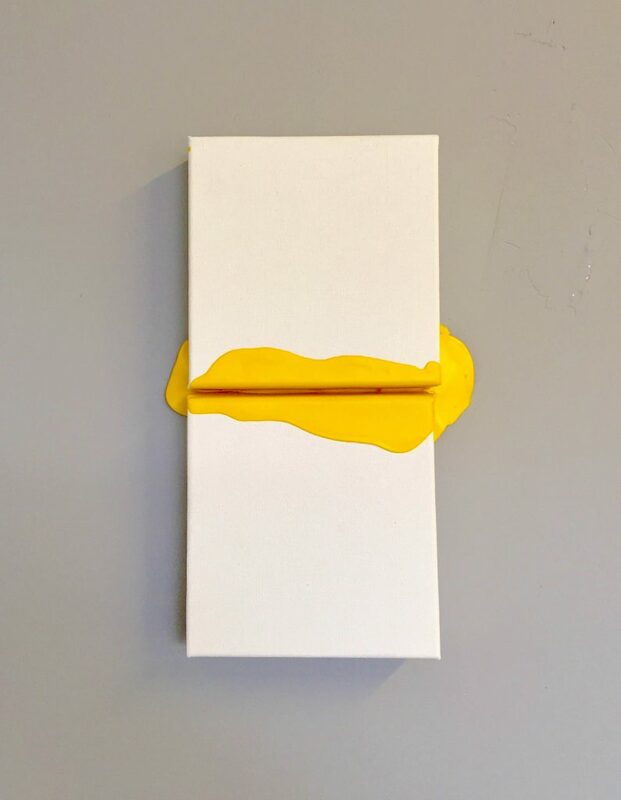 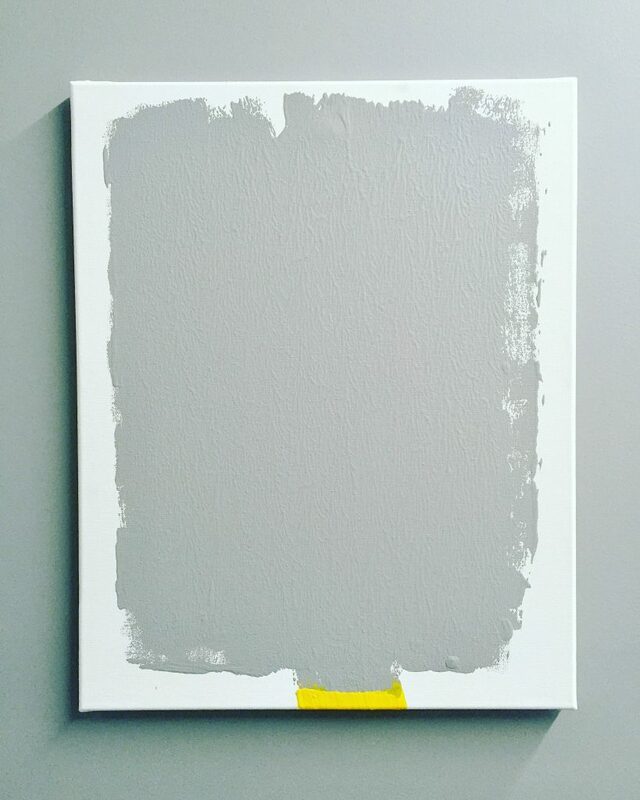 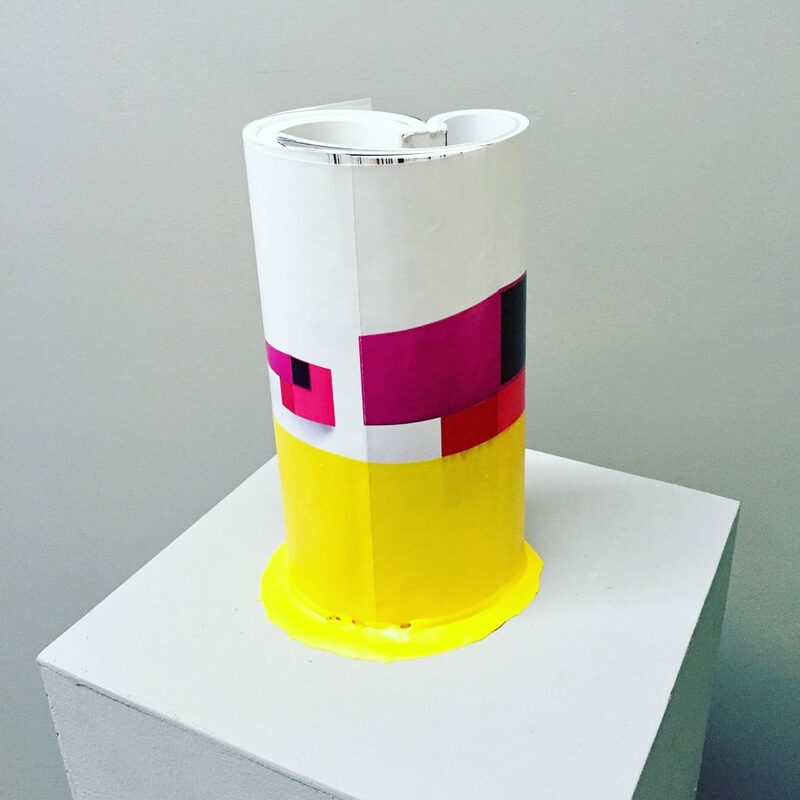 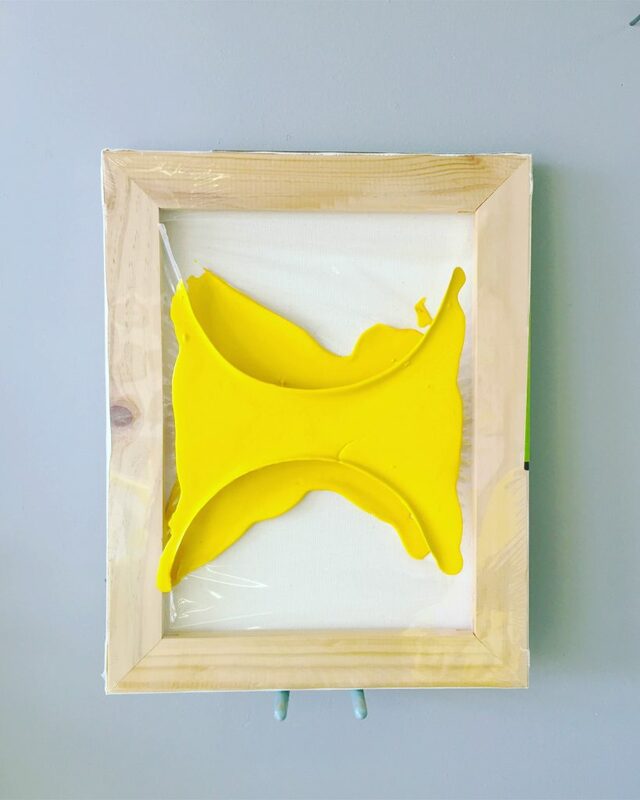 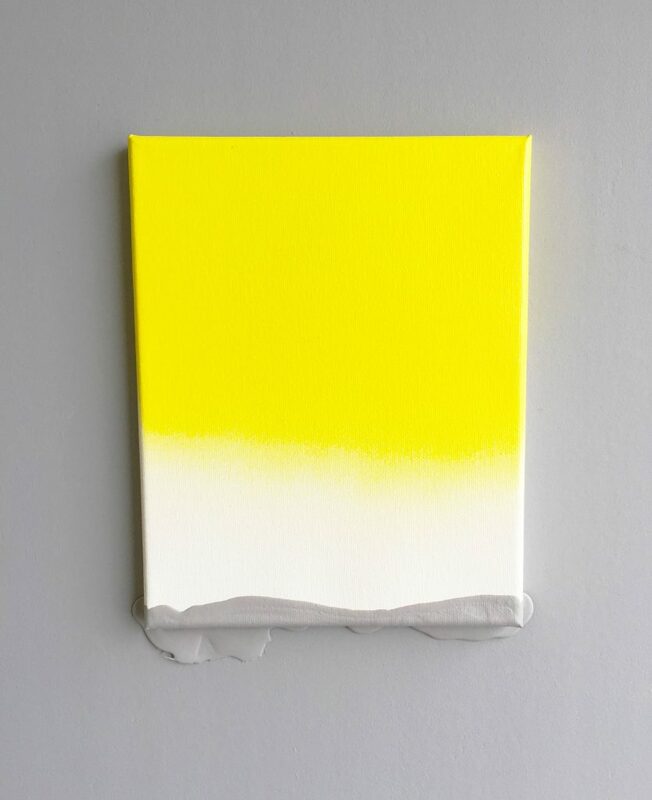 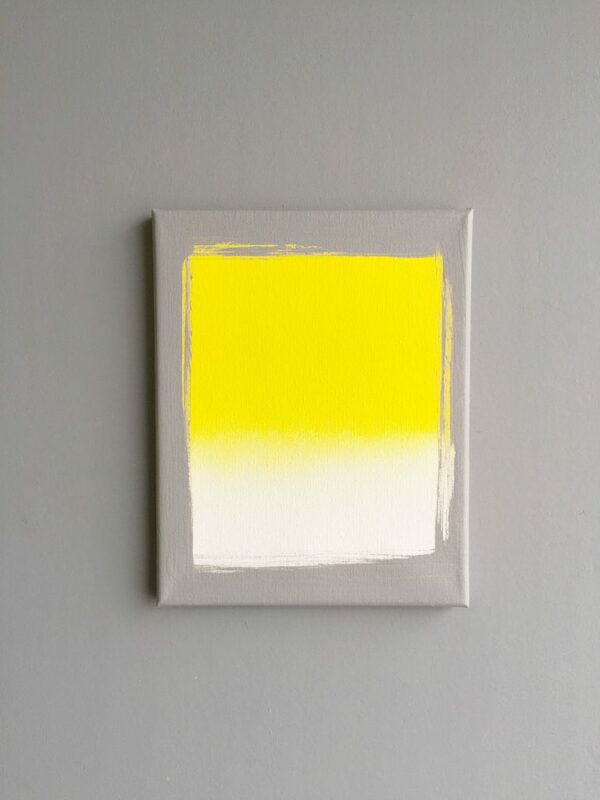 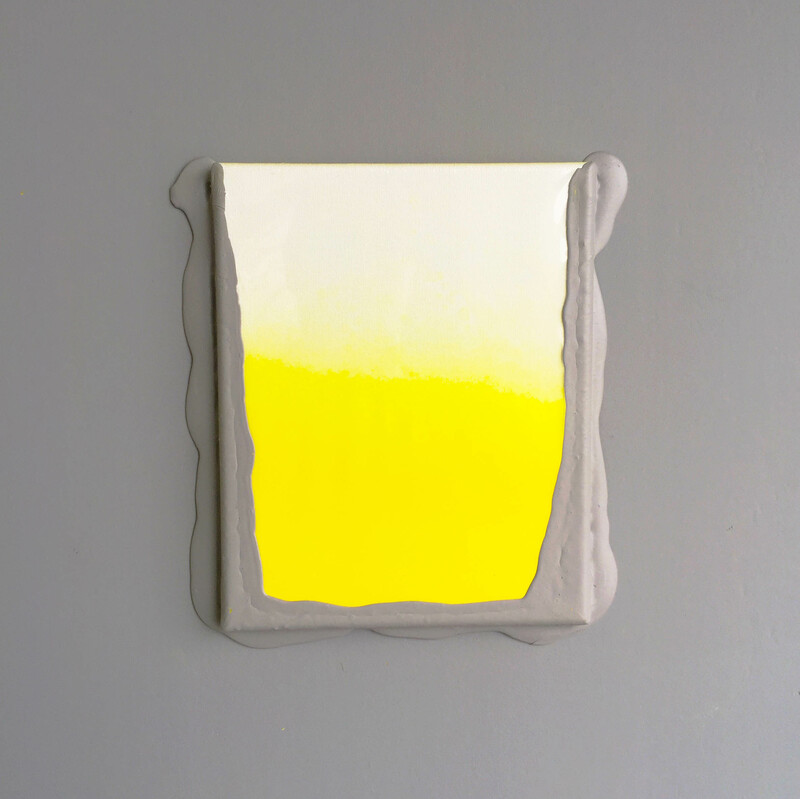 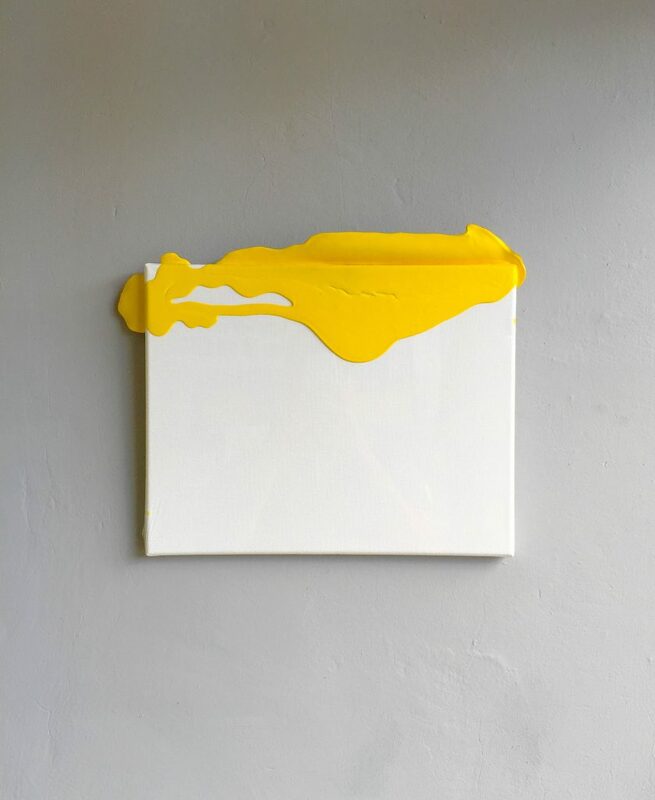 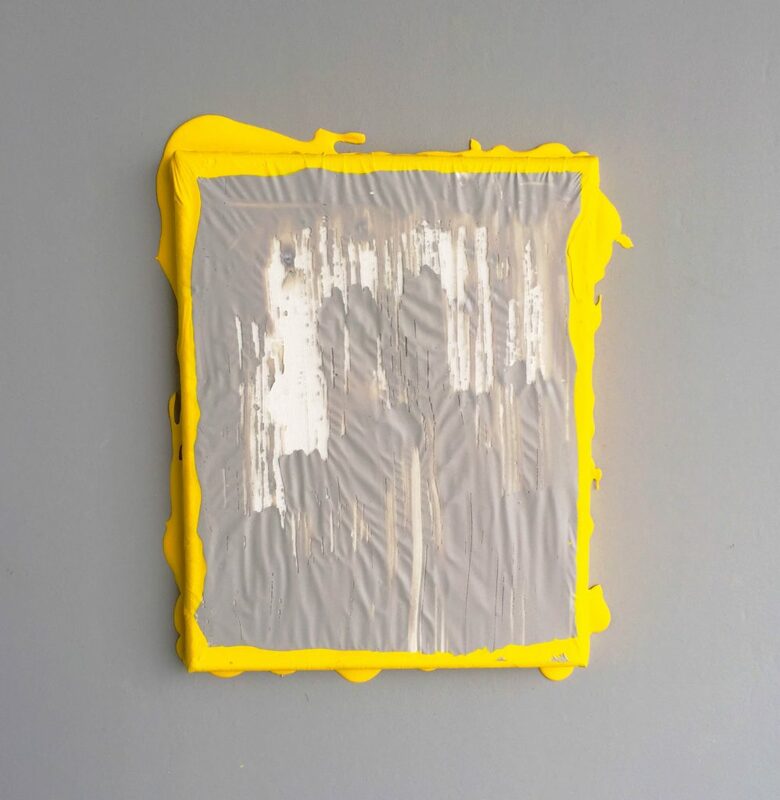 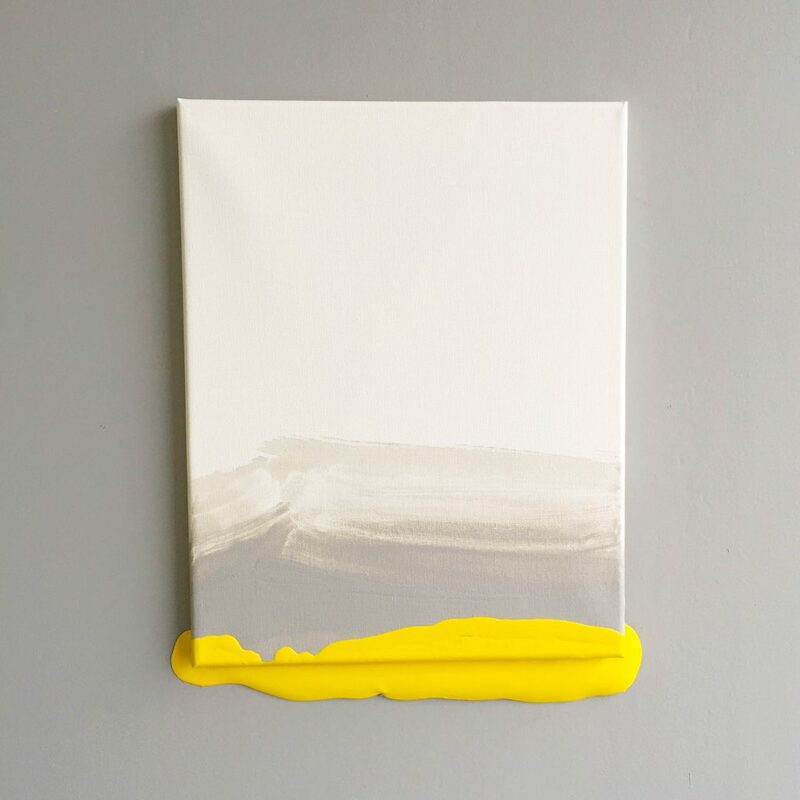 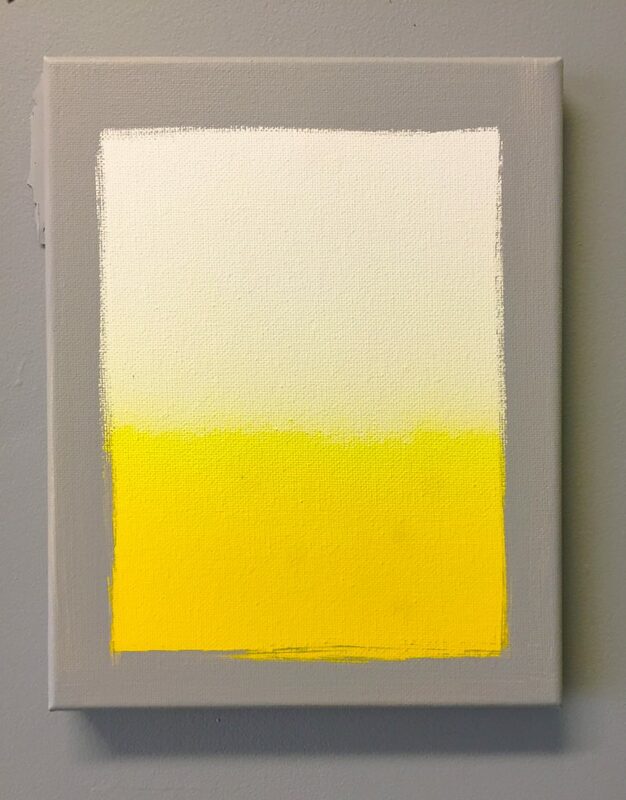 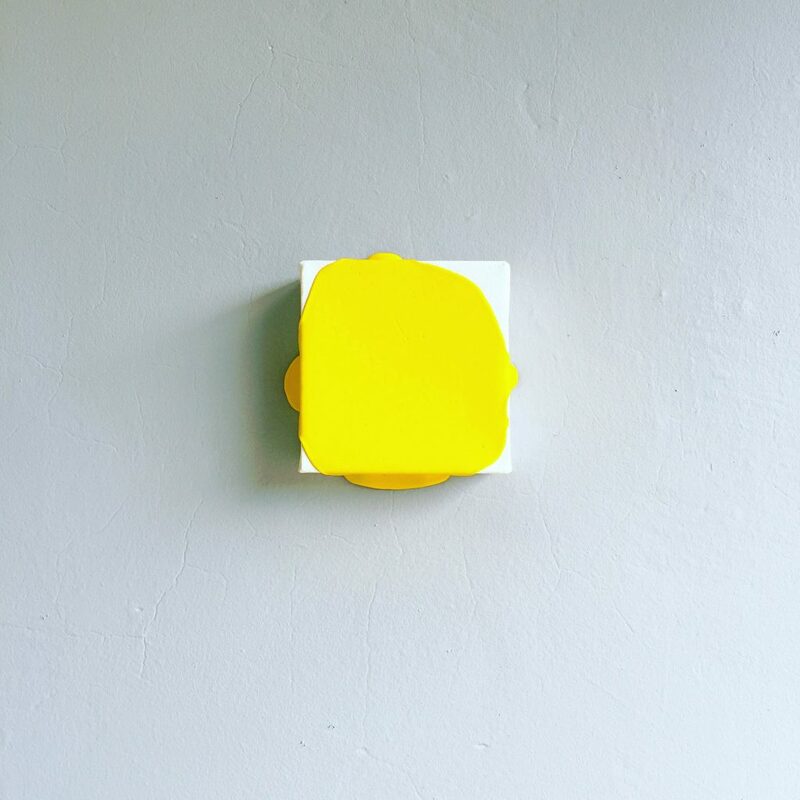 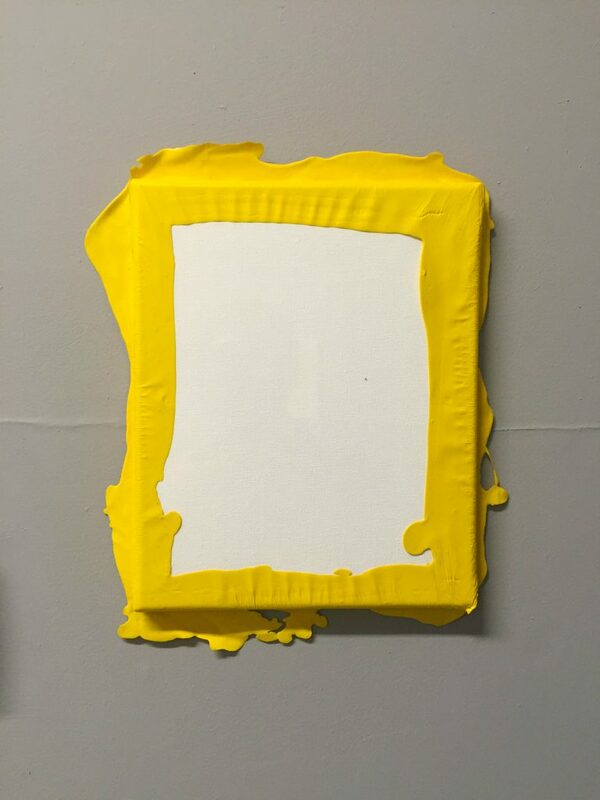 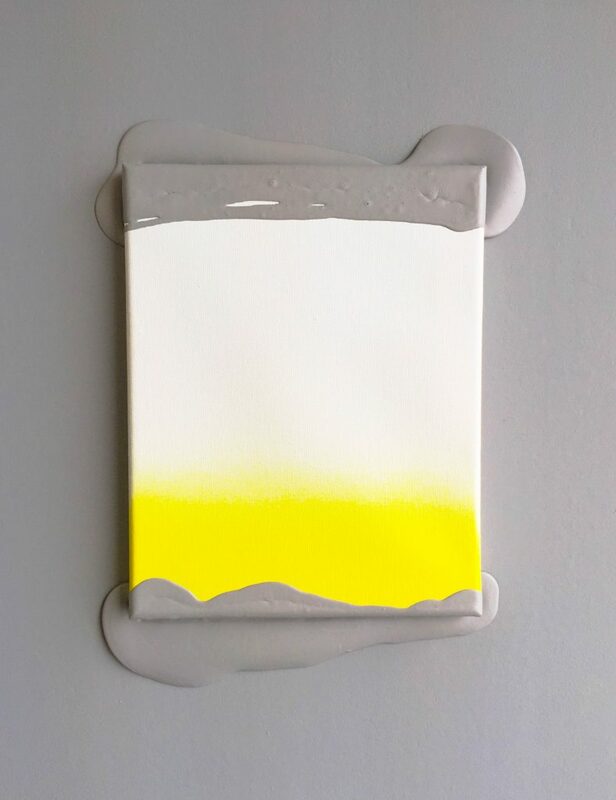 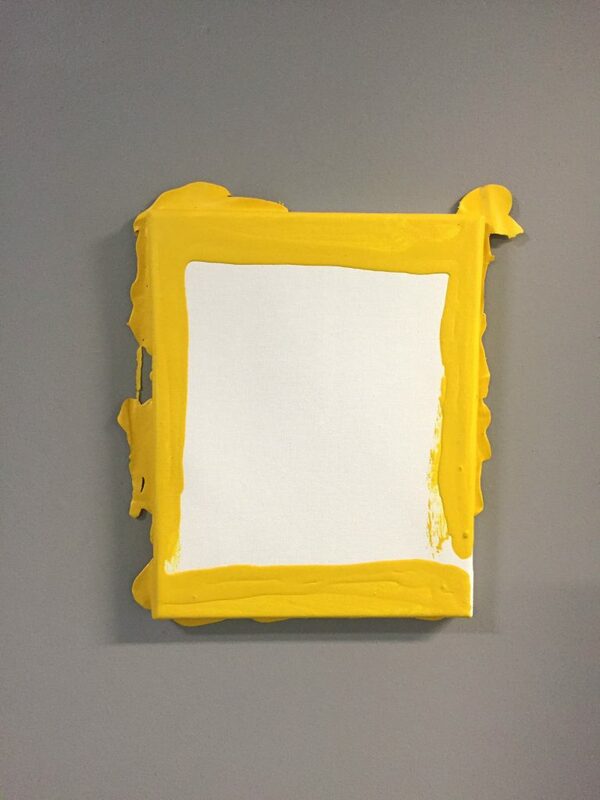 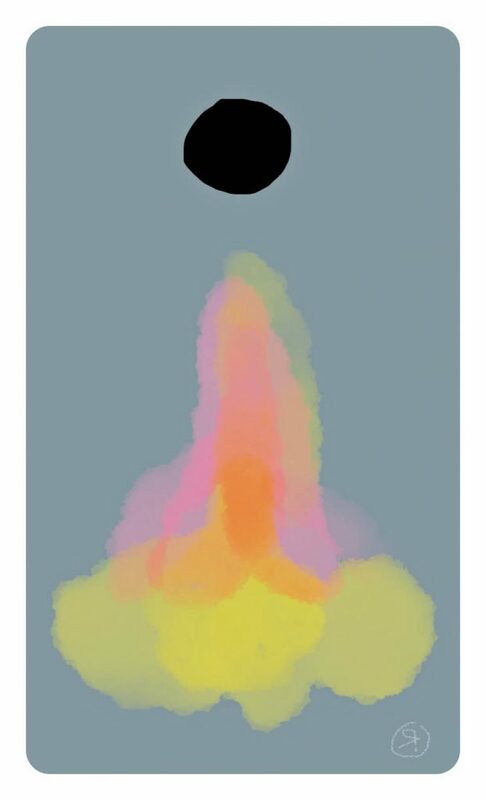 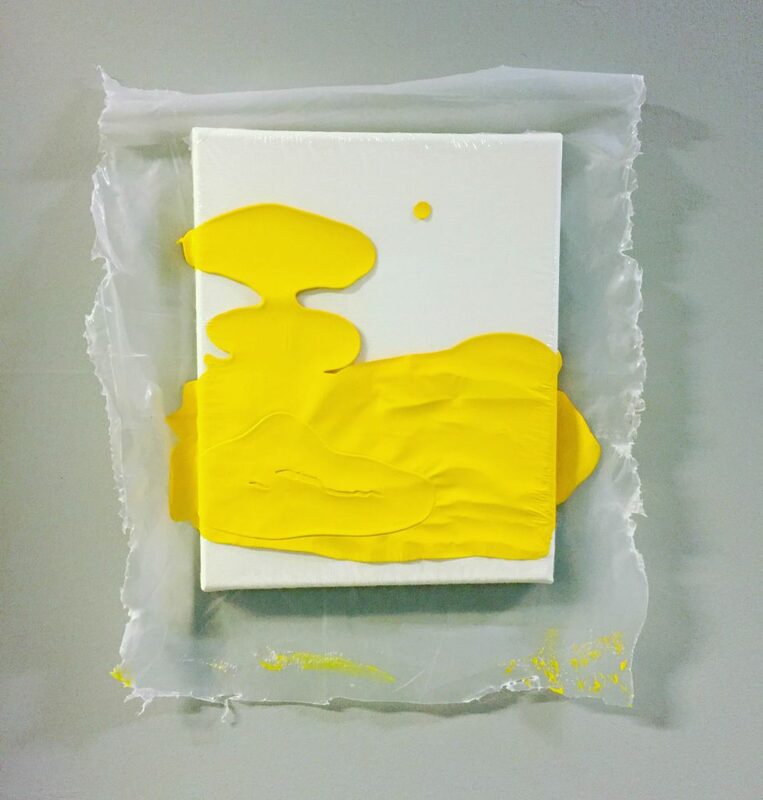 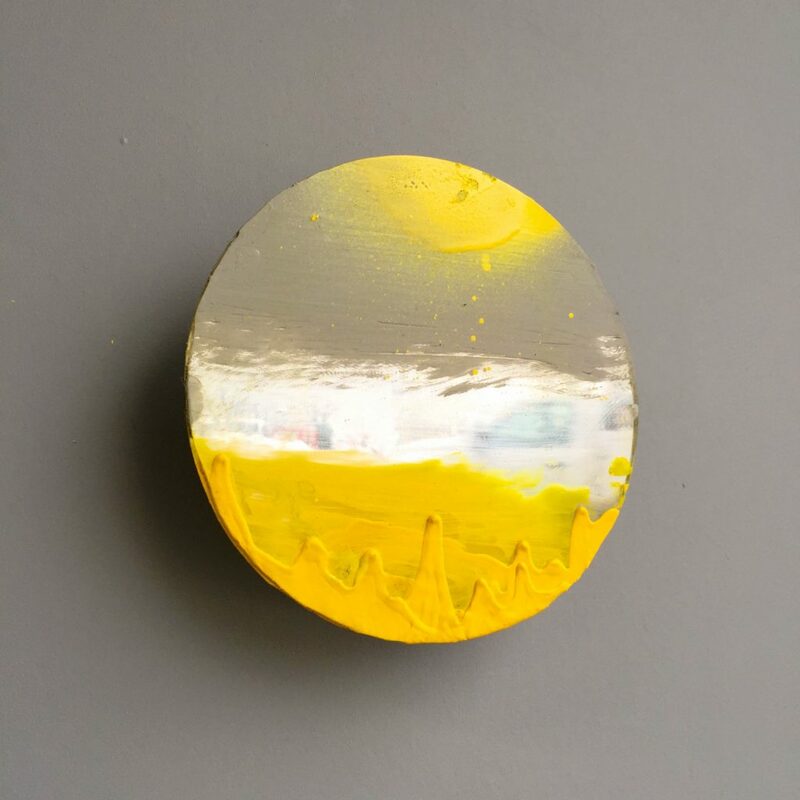 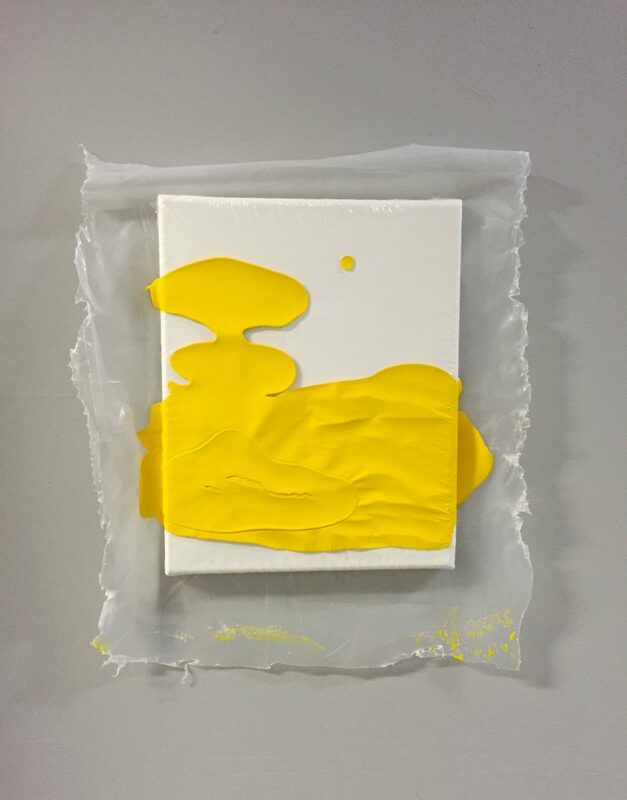 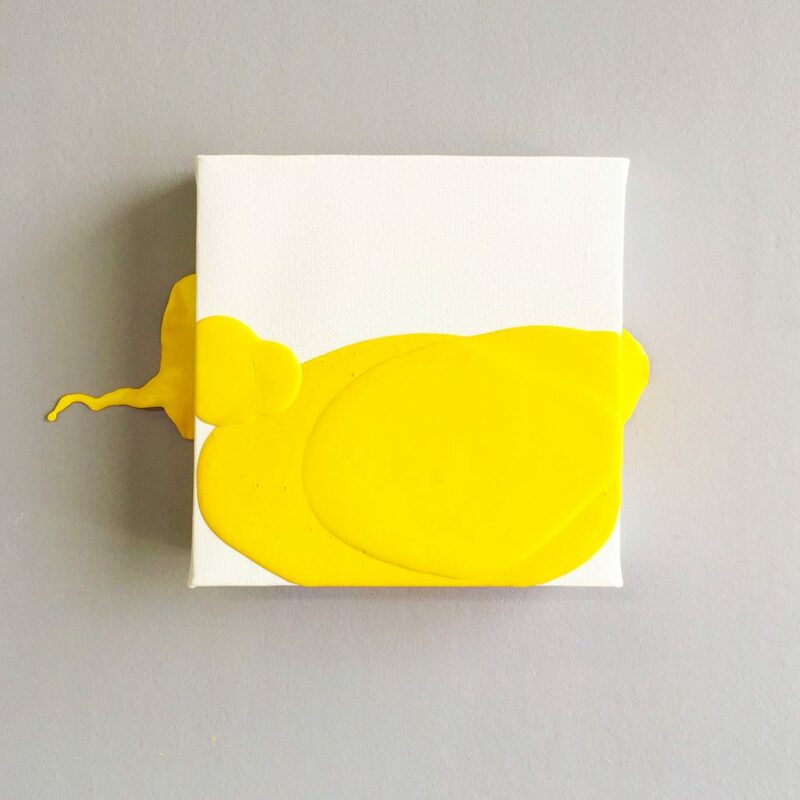 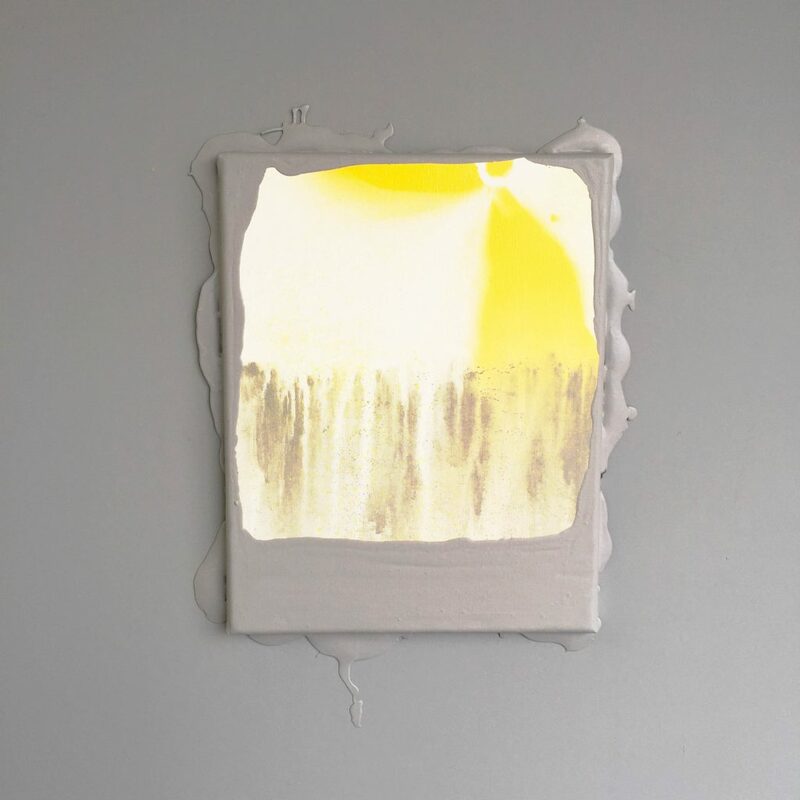 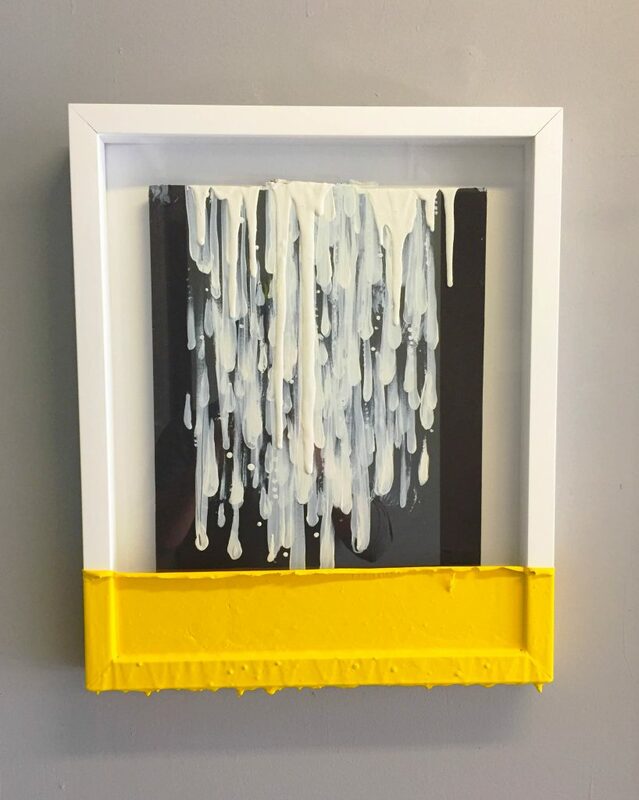 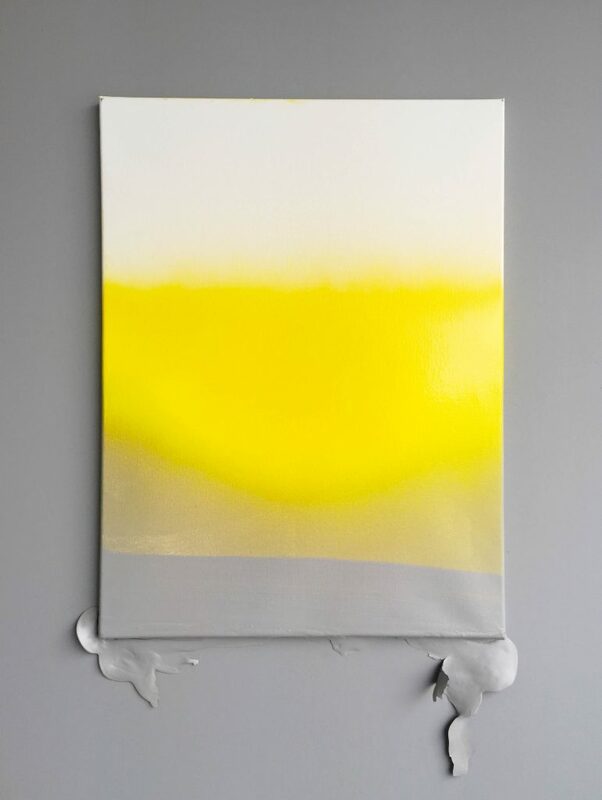 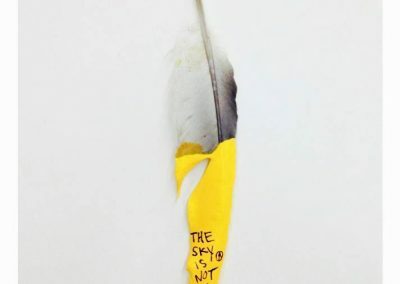 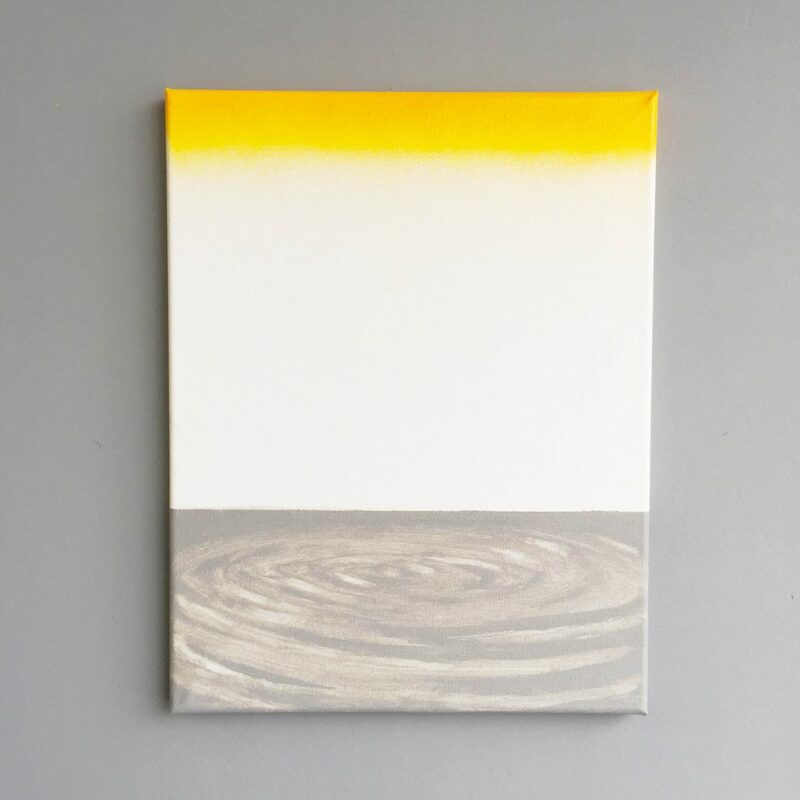 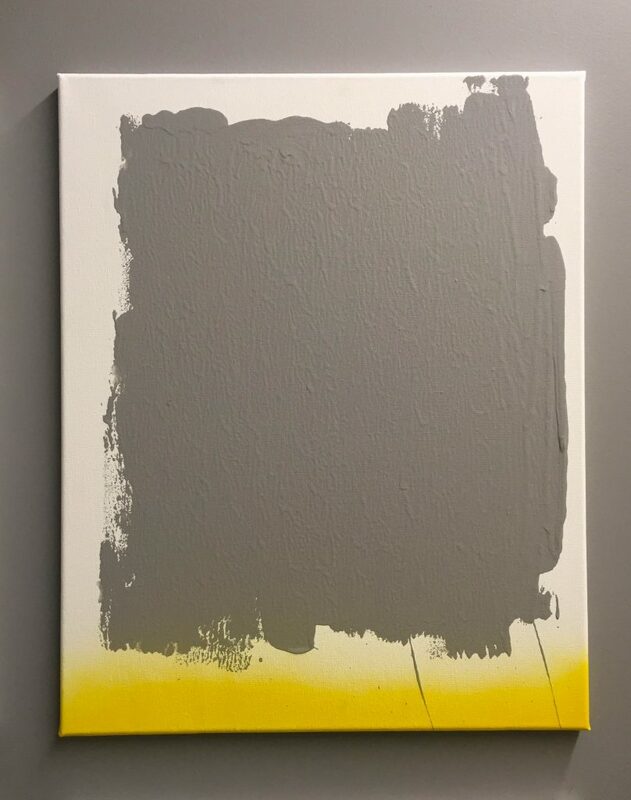 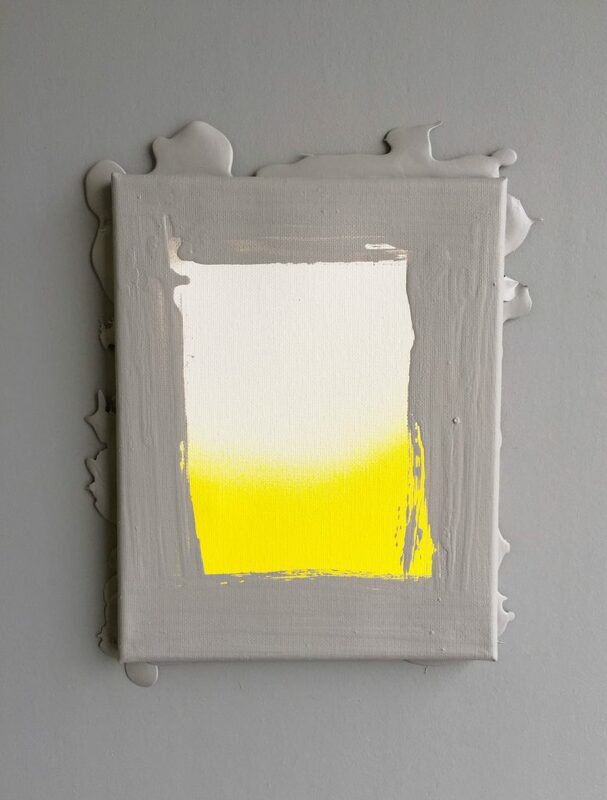 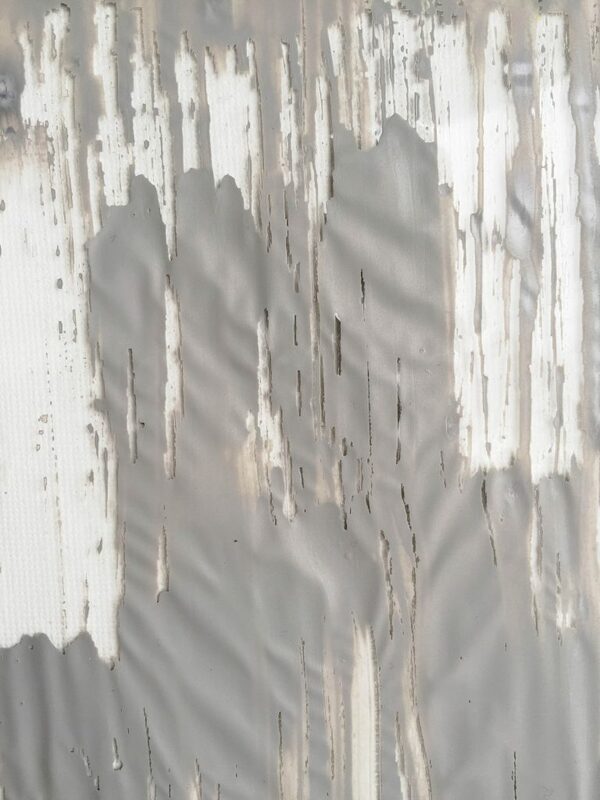 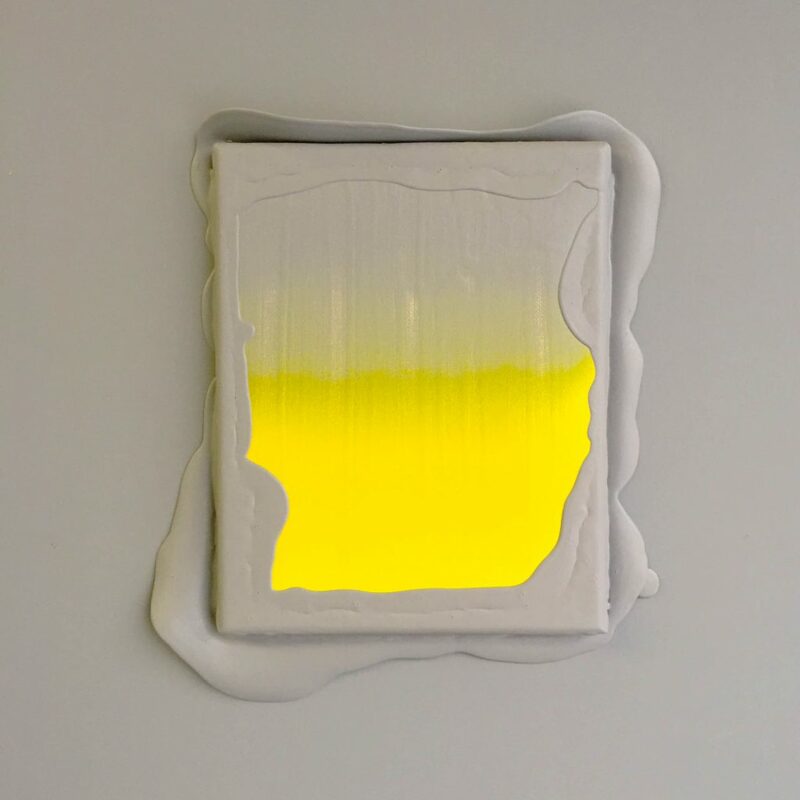 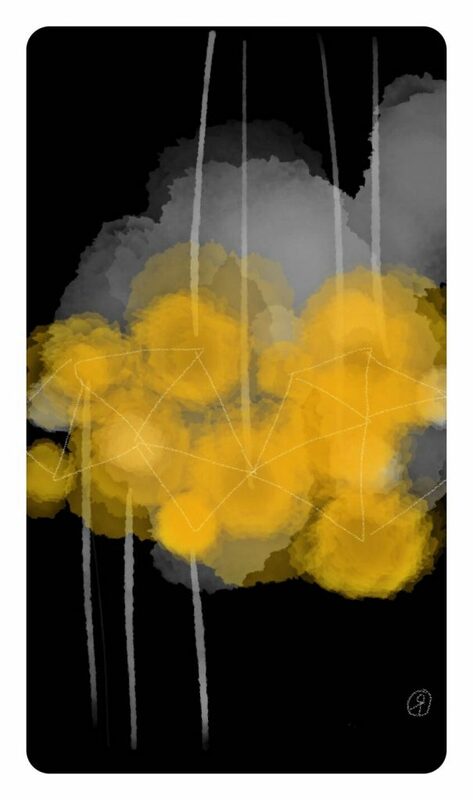 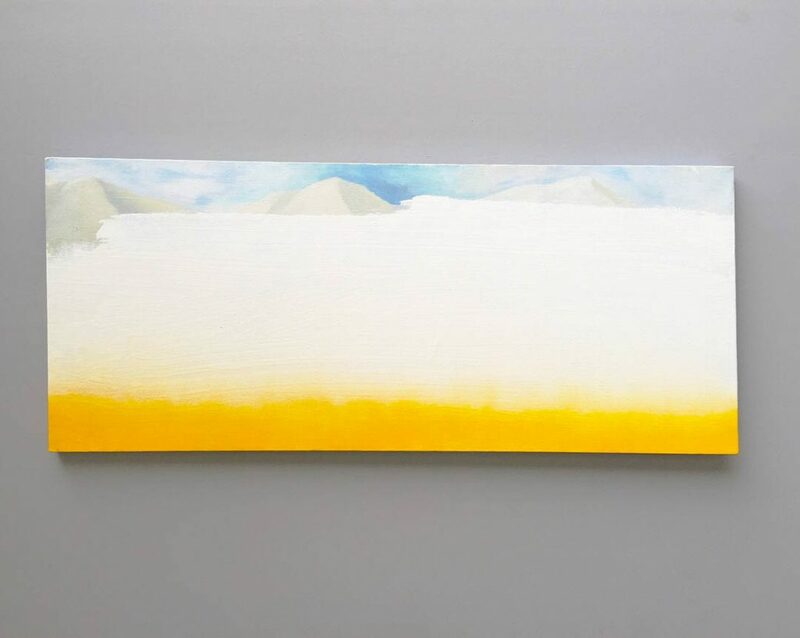 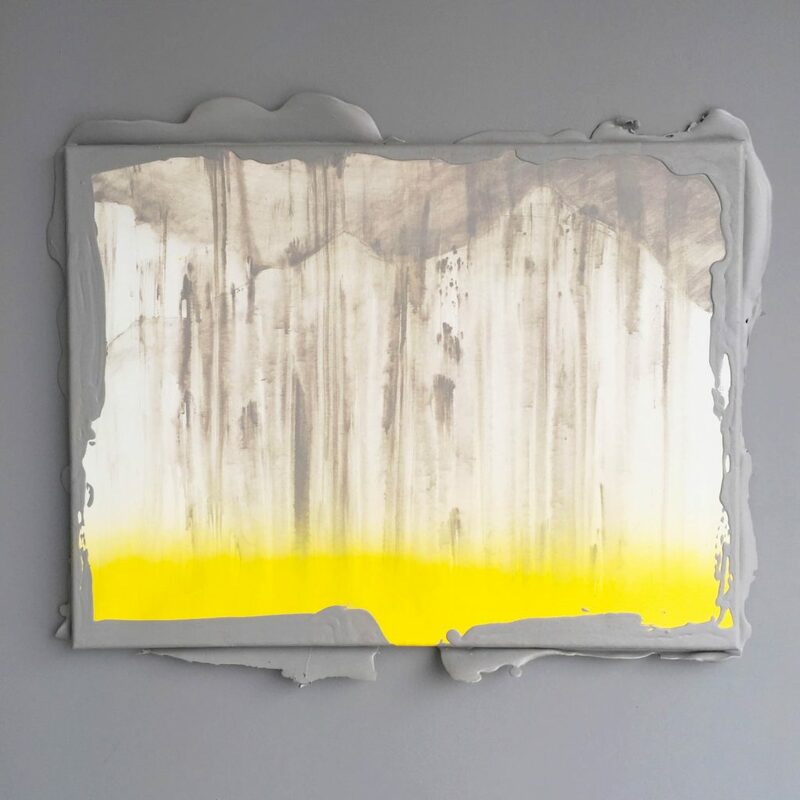 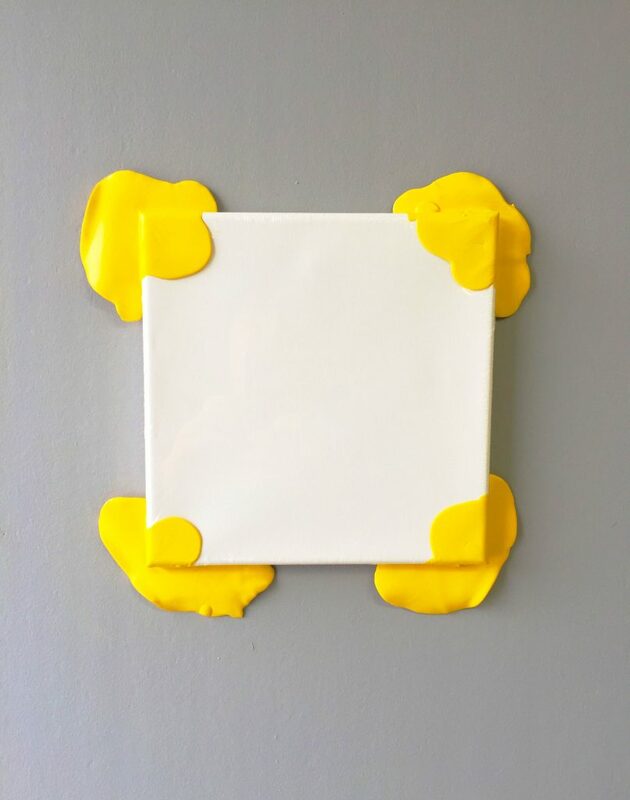 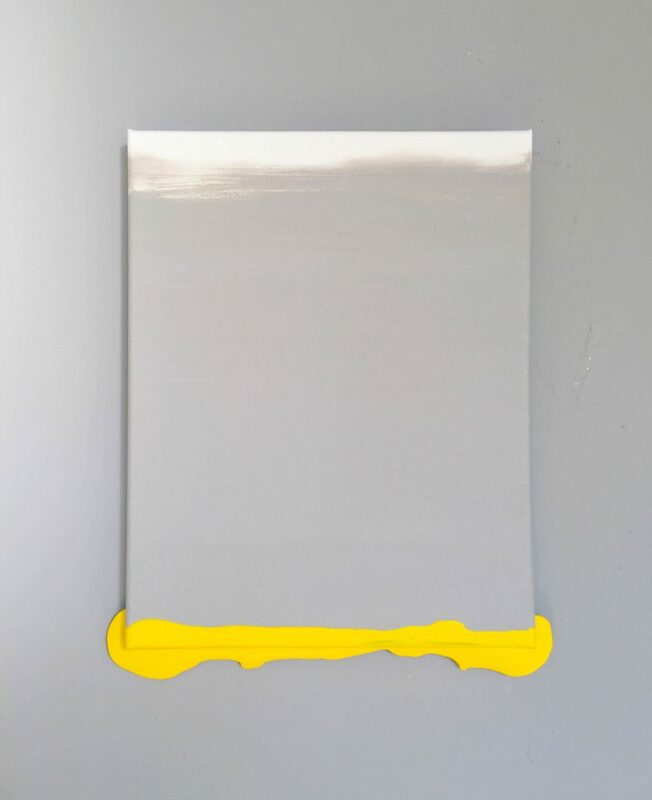 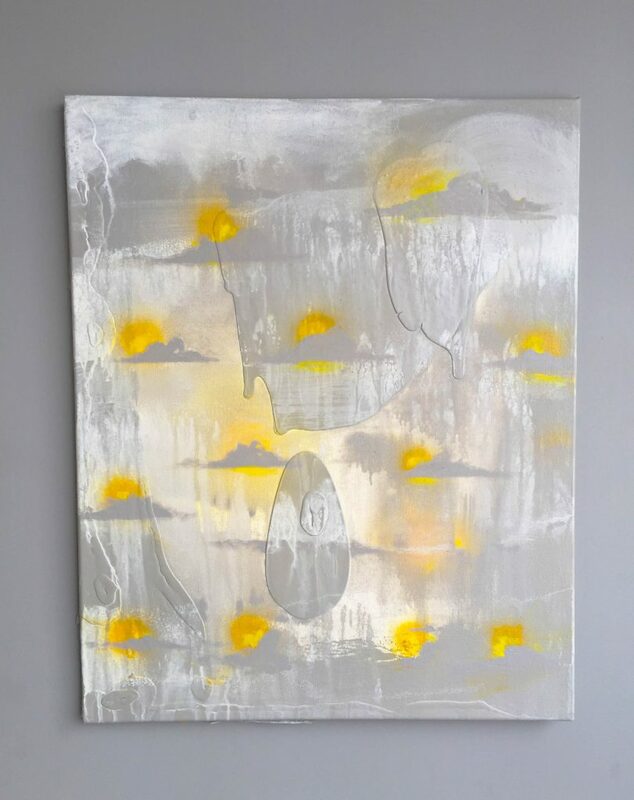 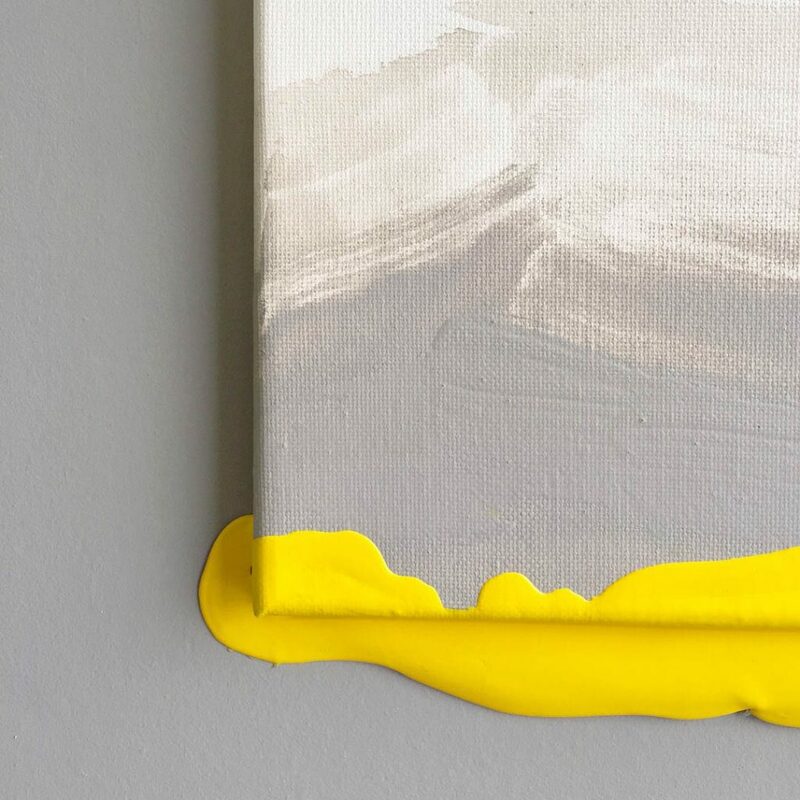 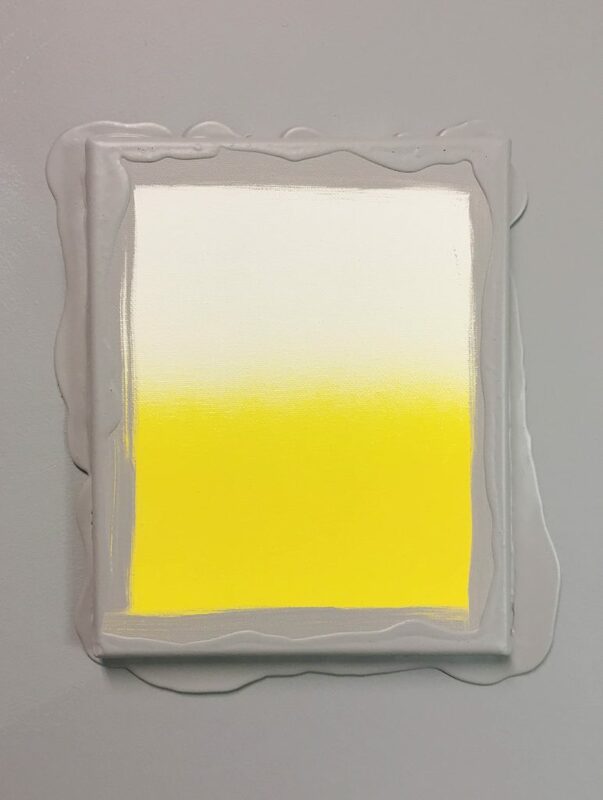 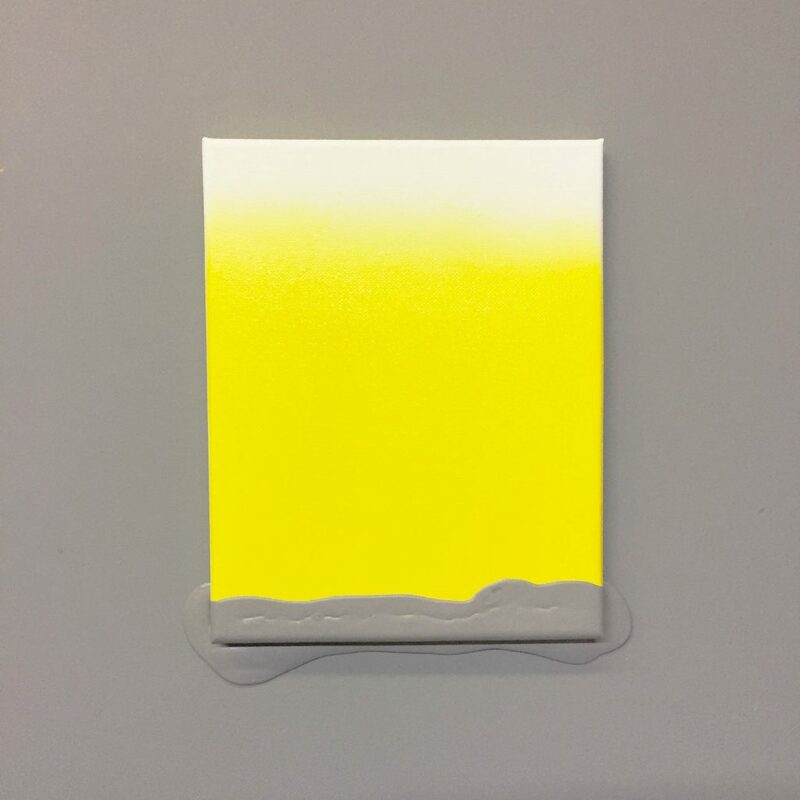 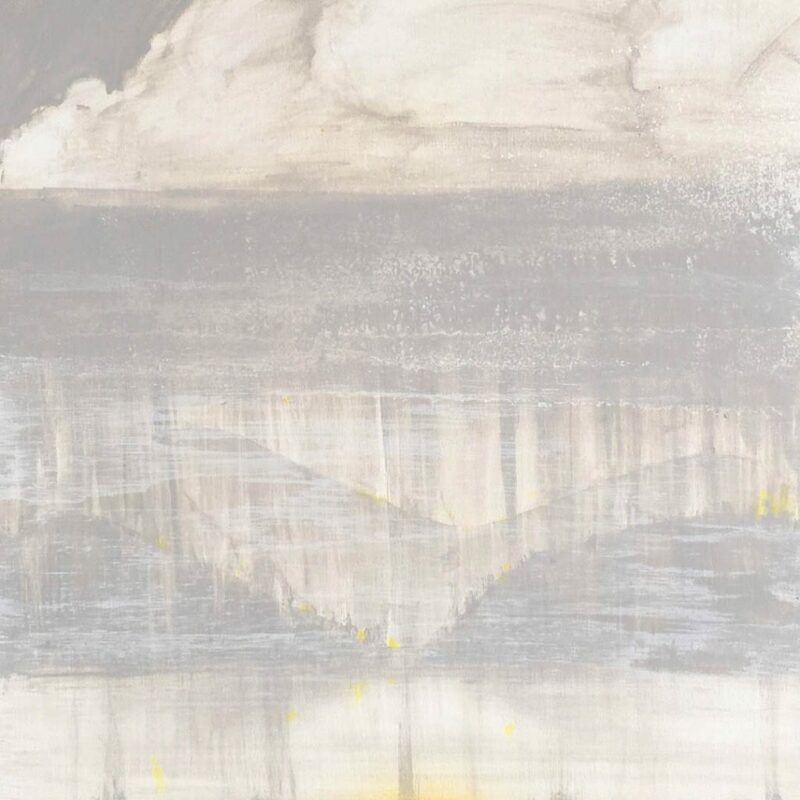 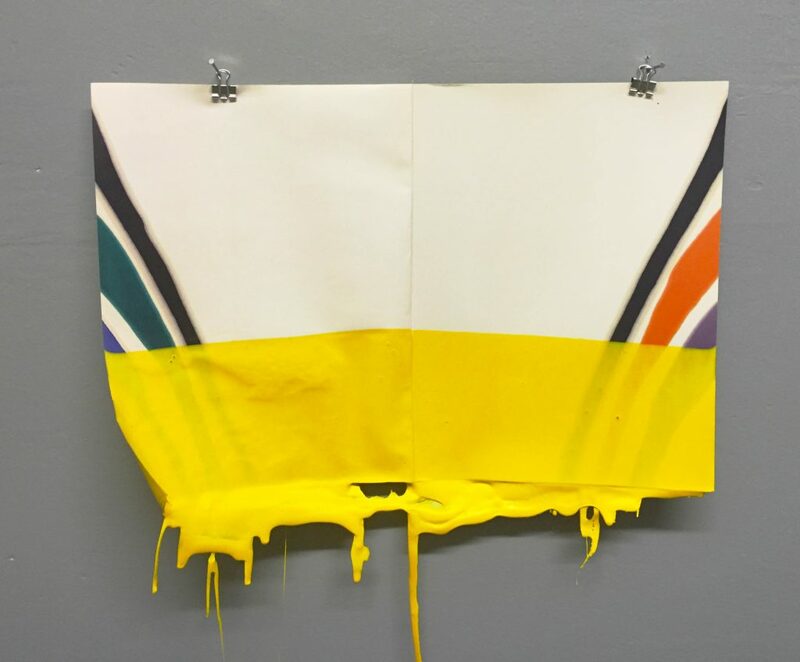 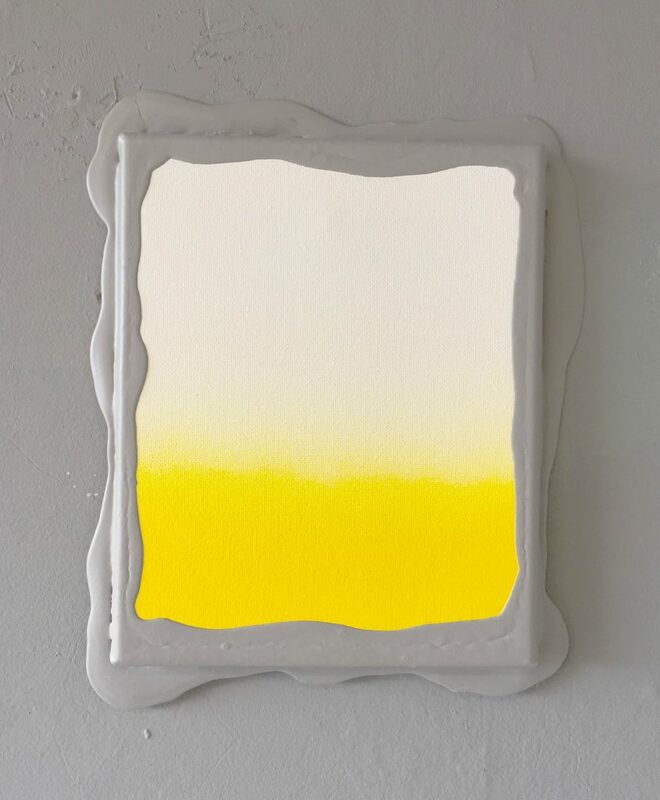 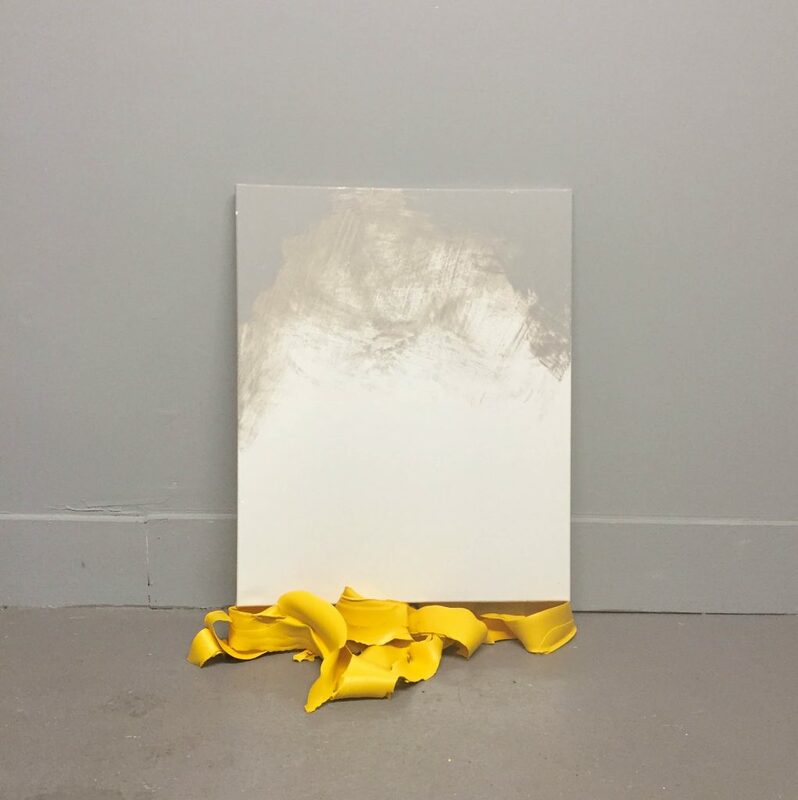 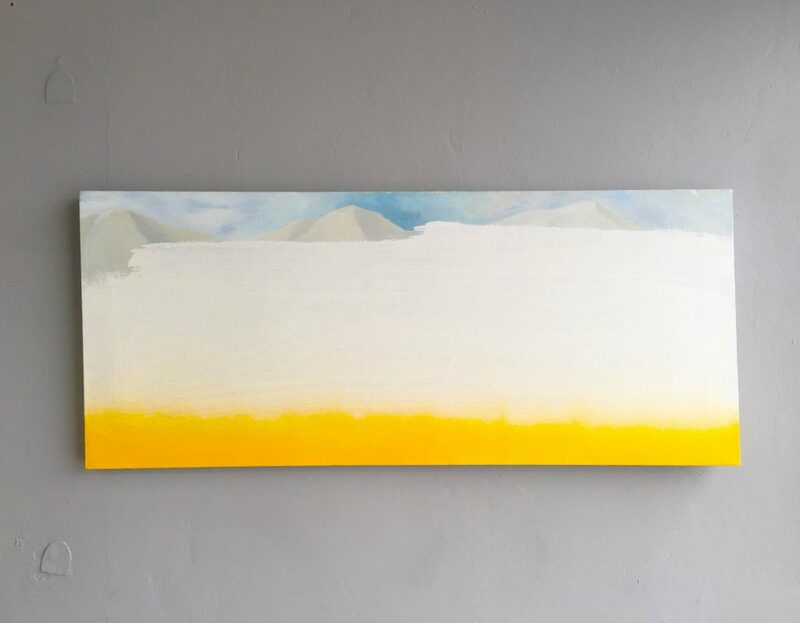 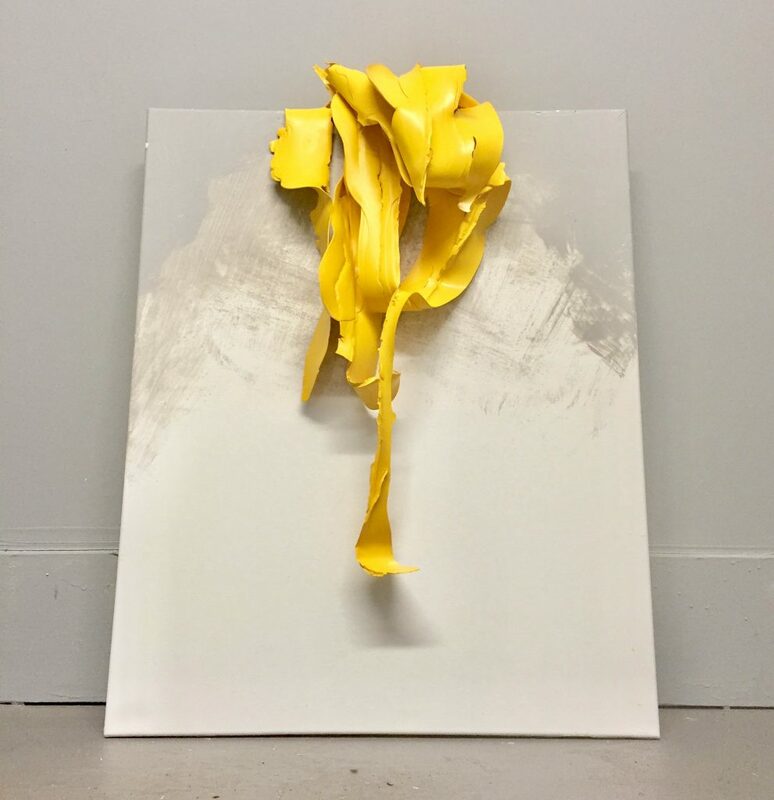 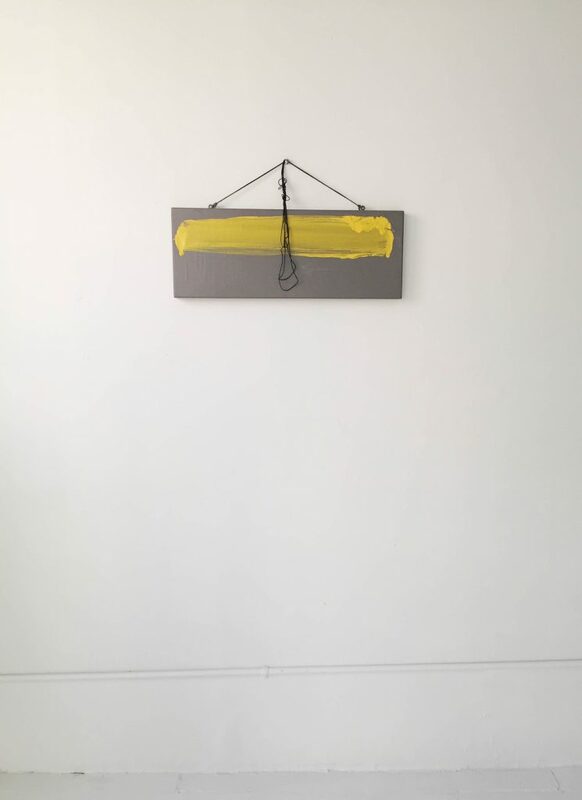 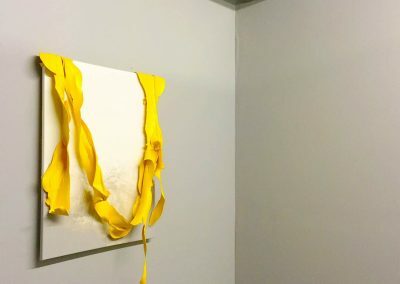 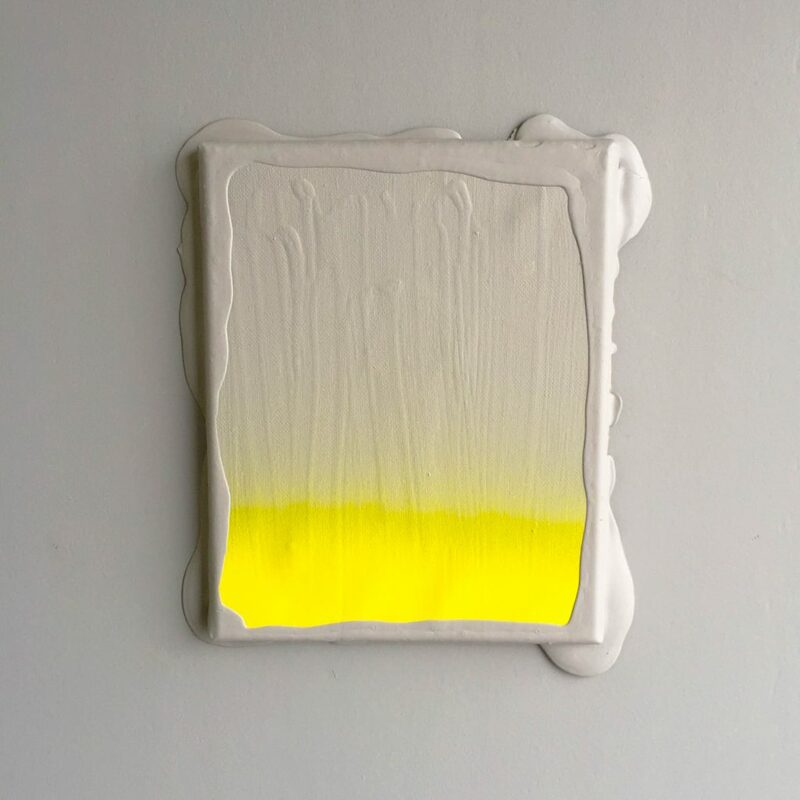 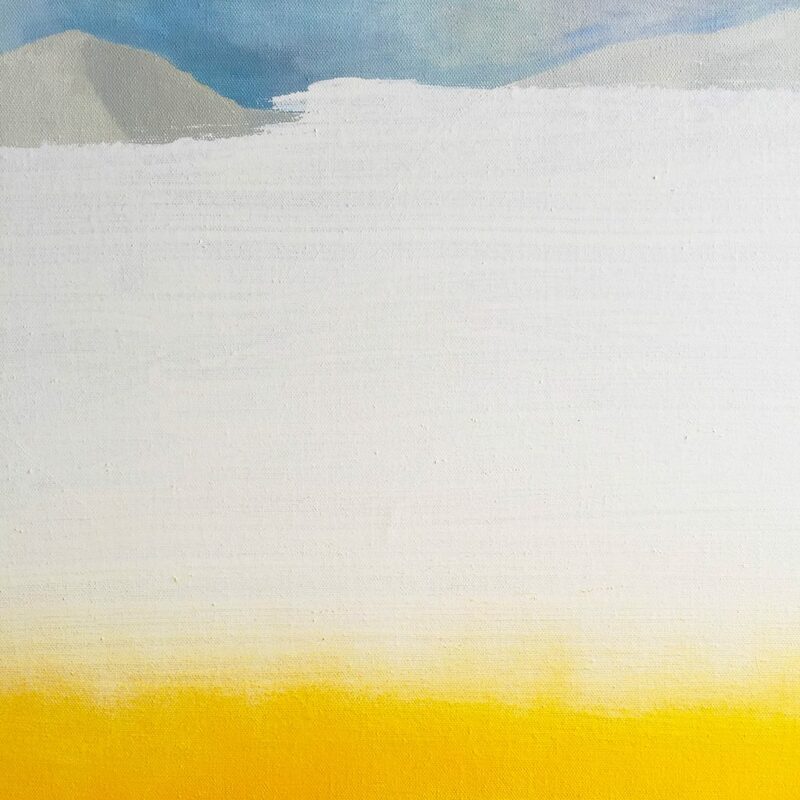 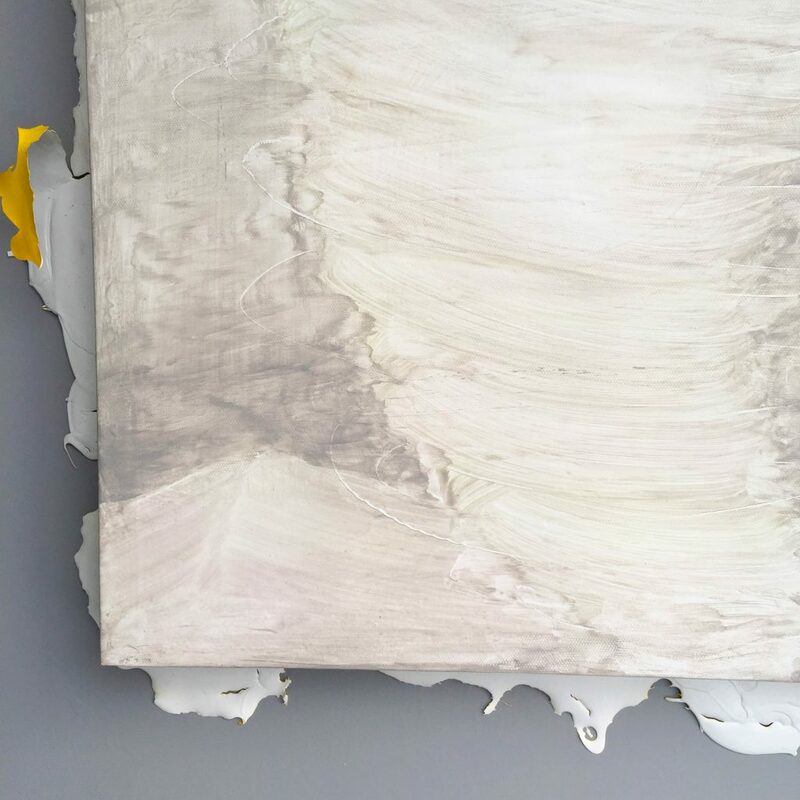 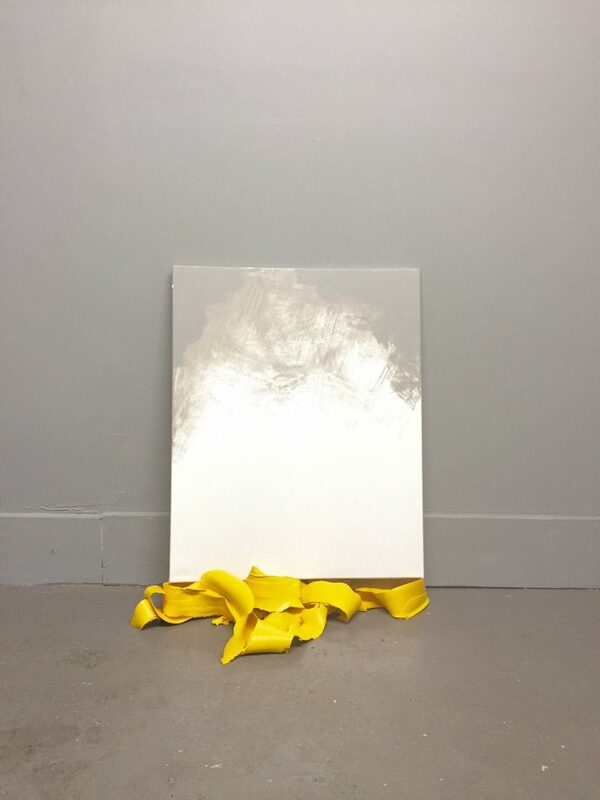 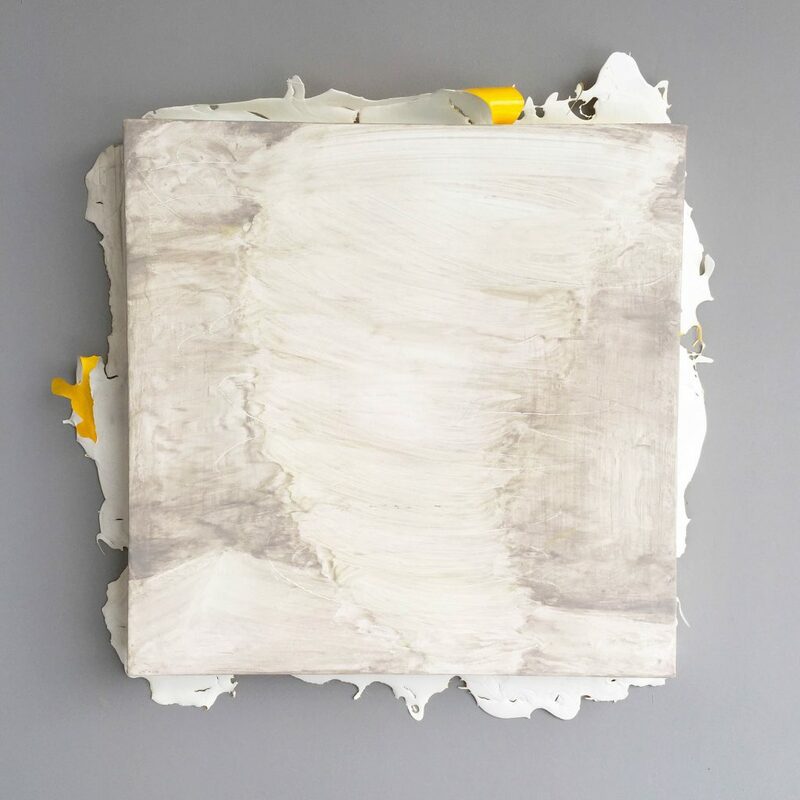 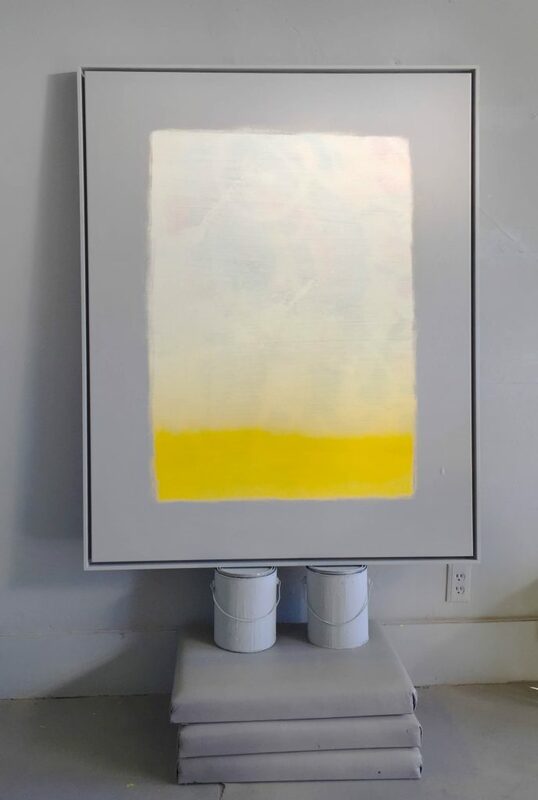 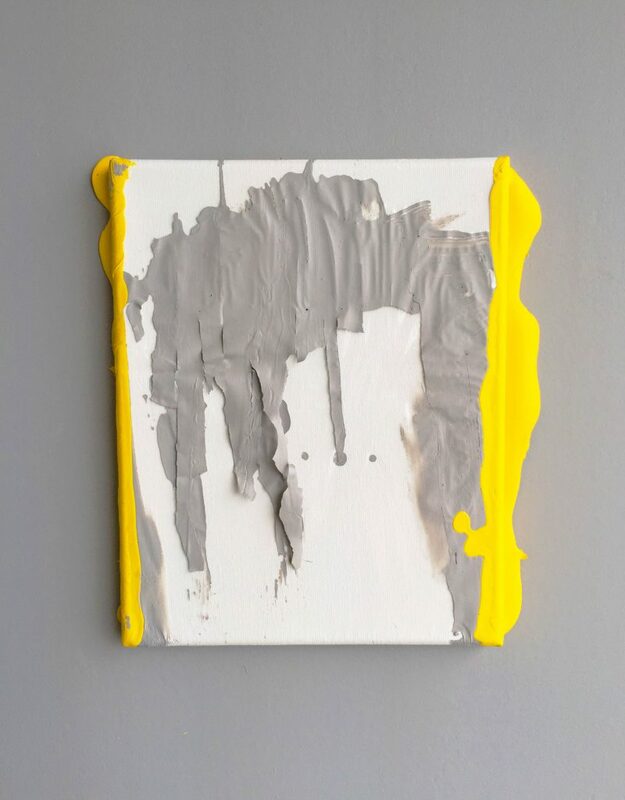 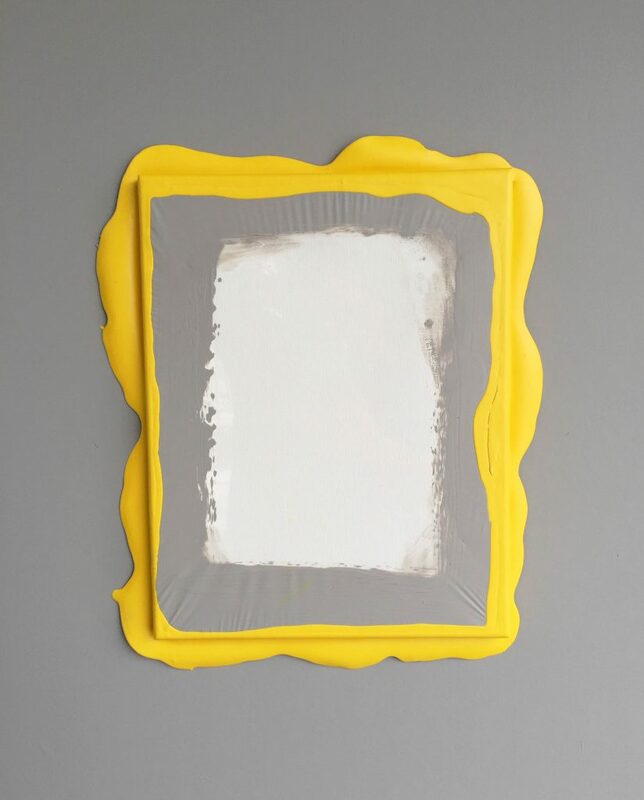 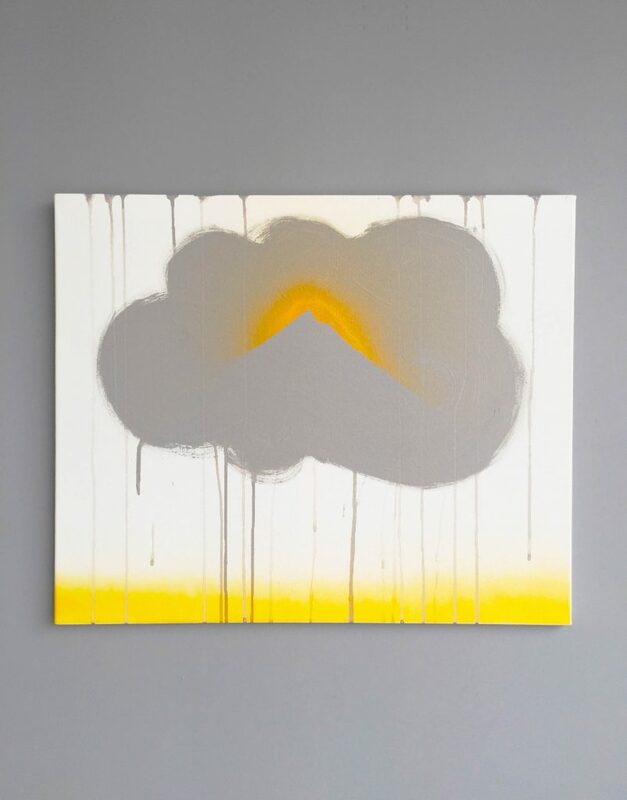 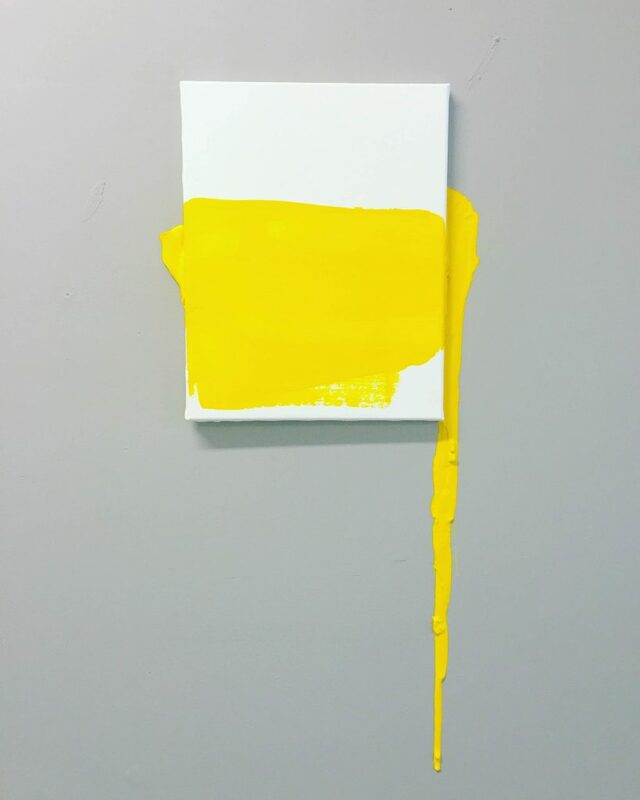 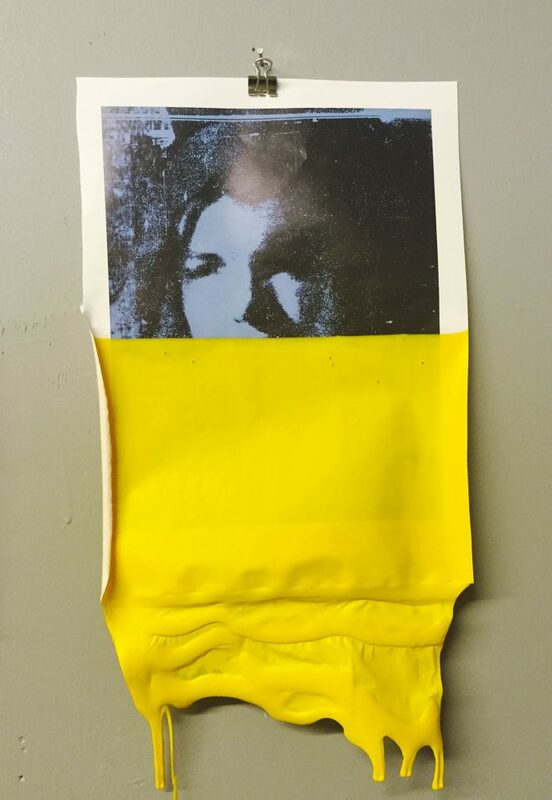 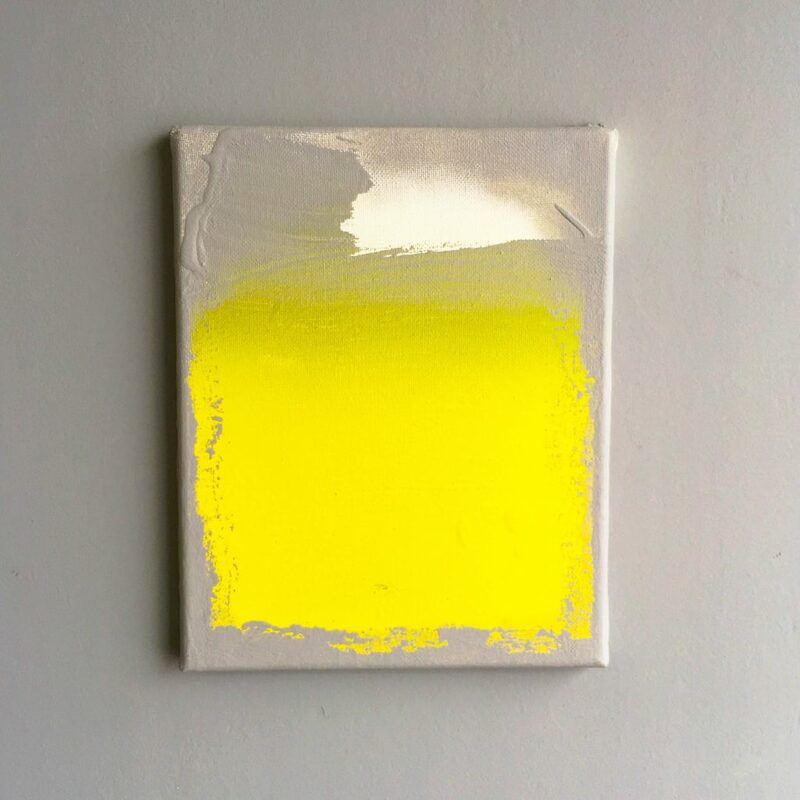 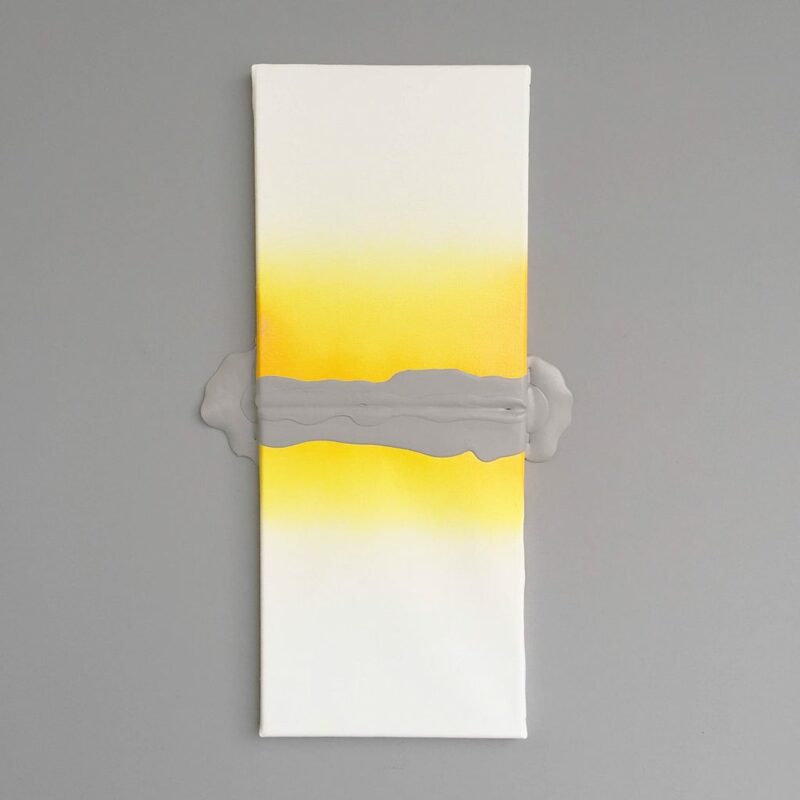 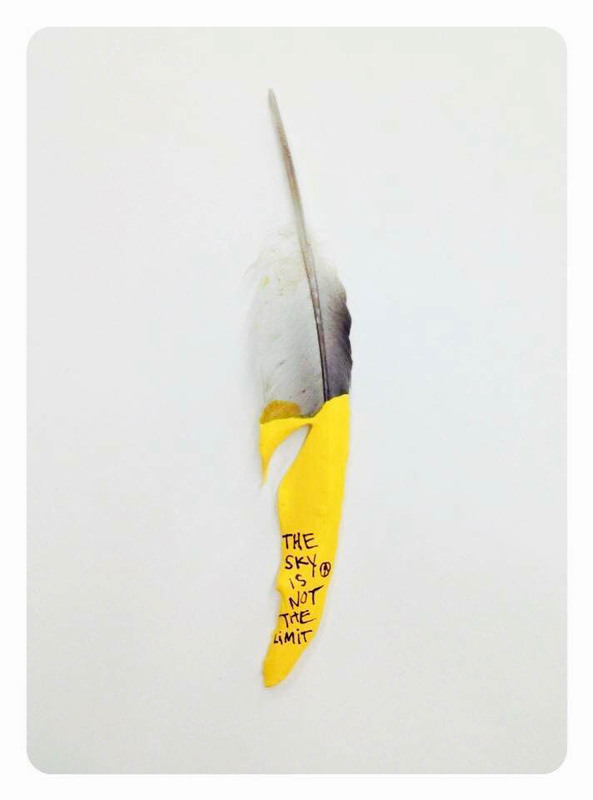 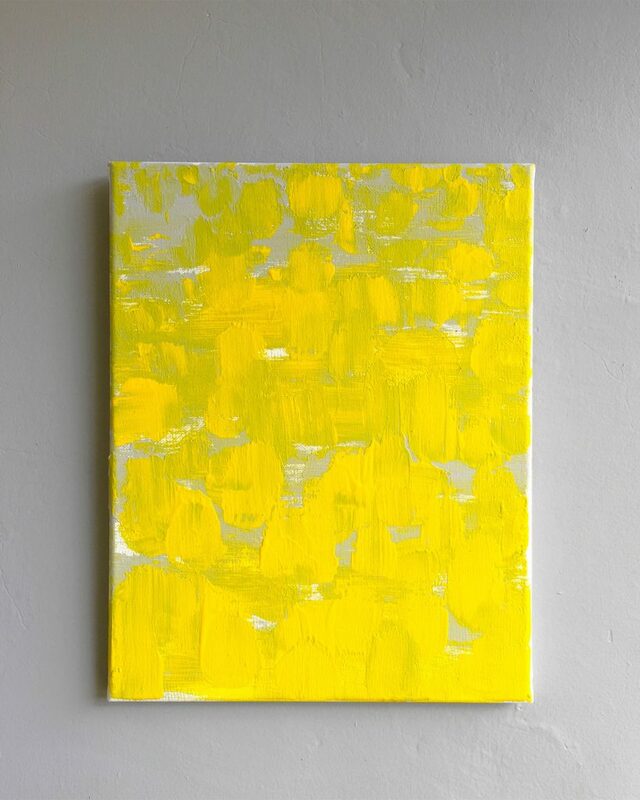 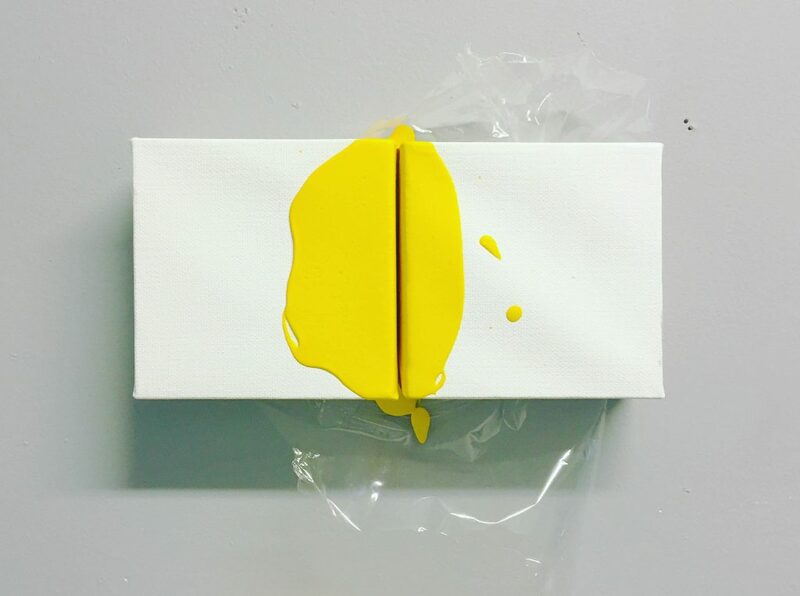 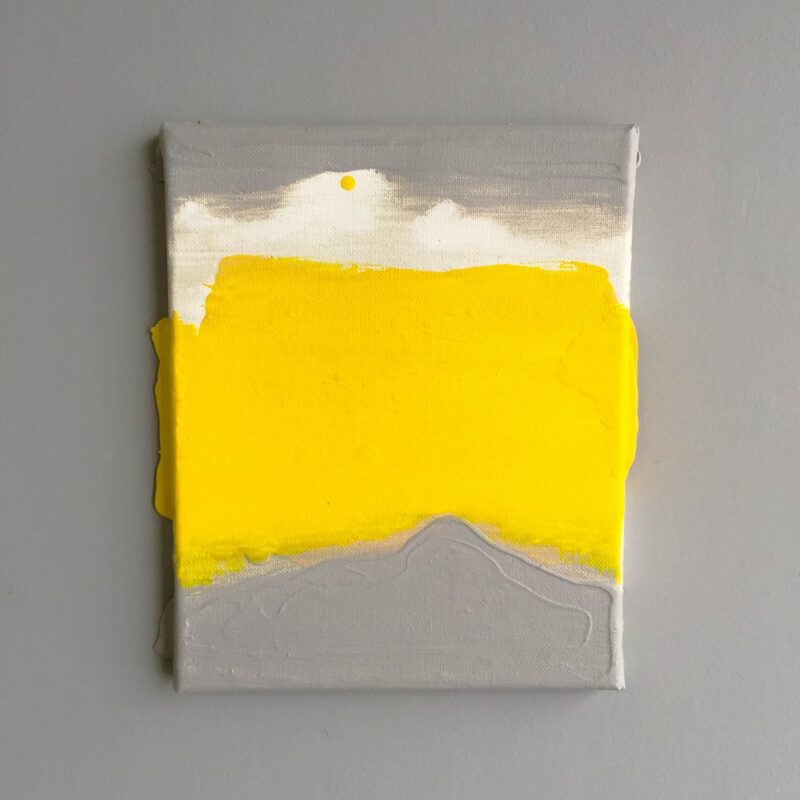 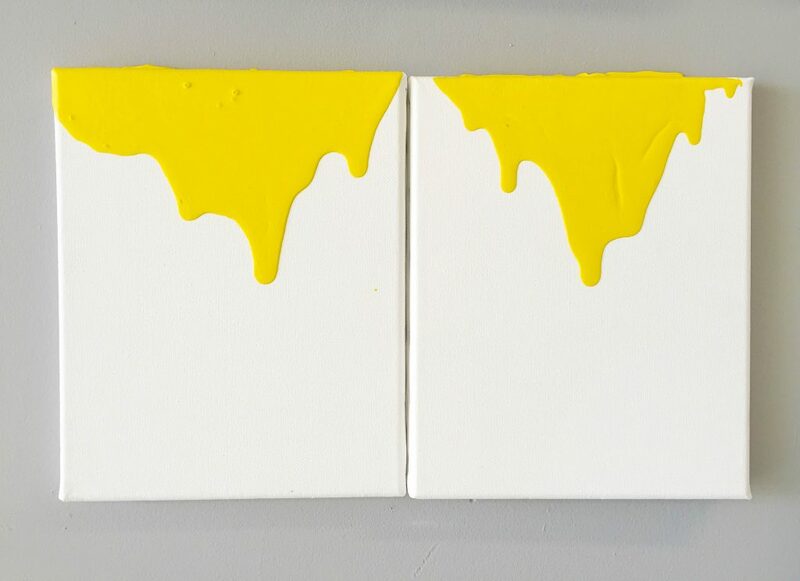 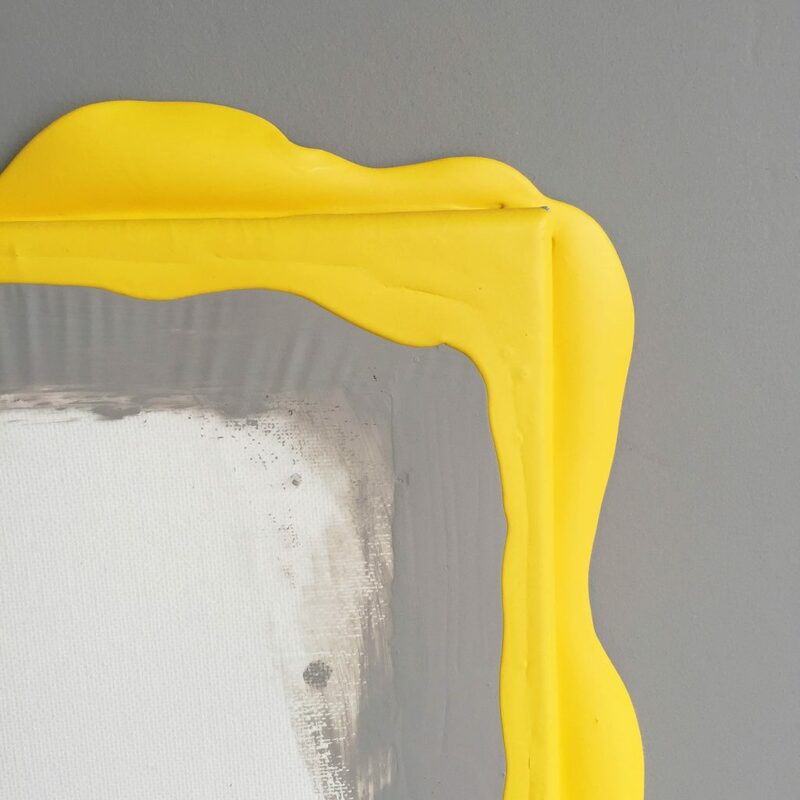 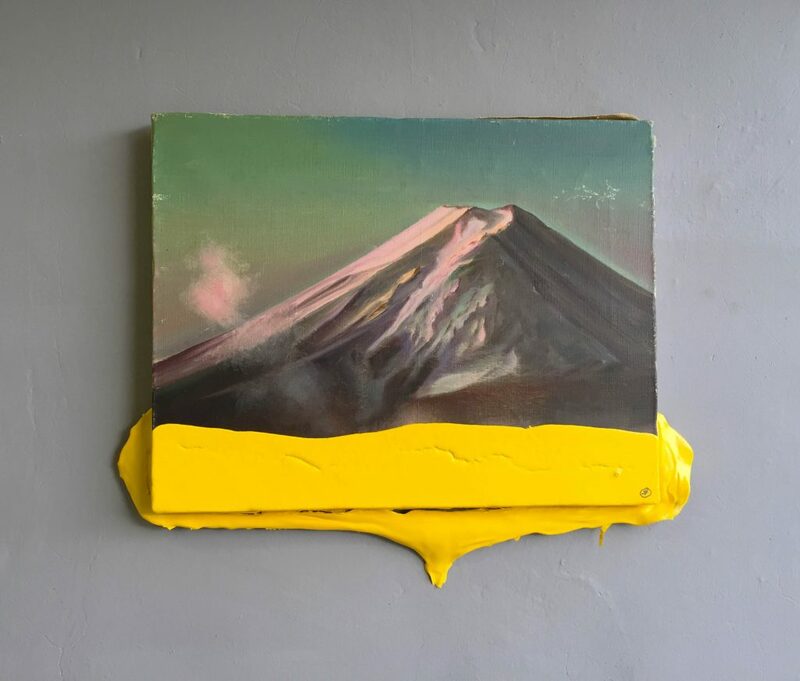 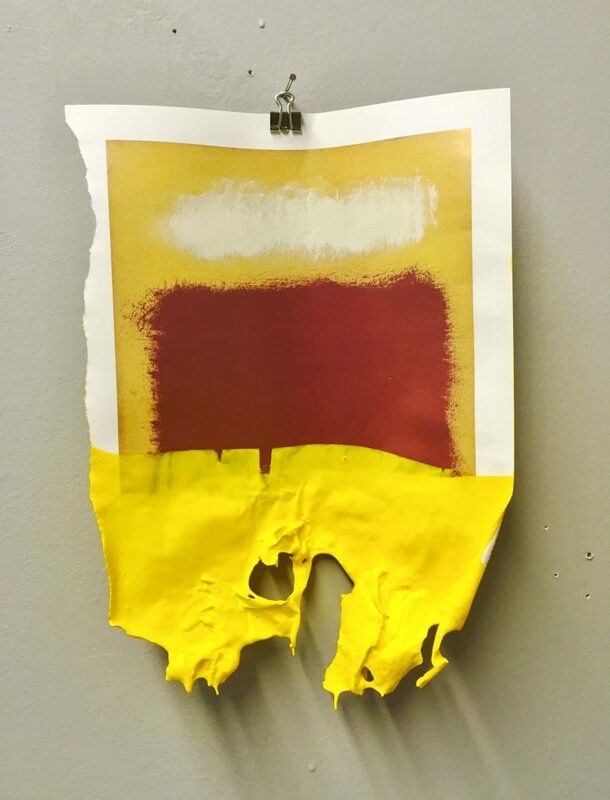 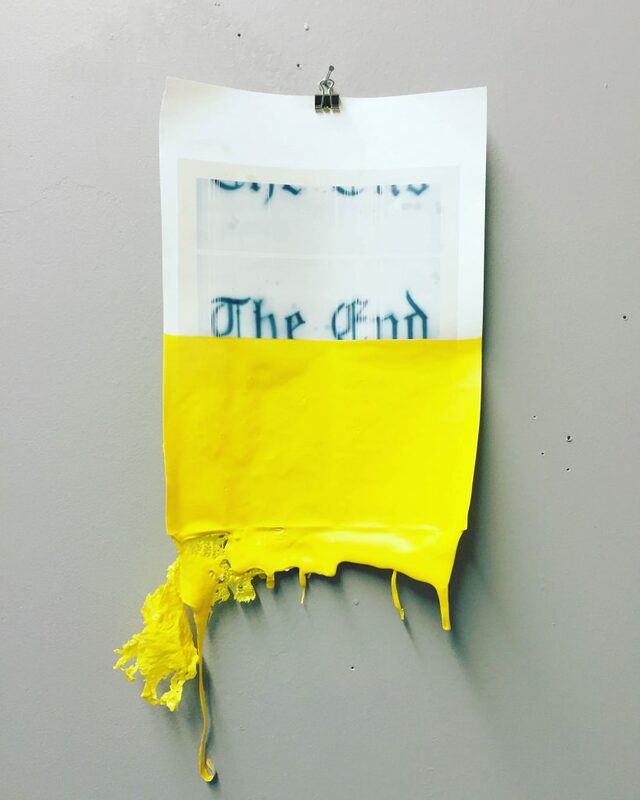 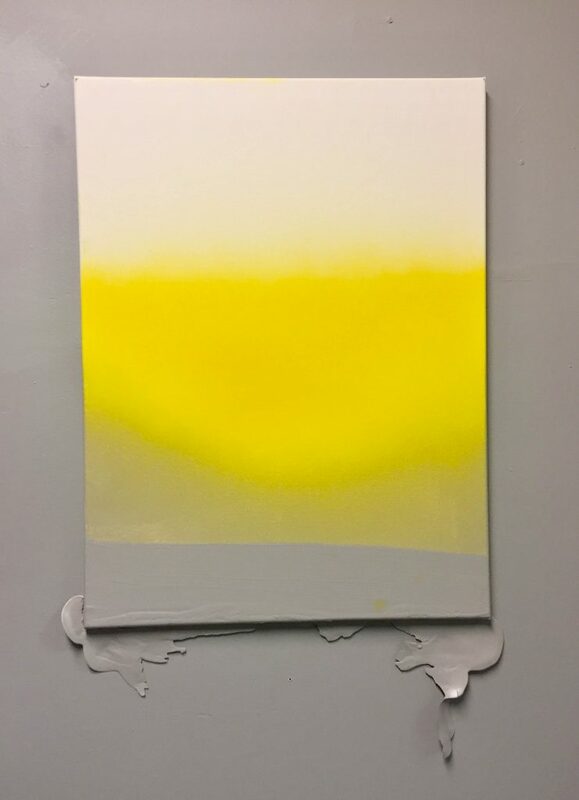 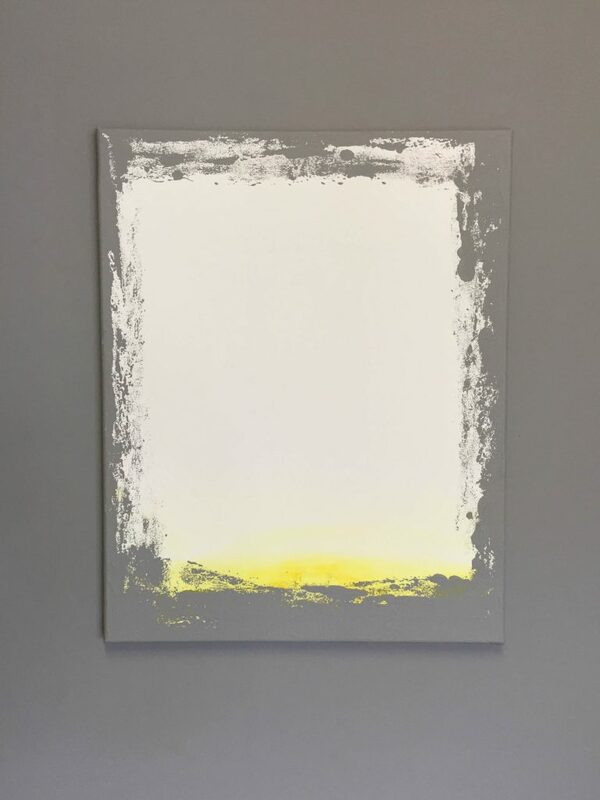 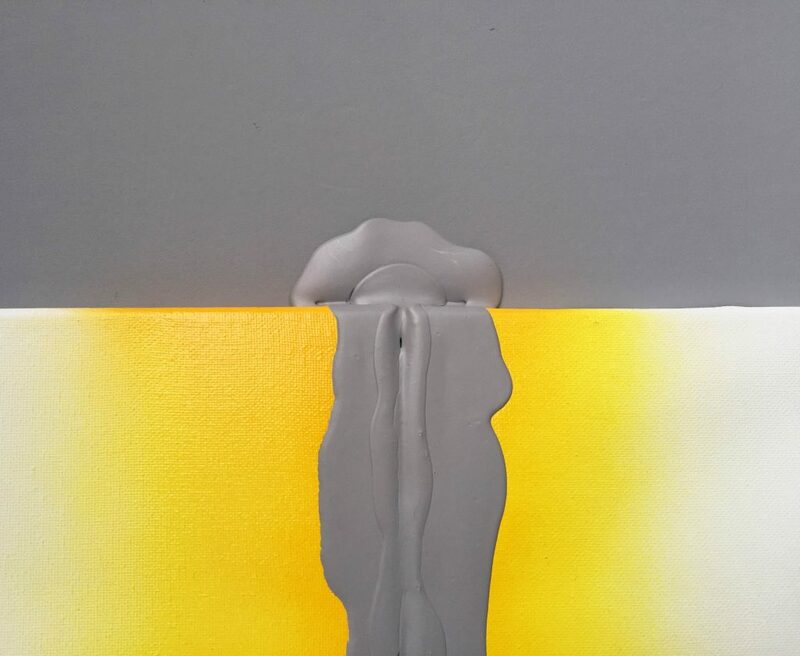 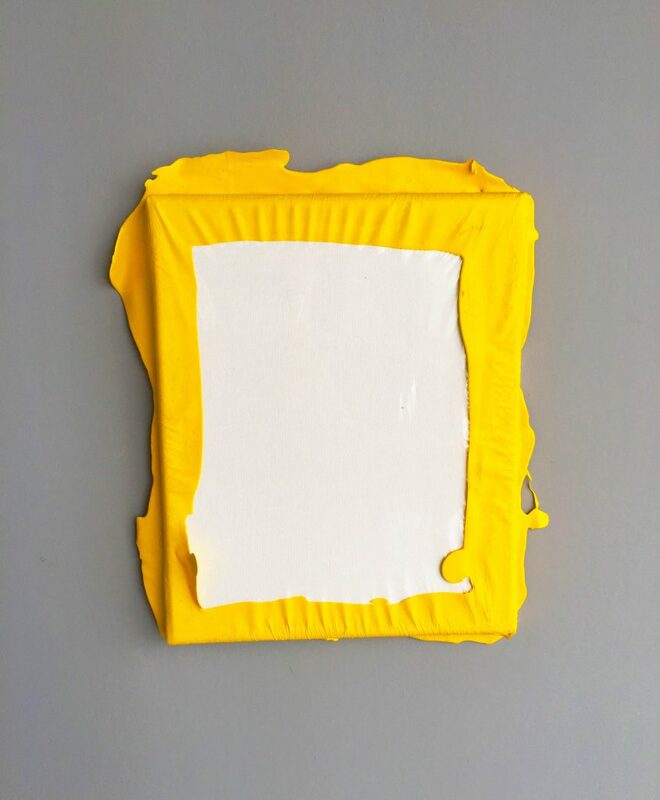 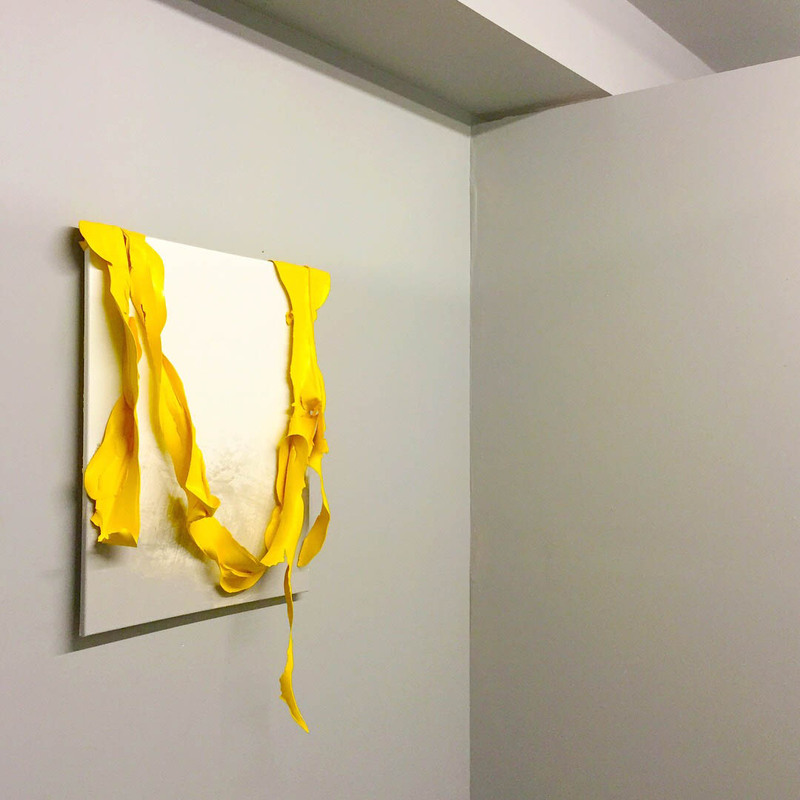 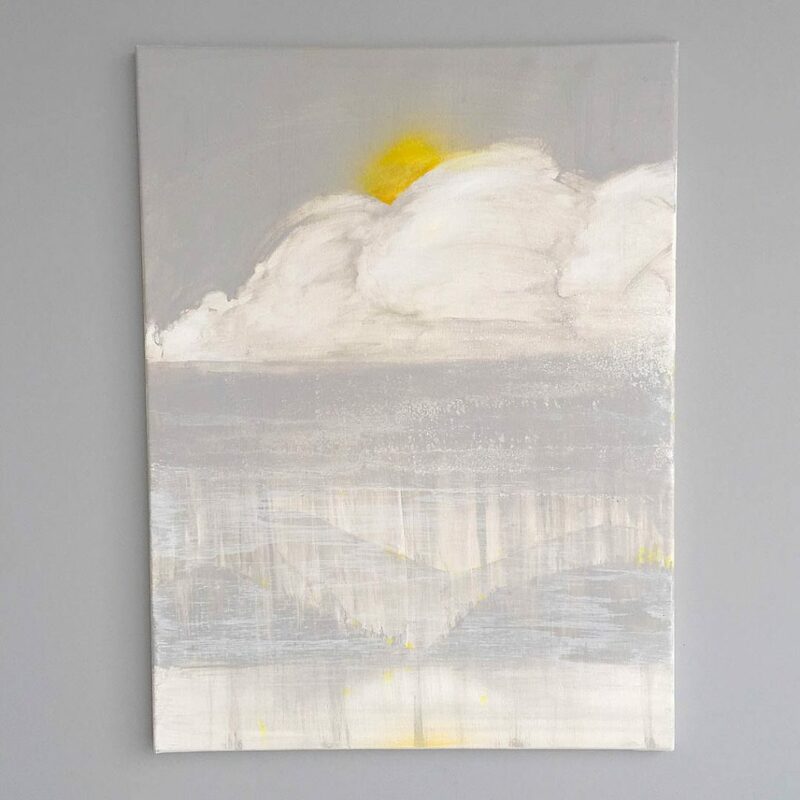 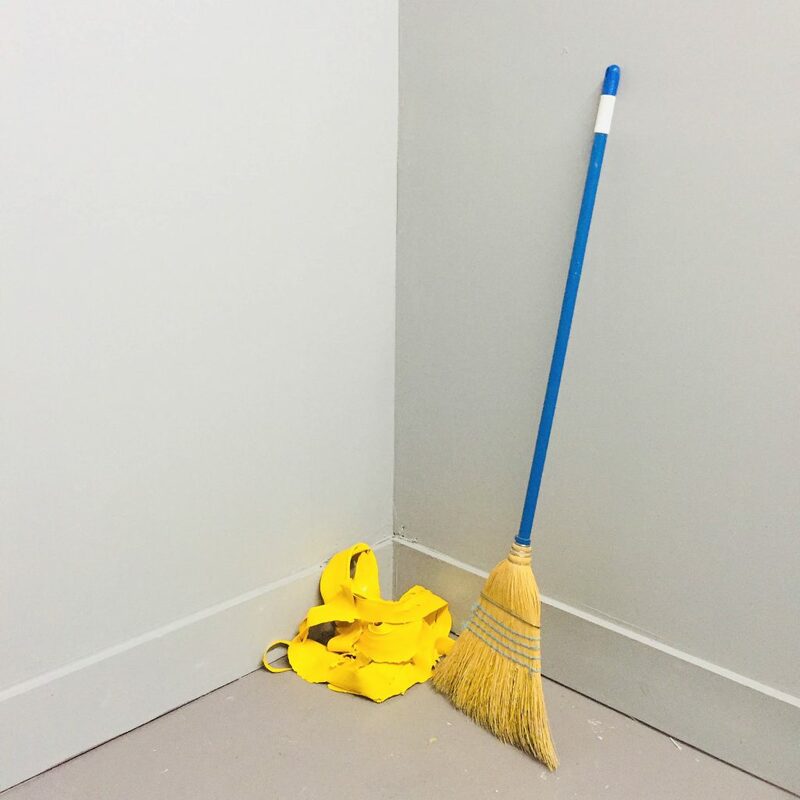 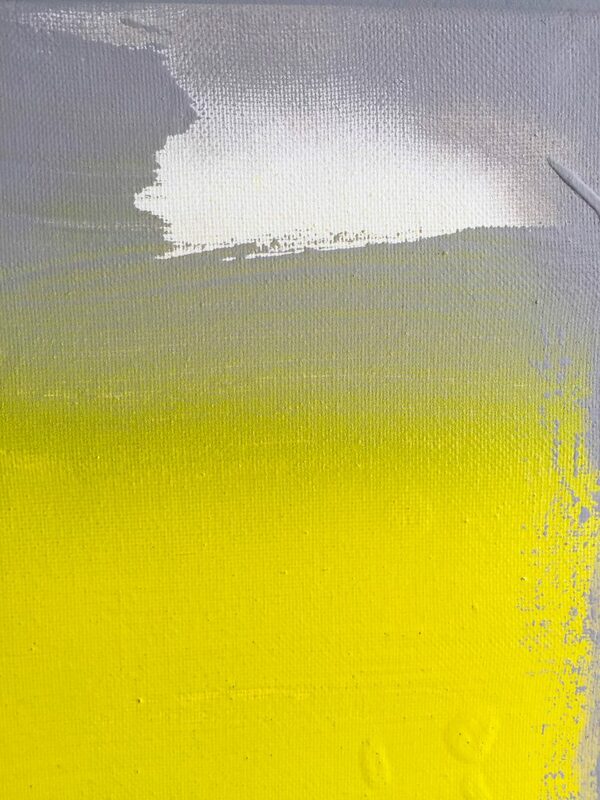 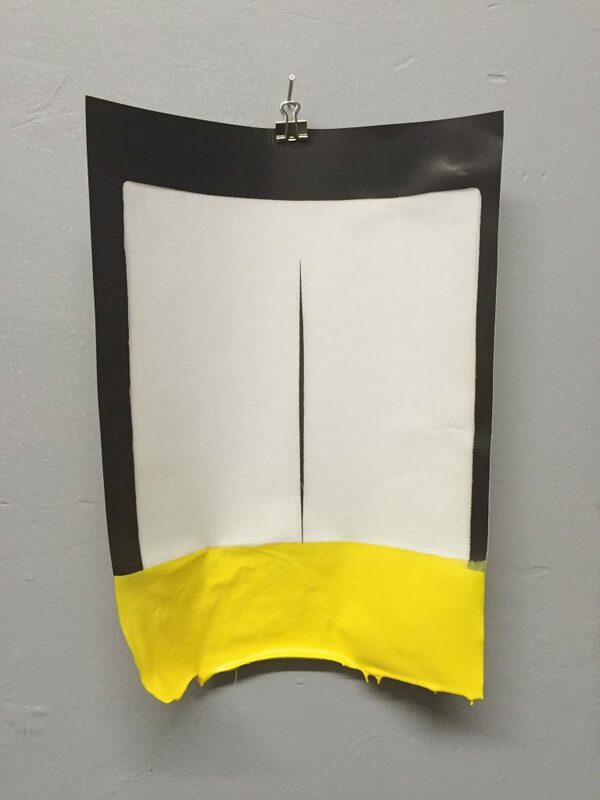 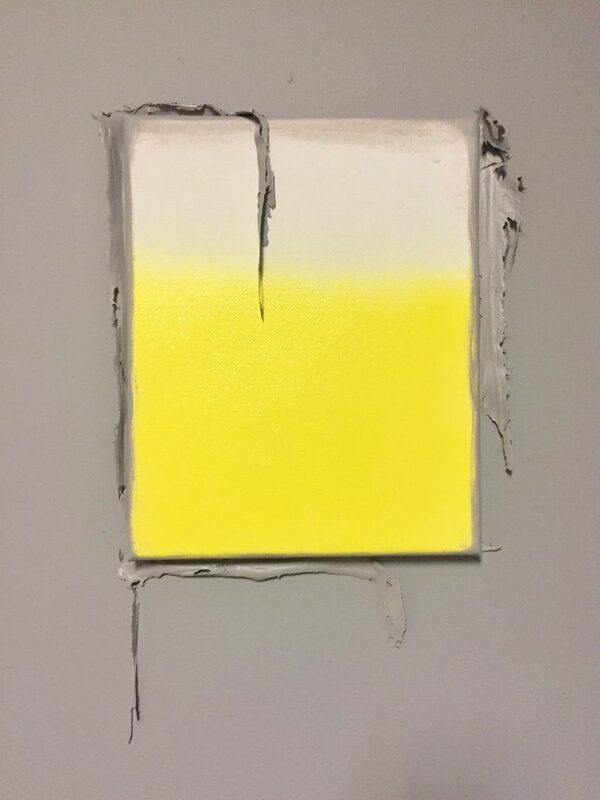 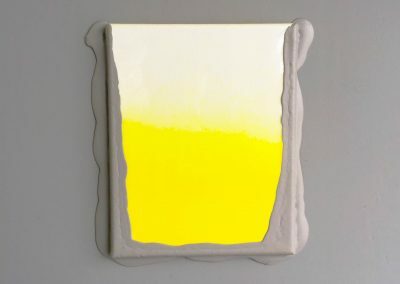 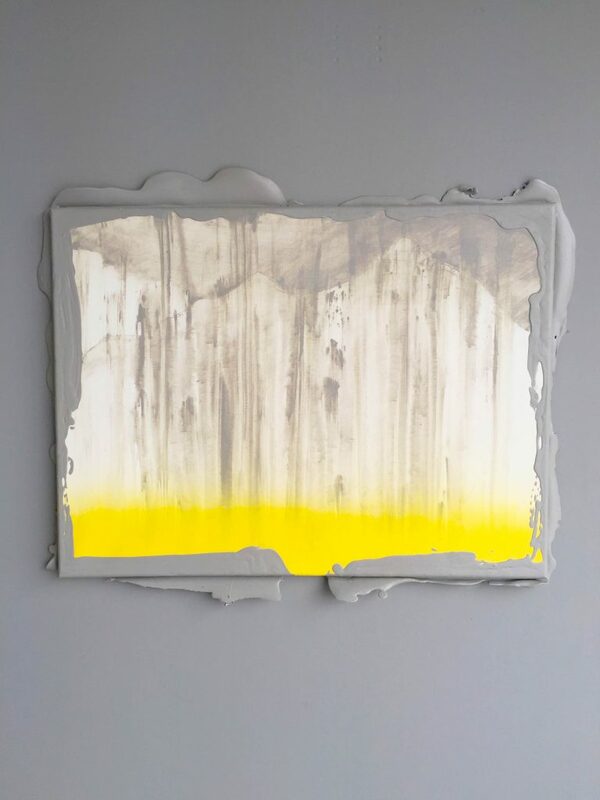 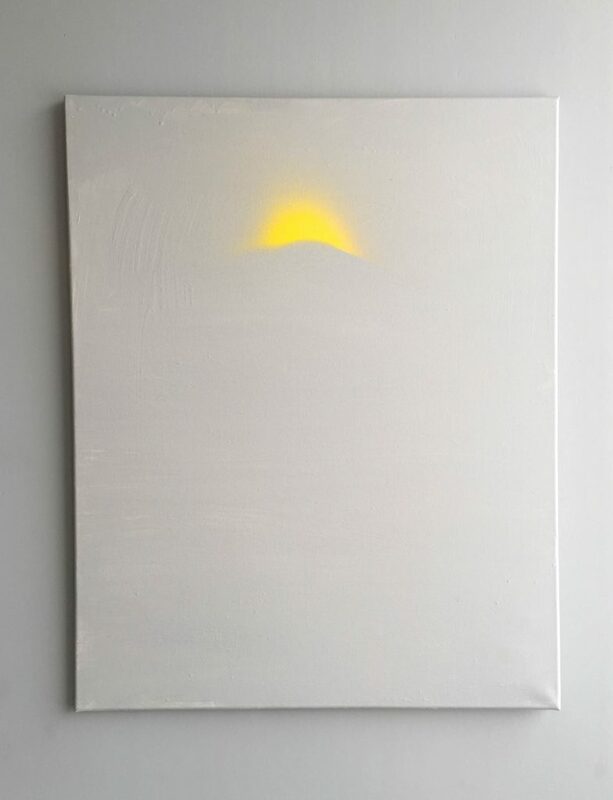 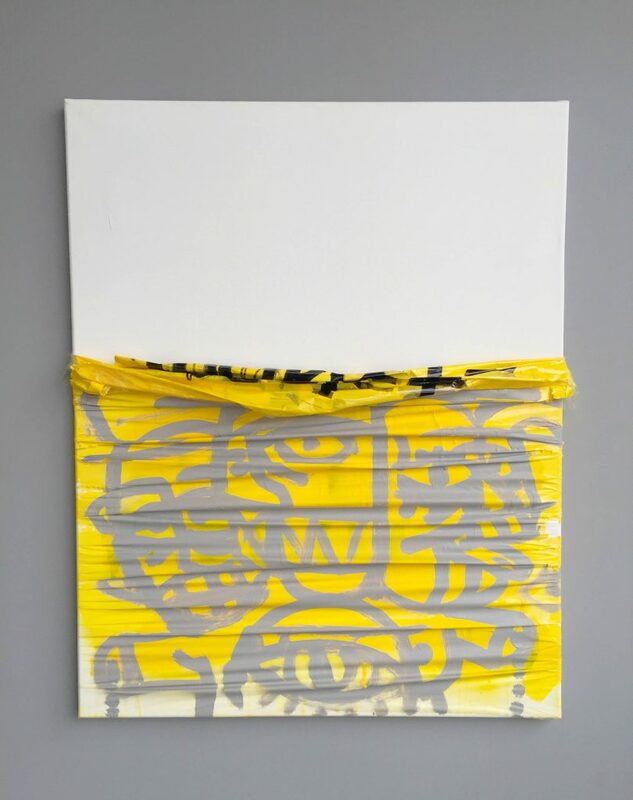 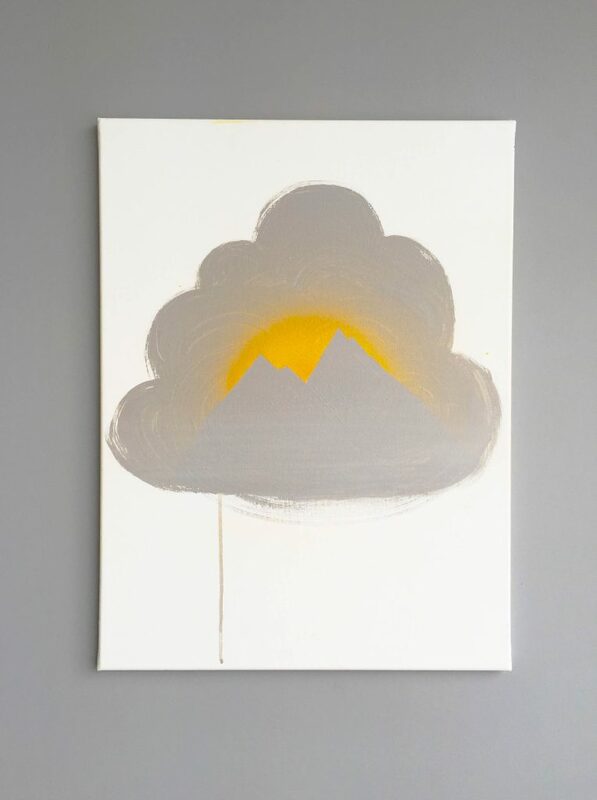 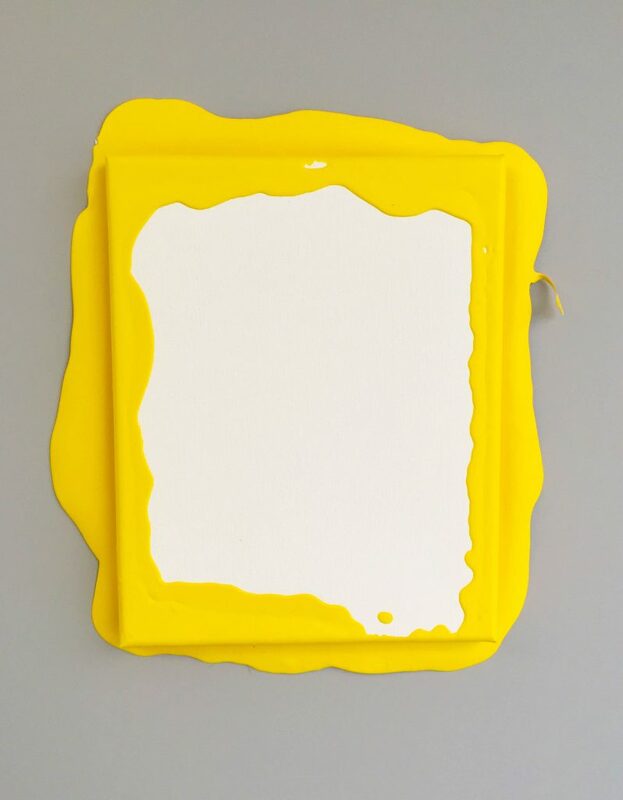 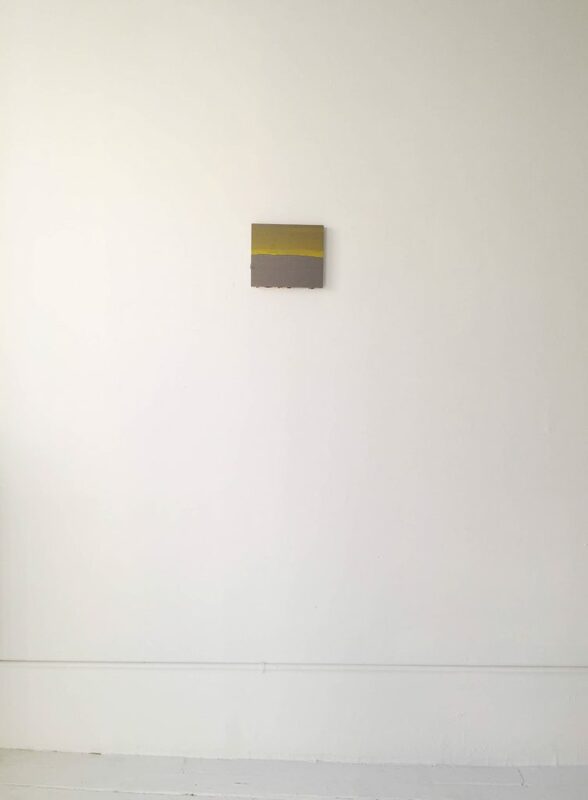 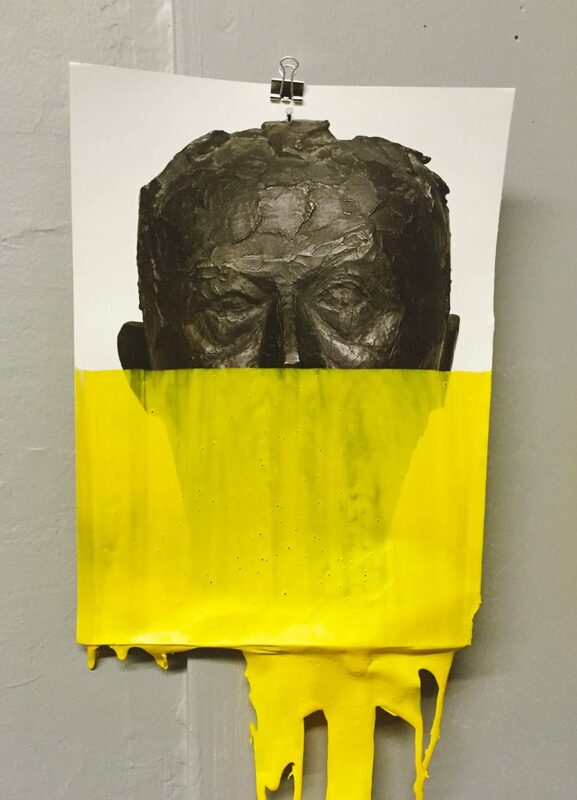 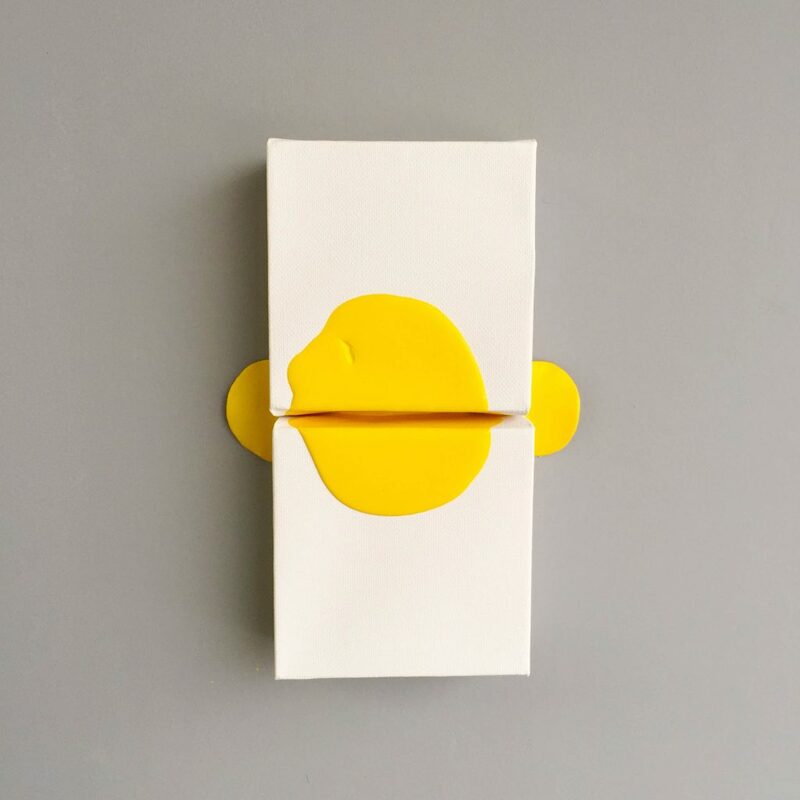 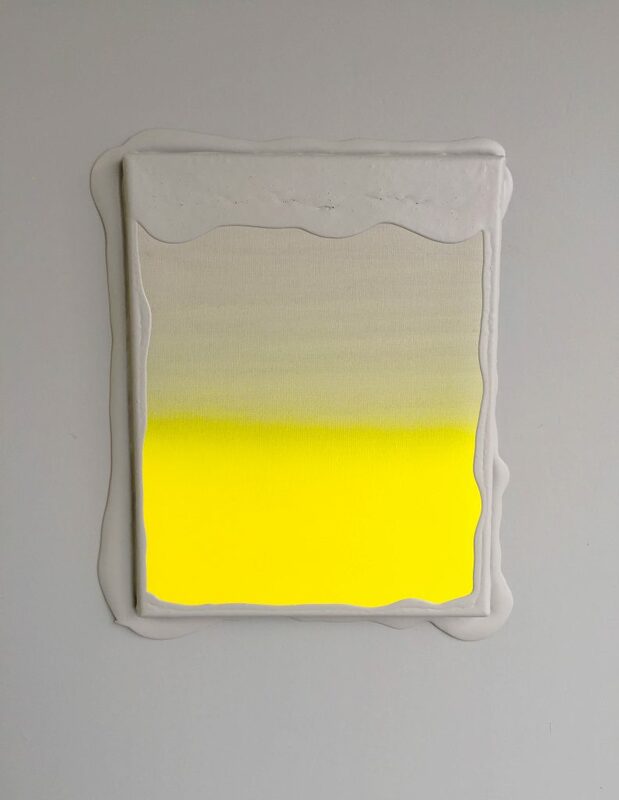 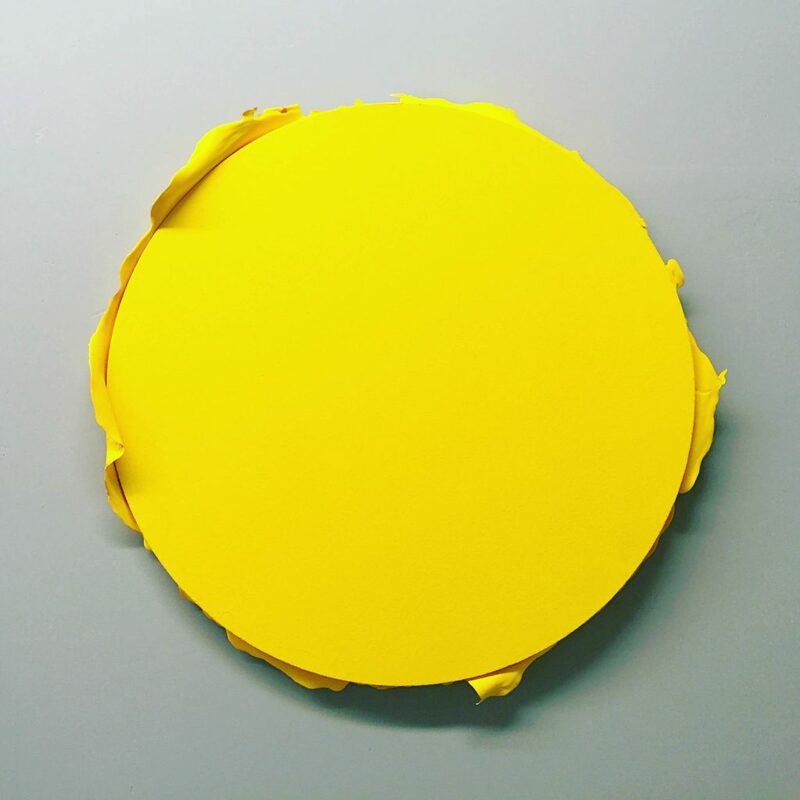 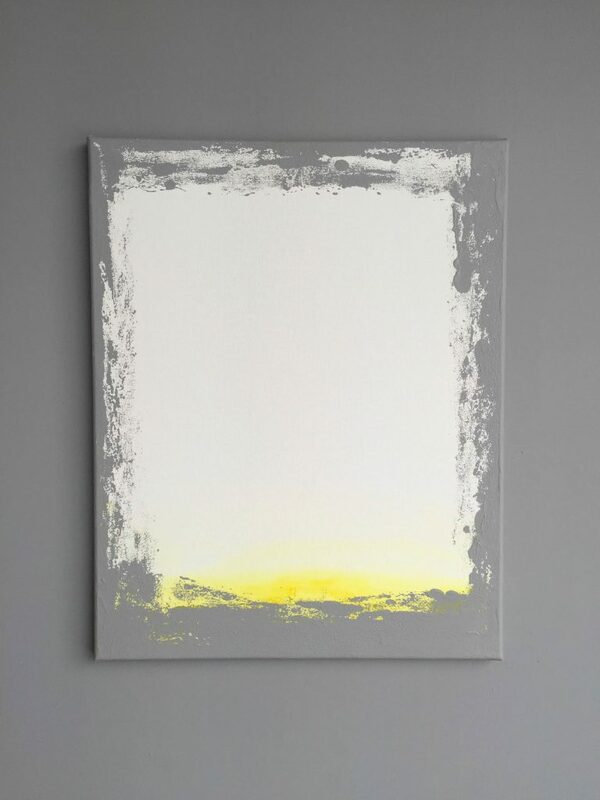 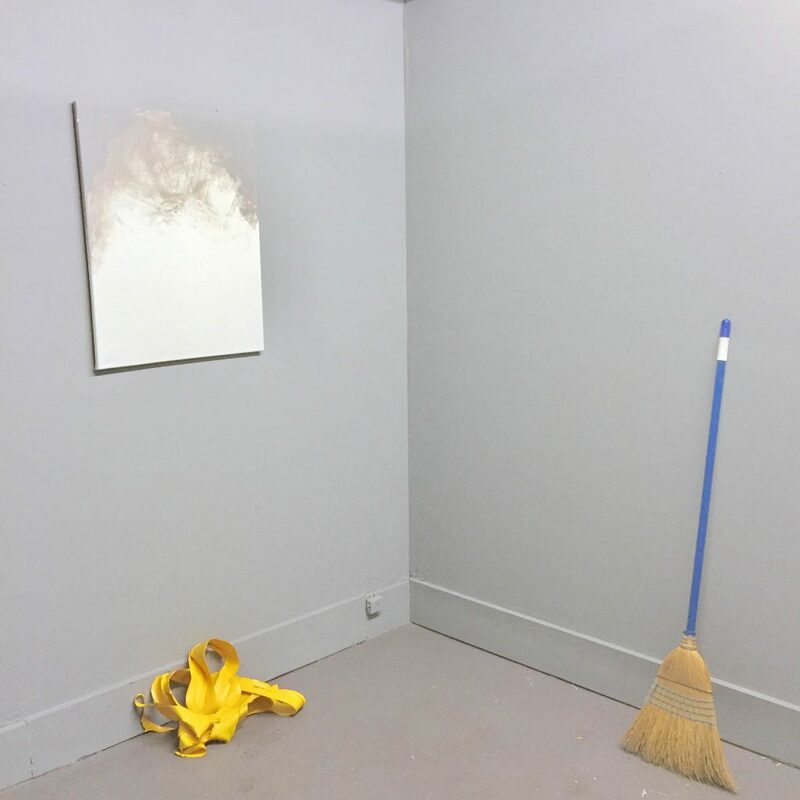 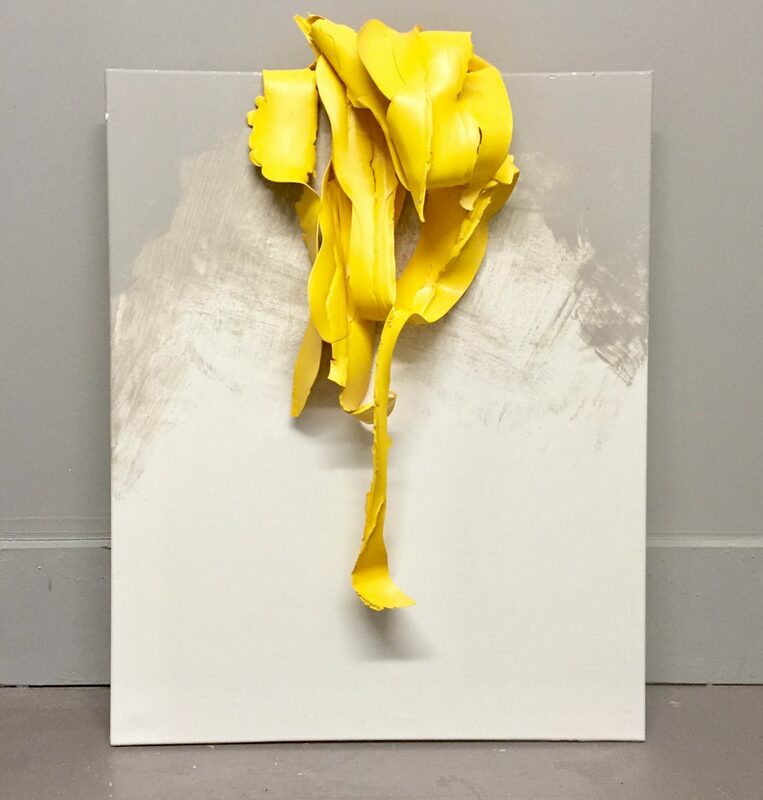 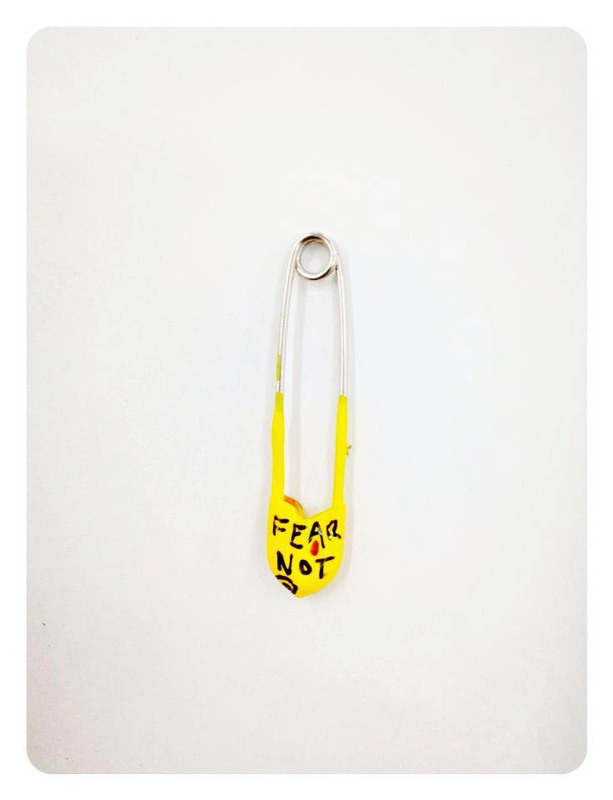 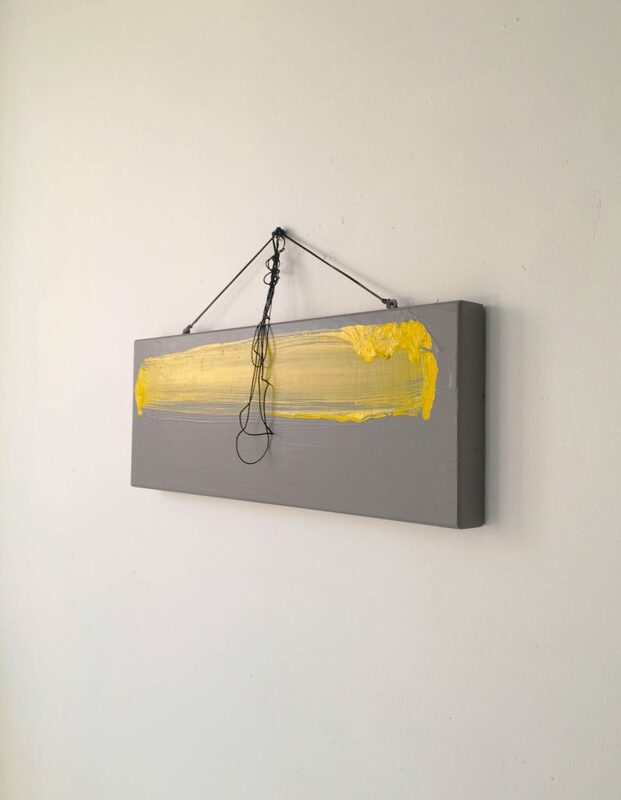 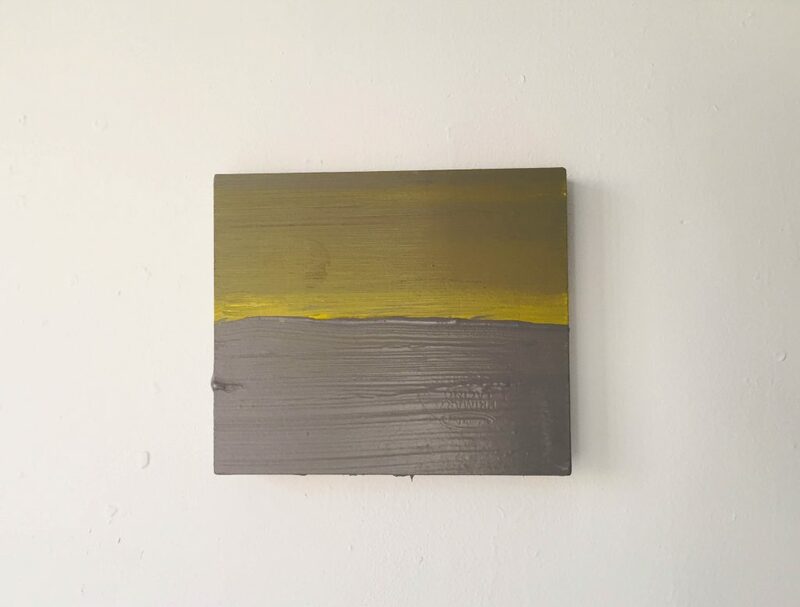 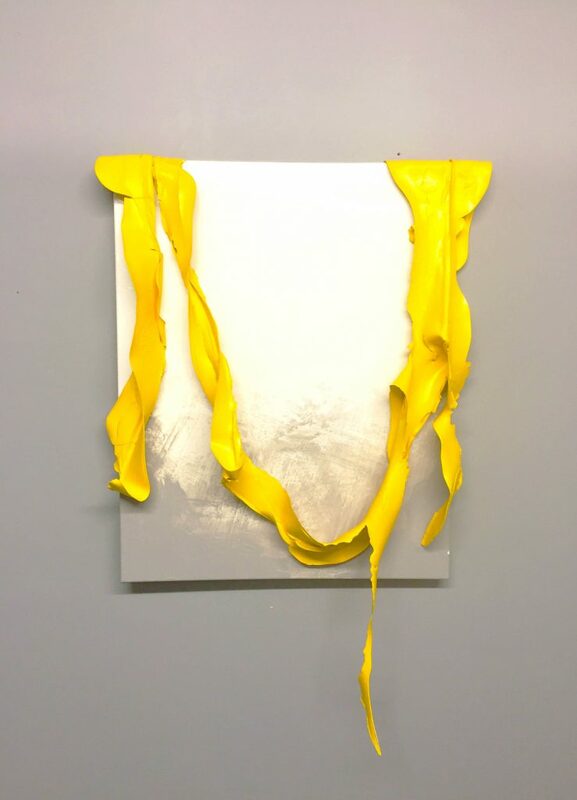 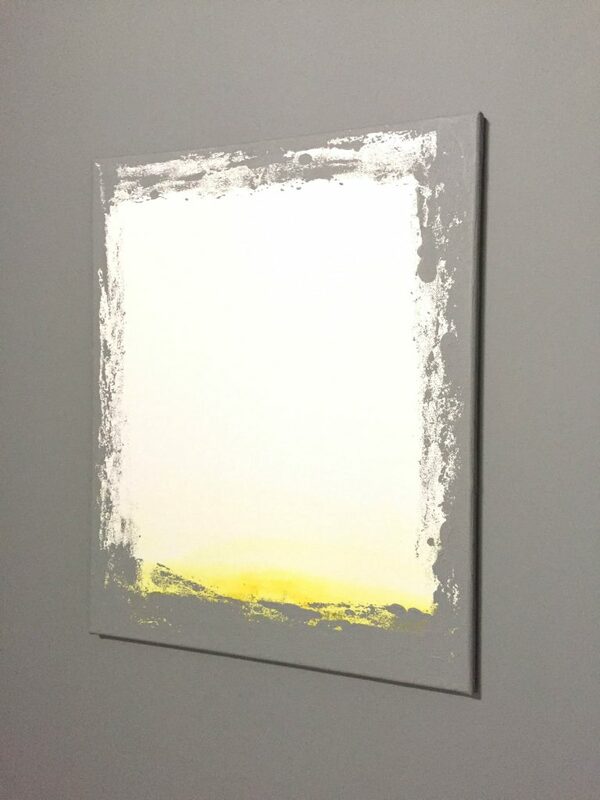 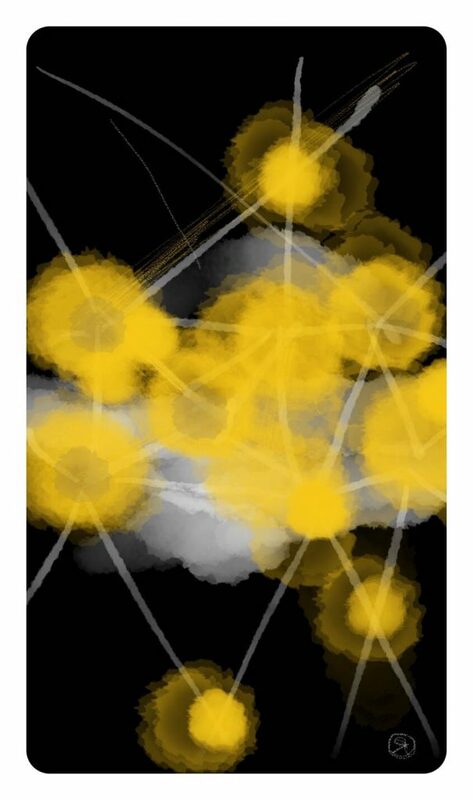 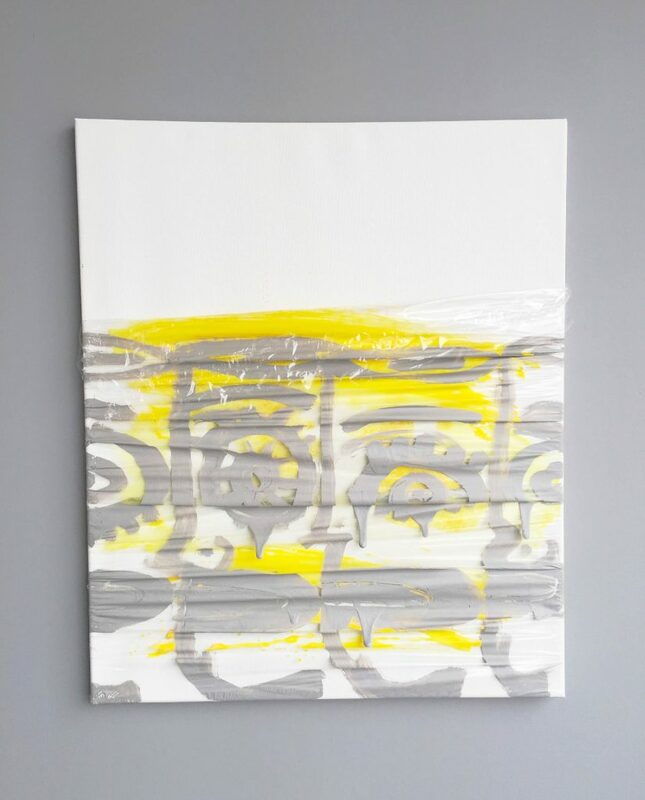 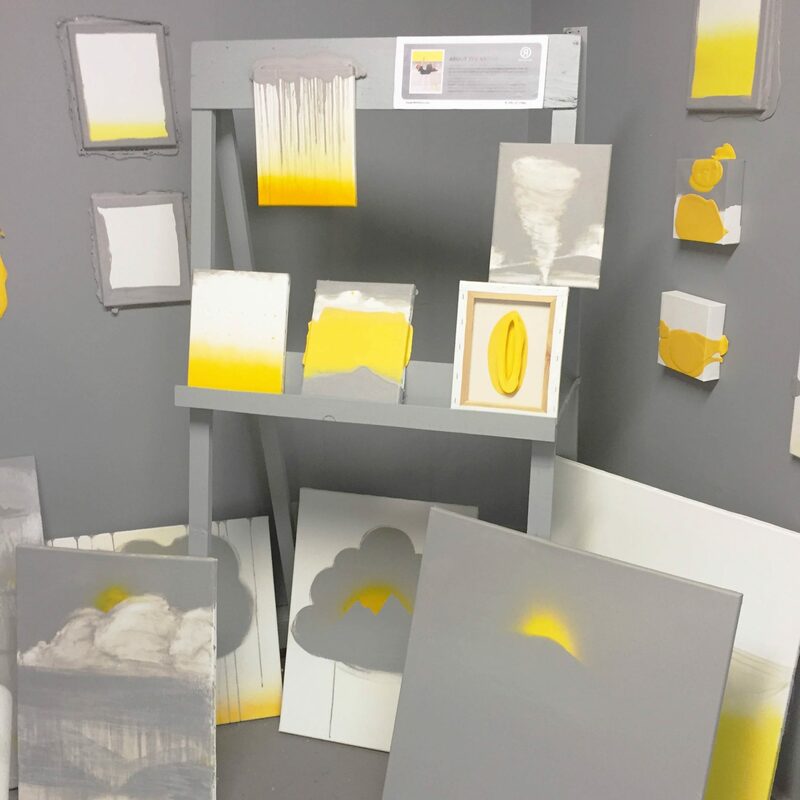 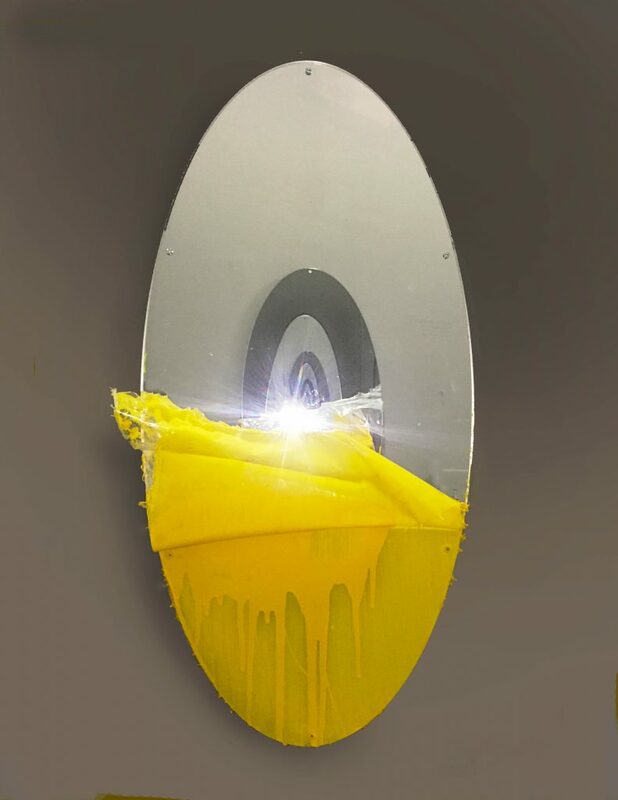 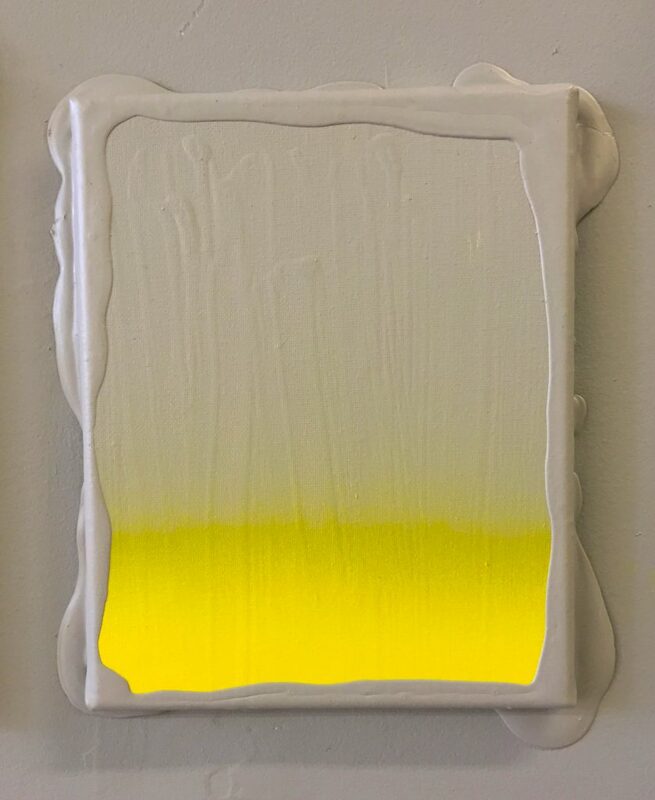 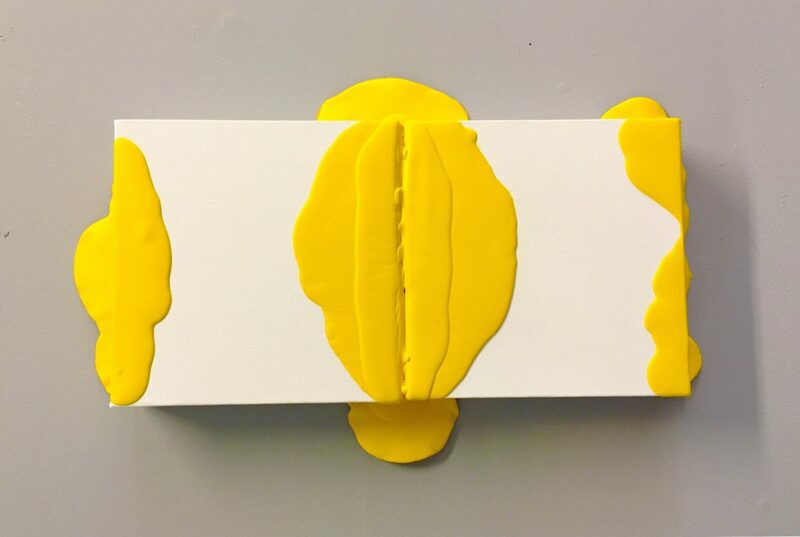 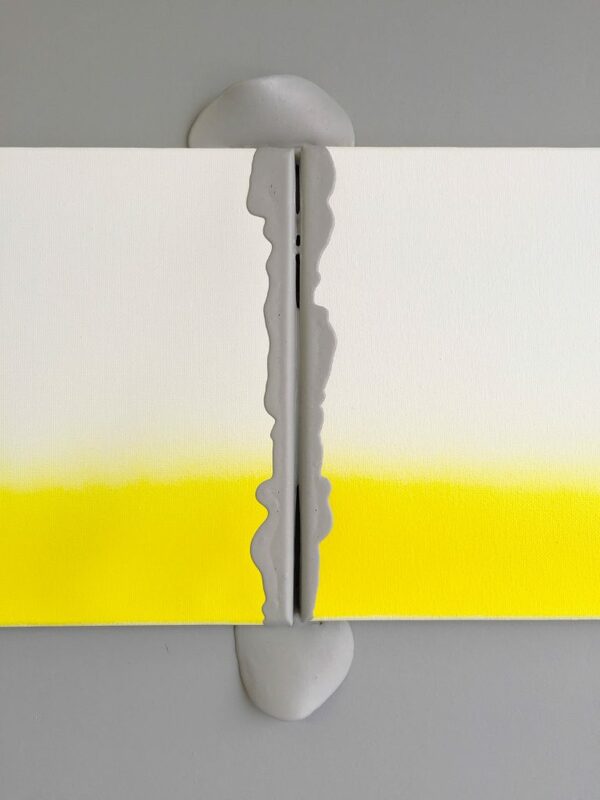 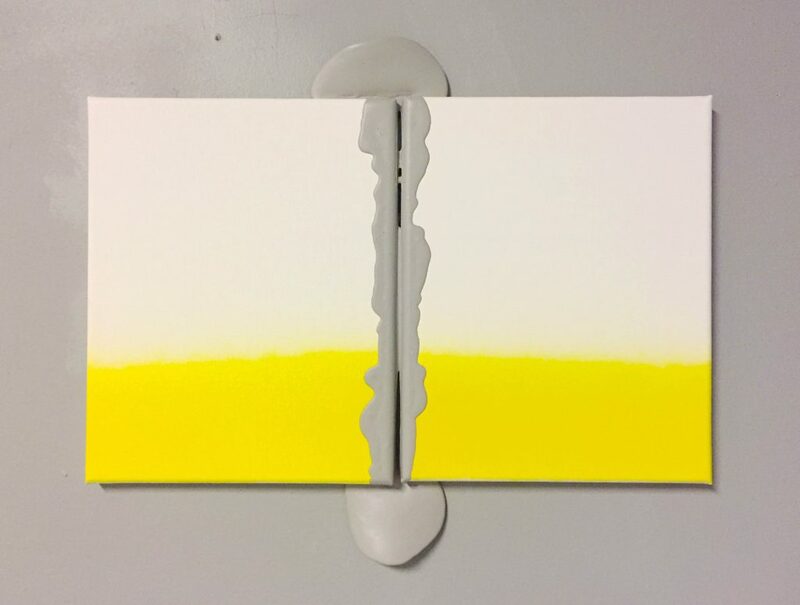 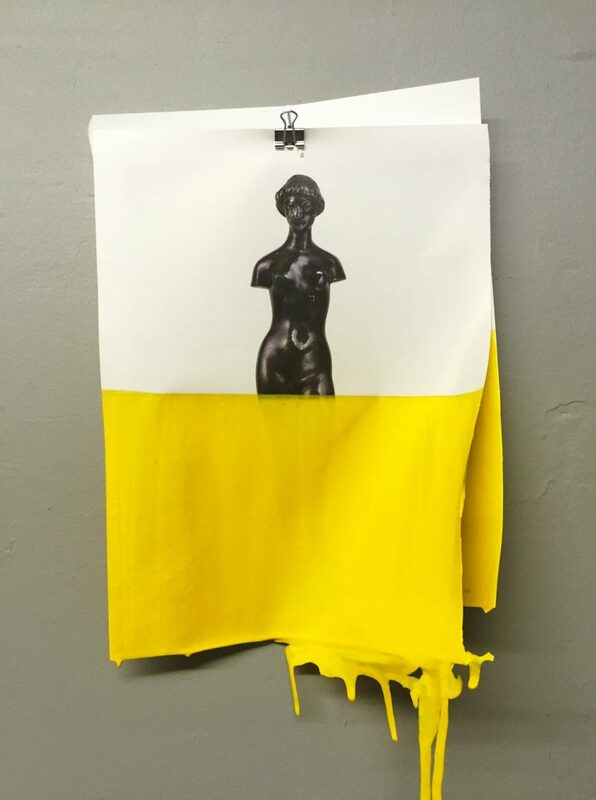 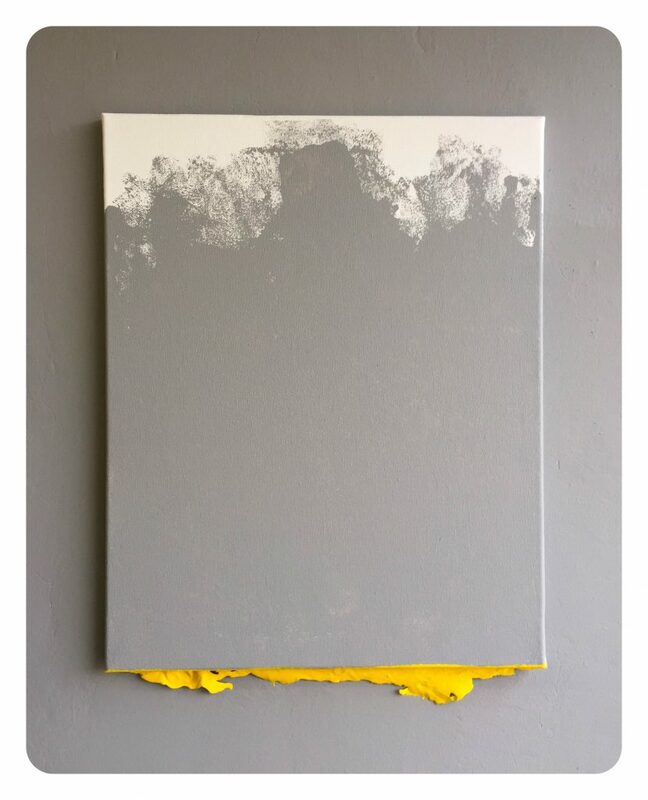 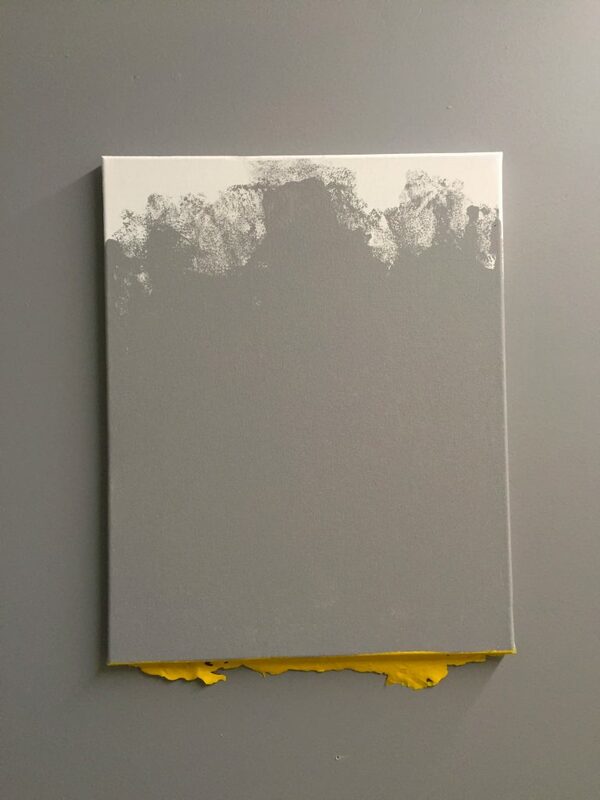 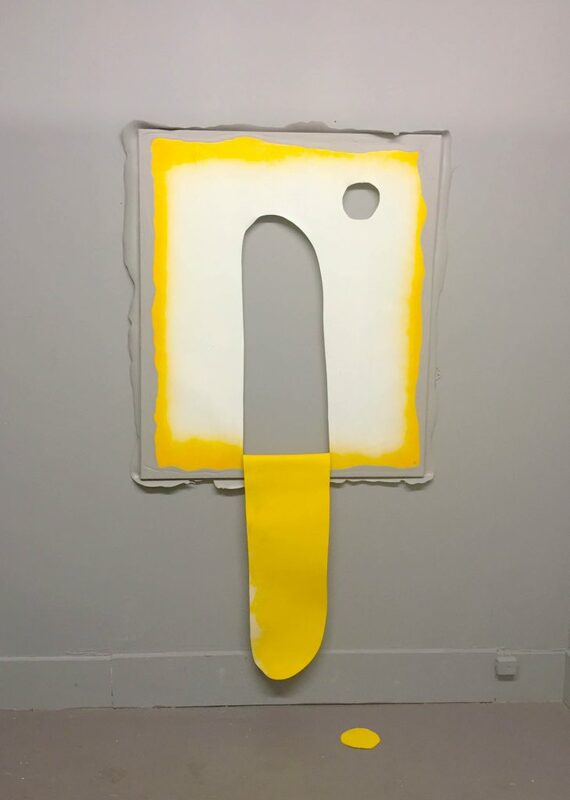 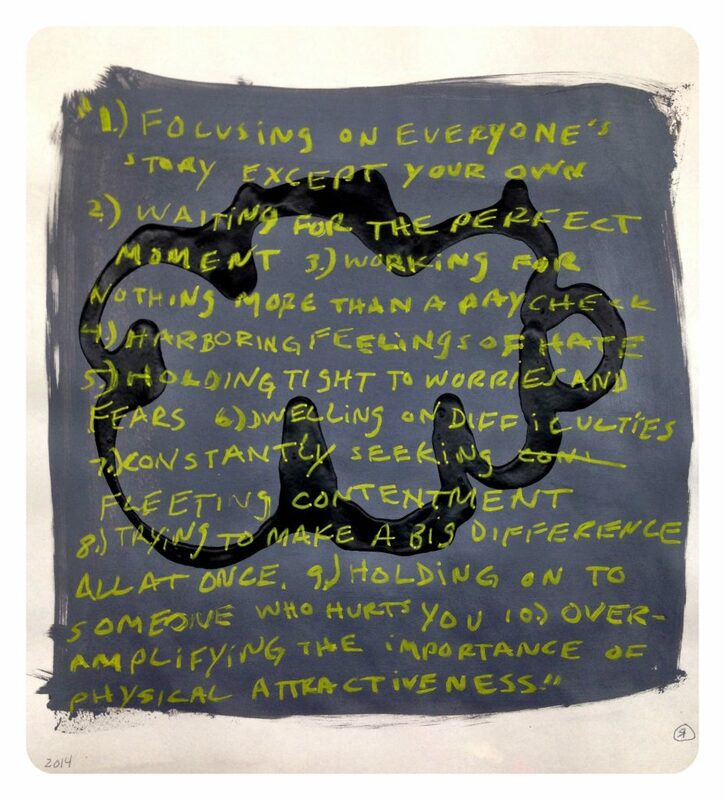 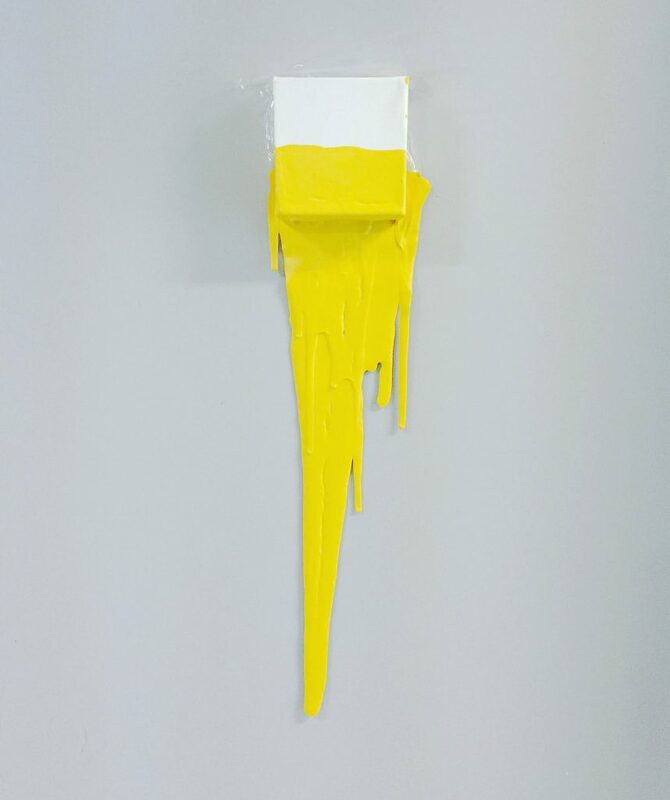 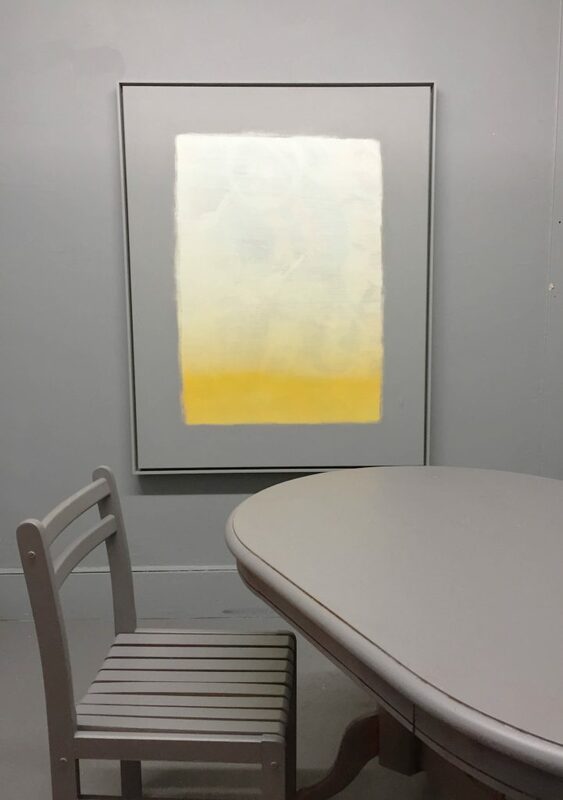 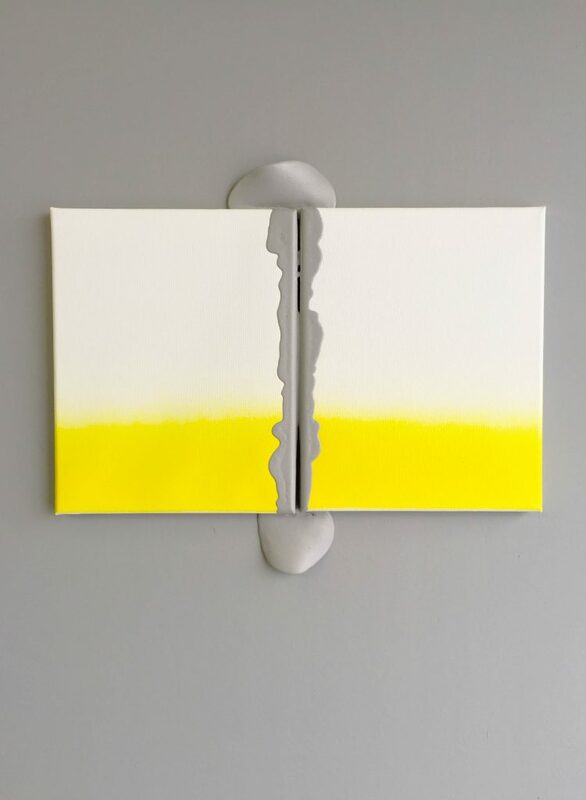 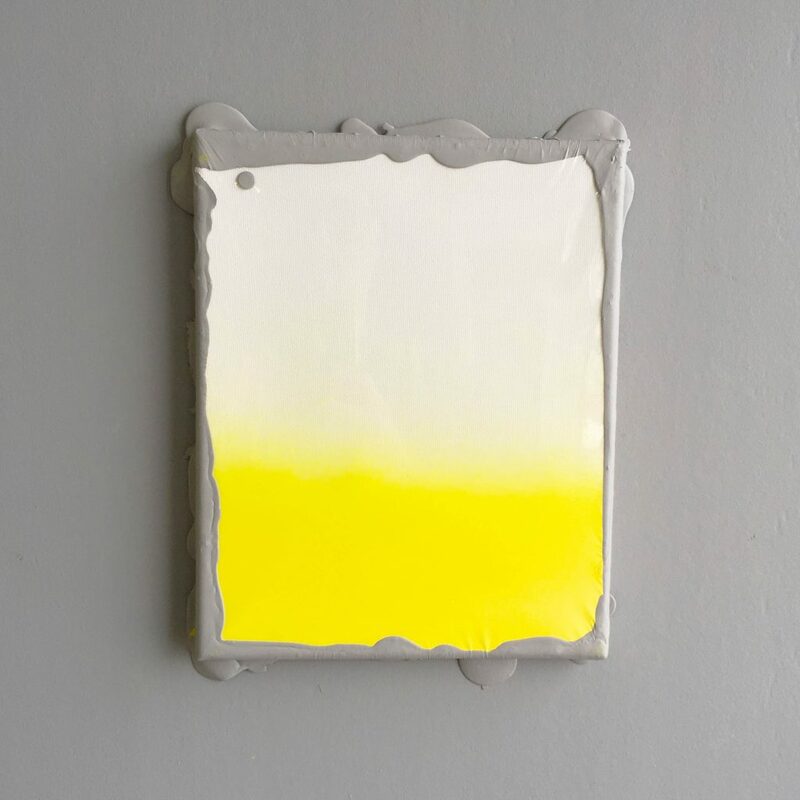 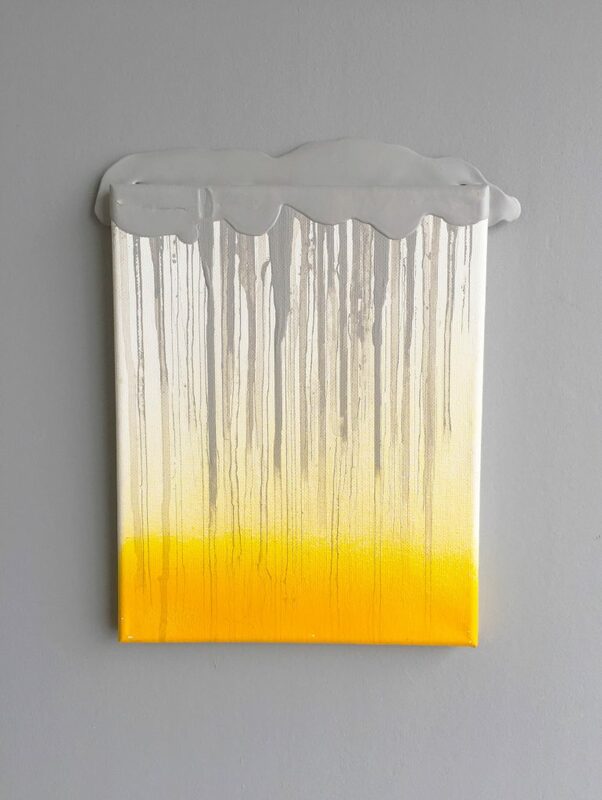 In 2016, (as part of the Life & Strife projects) he began a sub-series of Grey and Yellow works (see below) in which he explores the “yin yang of positive and negative” both literally and metaphorically. 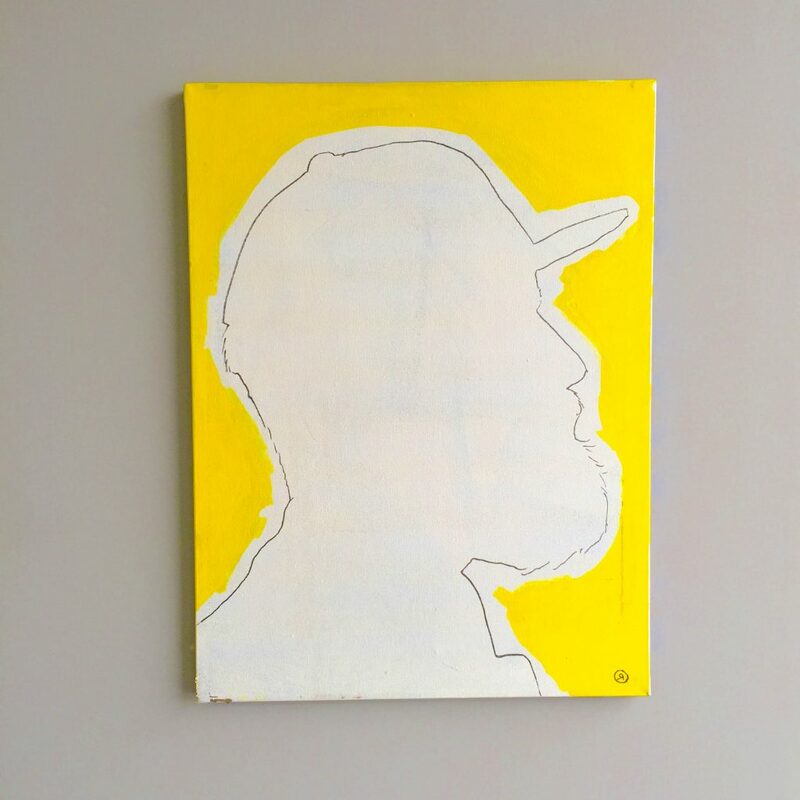 Chronicling his own mental health, including a range of emotional states of being, and converting daily life issues/struggles that caused him some form of suffering into works of art. 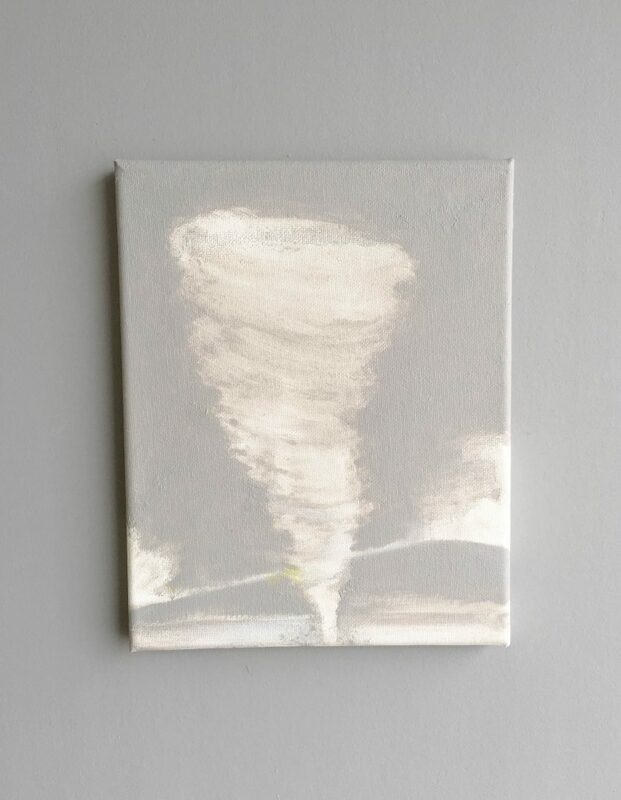 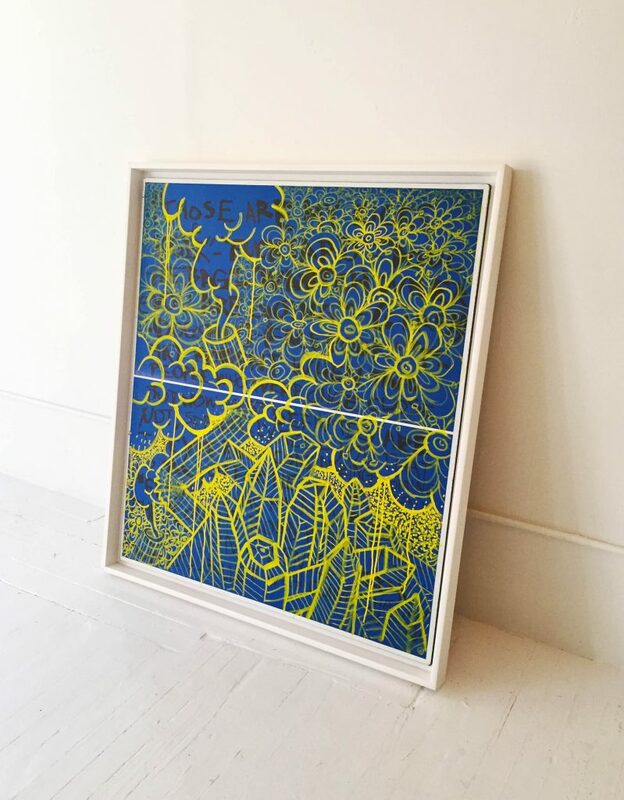 A few poignant examples of the series include paintings embedded with the ashes of his friend who had died from cancer and who left a portion of his remains to Riley. 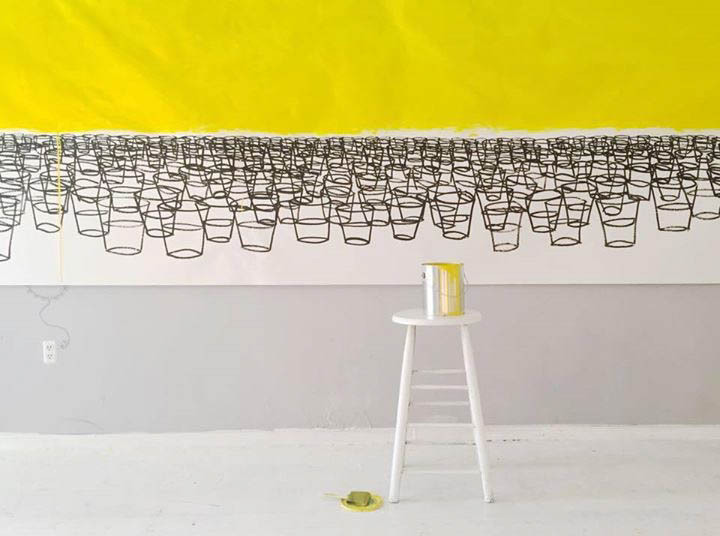 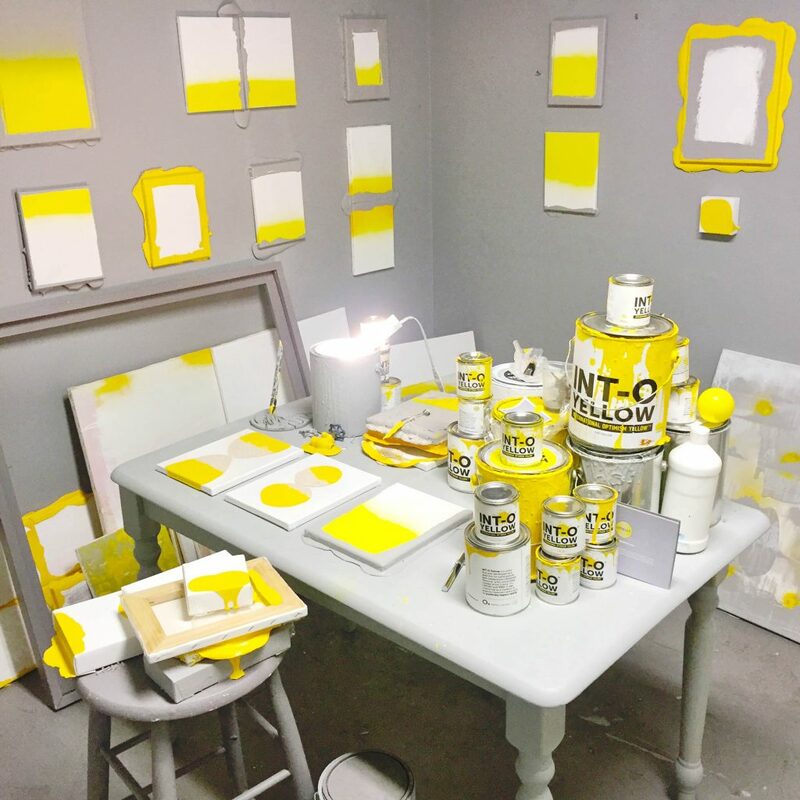 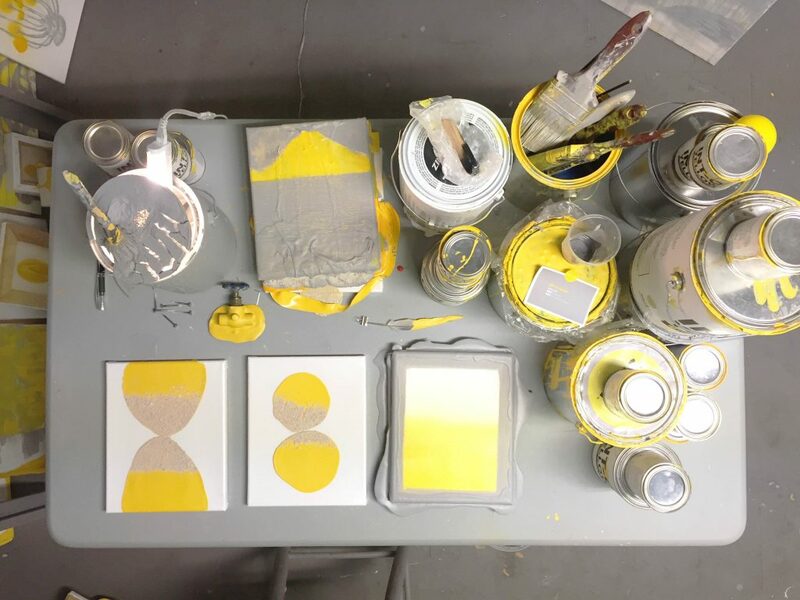 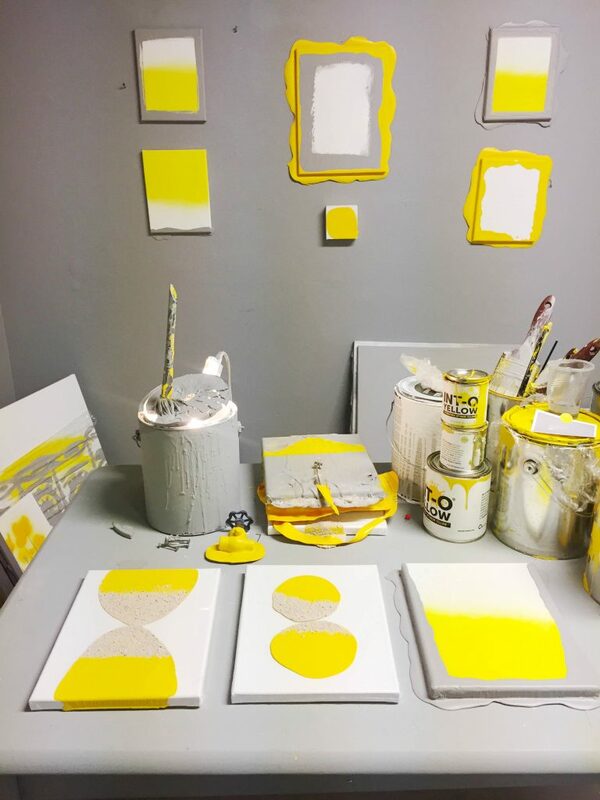 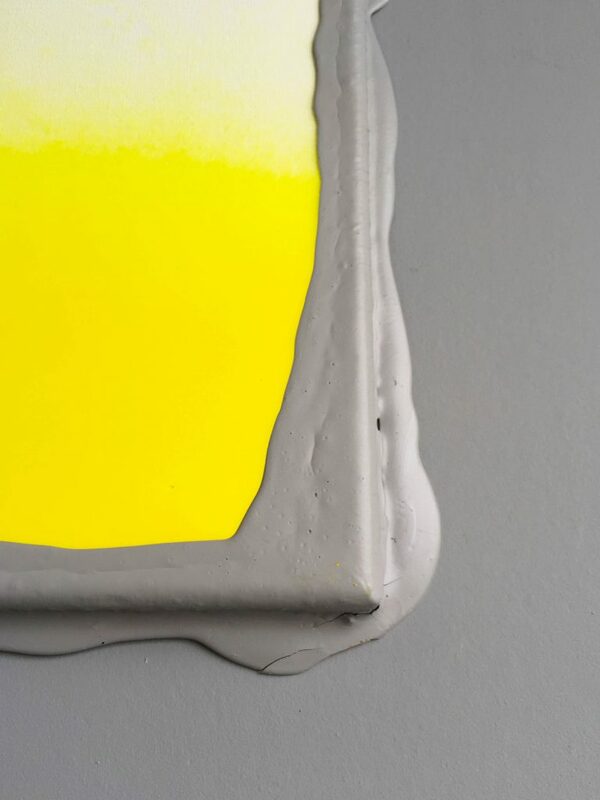 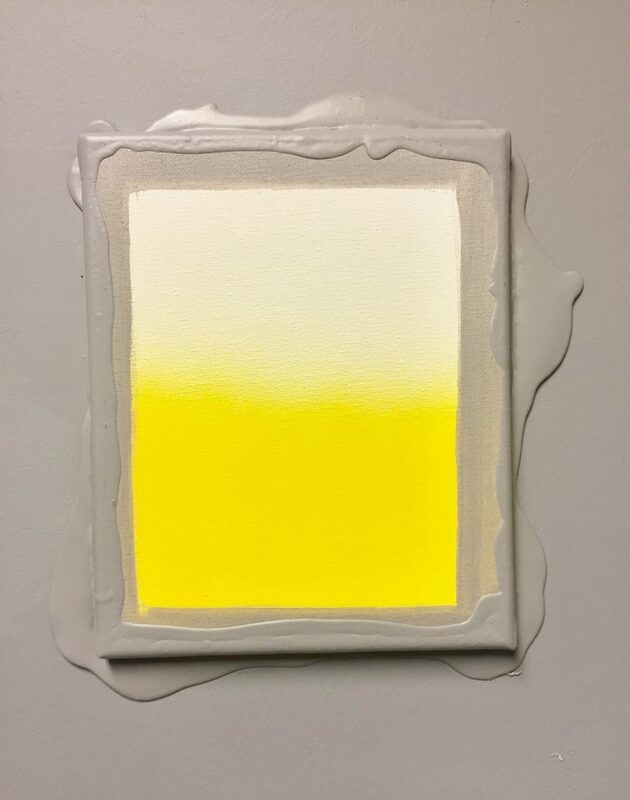 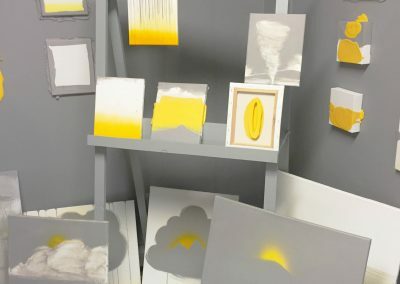 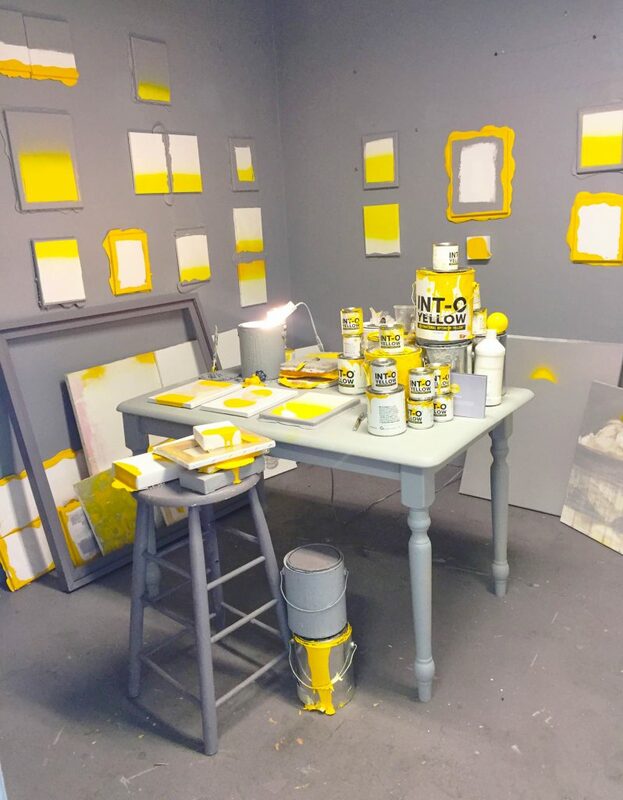 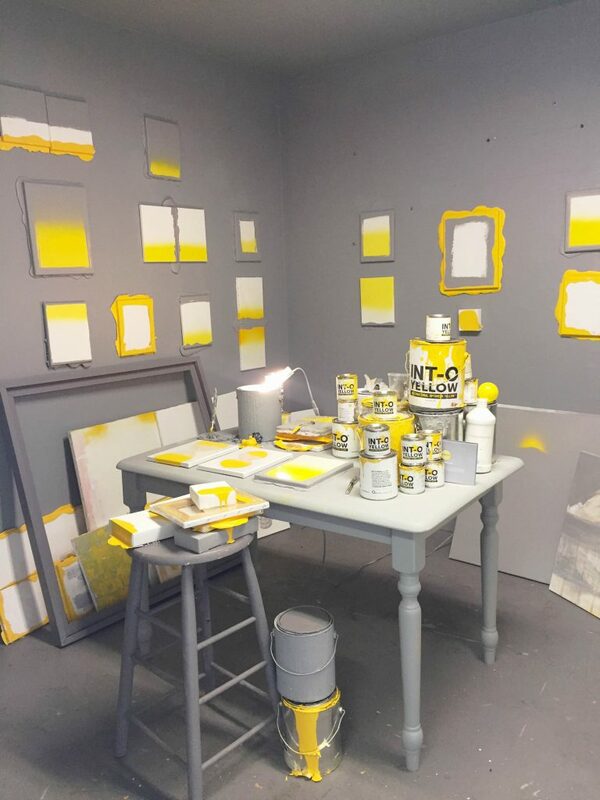 His recent public studio space (the (P)optimism Shoppe in Kingston,NY was a former derelict massage parlor that he coated with 25 gallons of “Void Grey” paint— in which he made only yellow, grey and white works for one year (using 25 gallons of INTOyellow). 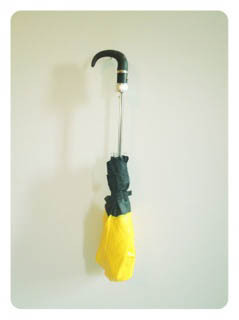 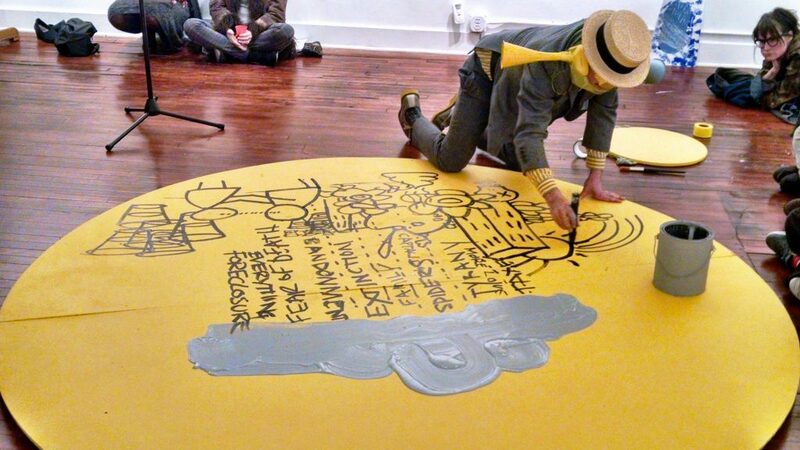 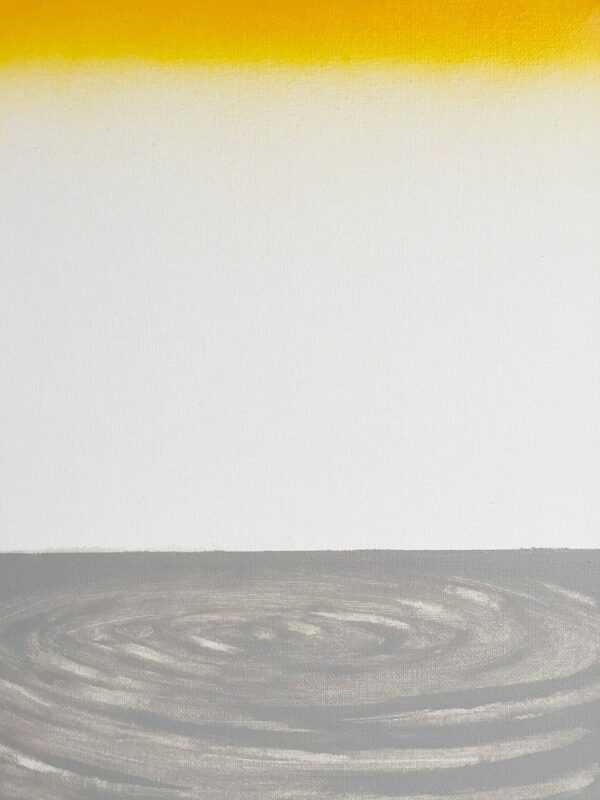 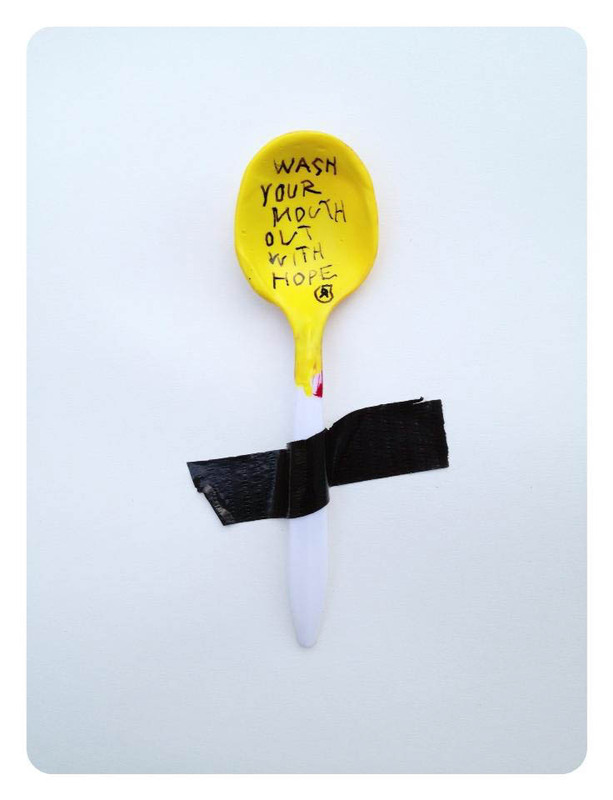 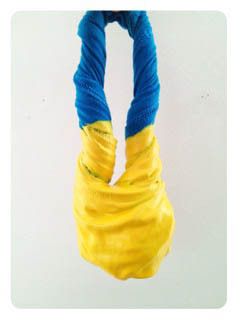 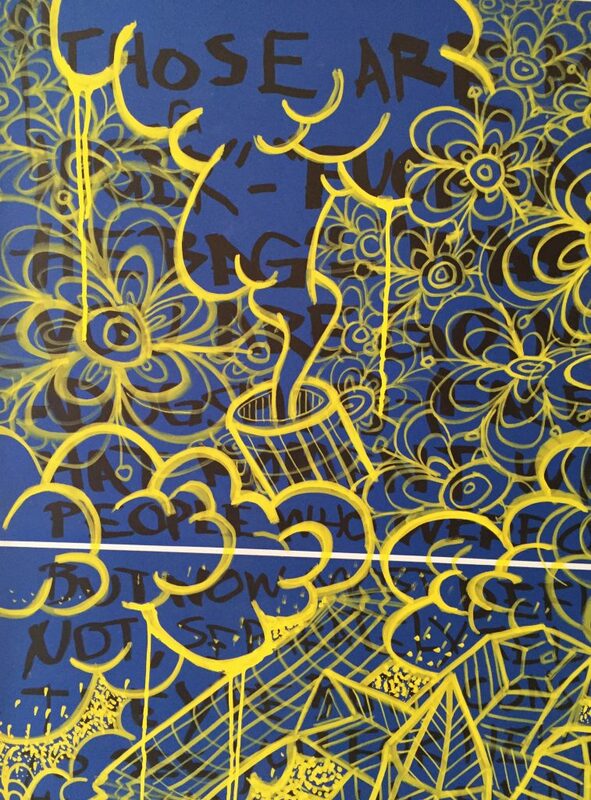 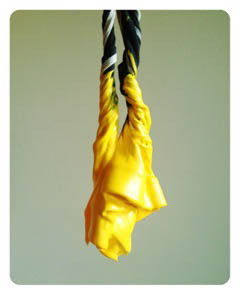 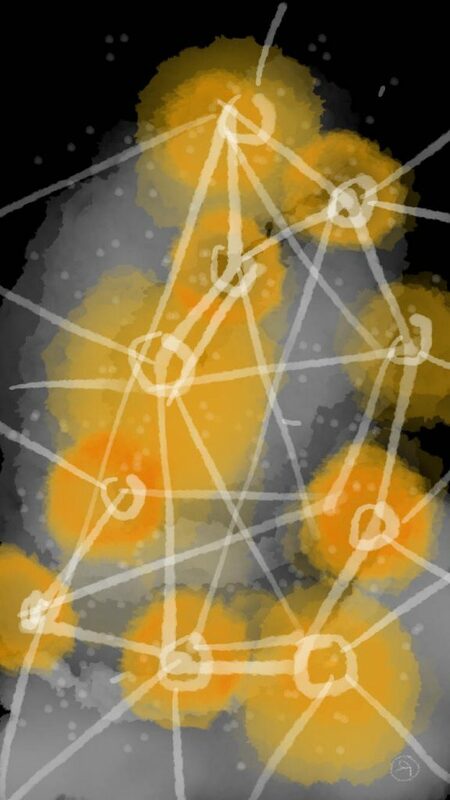 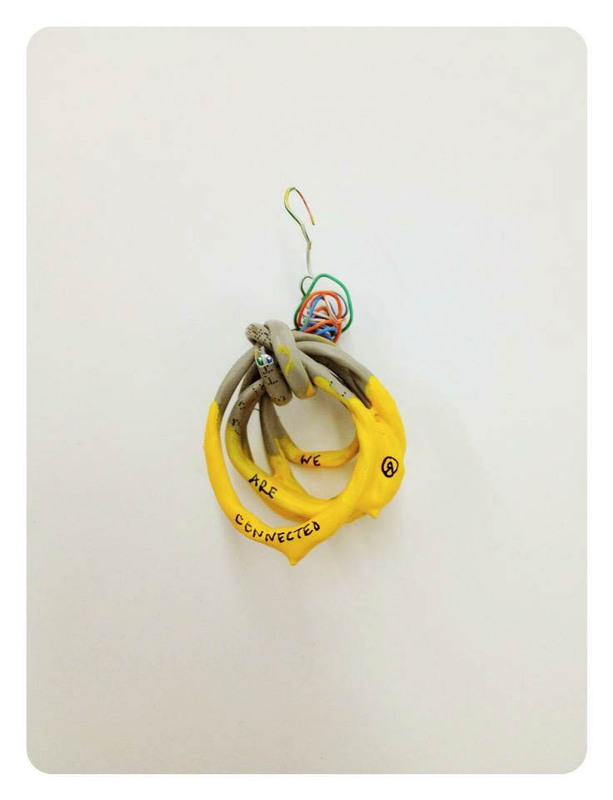 Often times he works with found objects, dipping them in INTOyellow as symbols blight to light or negative to positive. 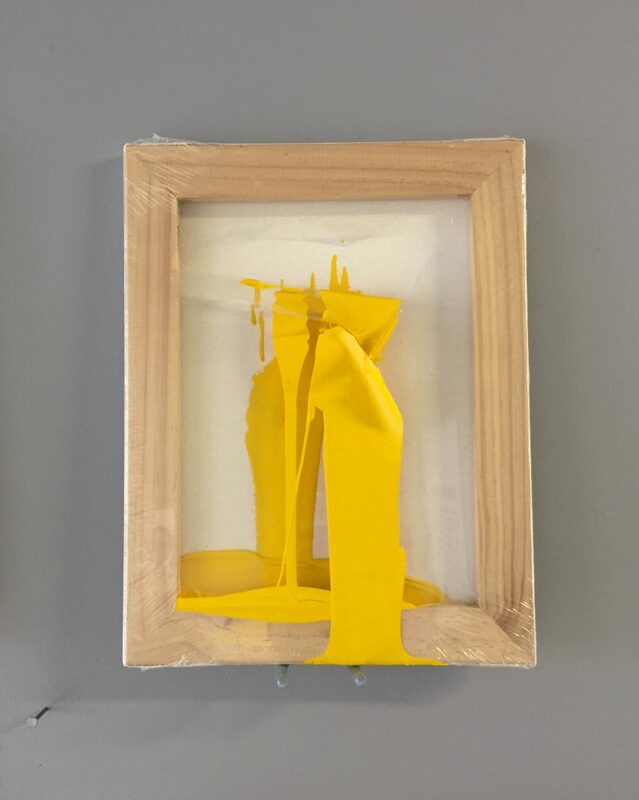 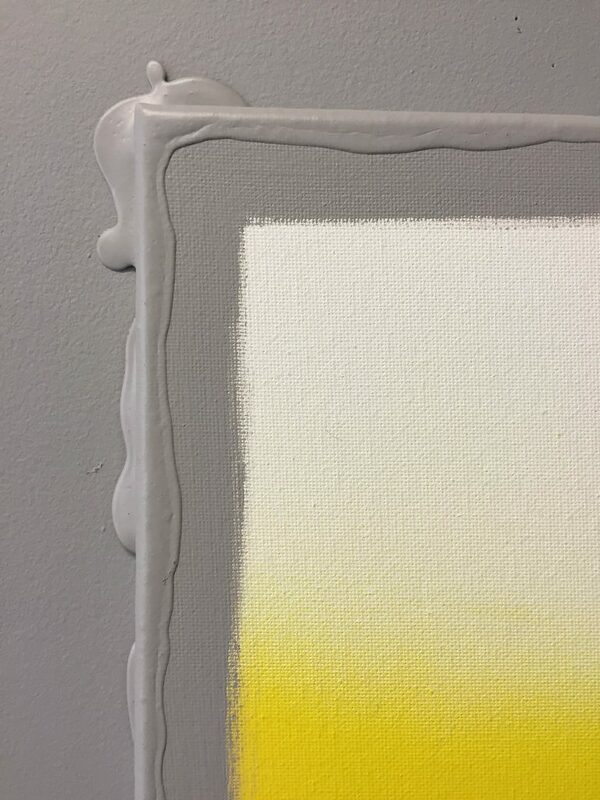 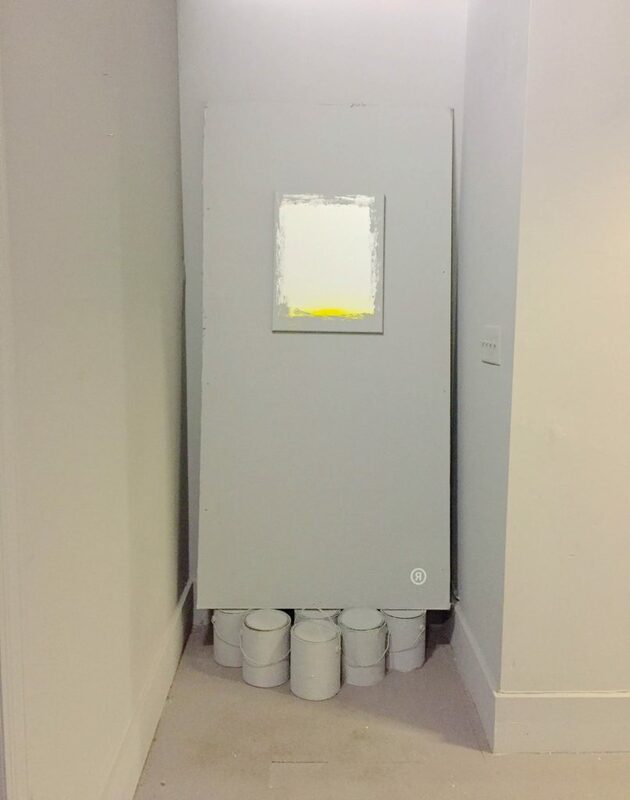 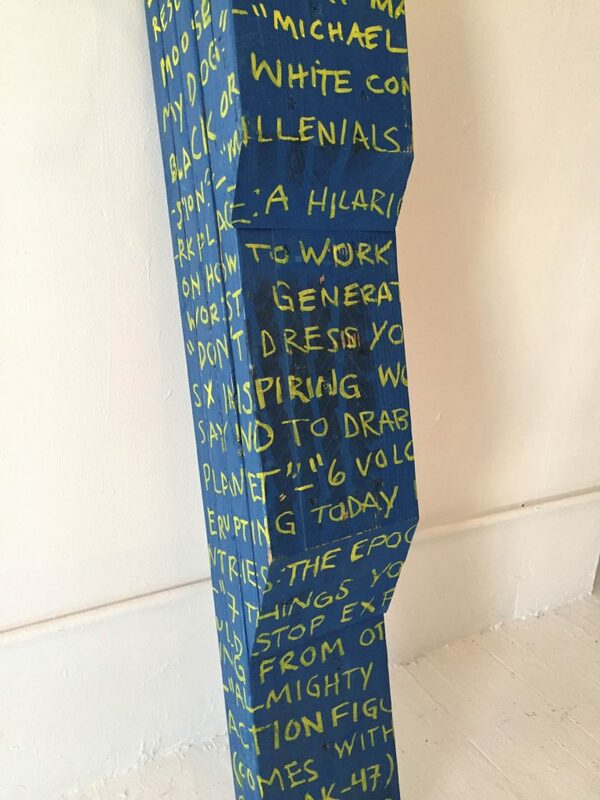 Much of the studio work made at the P(o)ptimism Shoppe studio were paintings on store-bought shrink wrapped canvases (metaphors of protection, ability to start over, commerce) or on discounted damaged store bought canvases (metaphor of accidents, capitalism, waste, skewed perceptions of value). 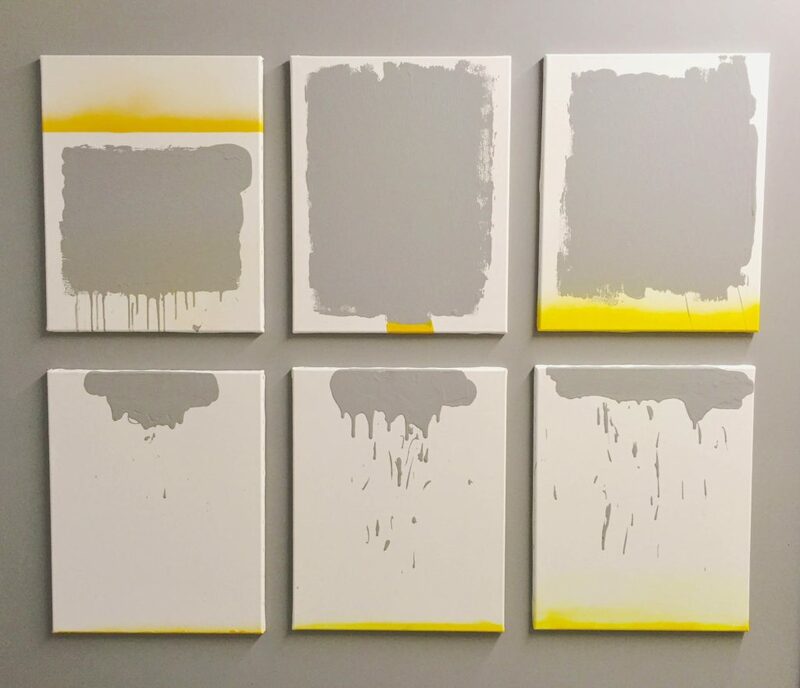 Many of his works challenge the hierarchy of the art world as well as the profit that is made upon the suffering of creative minds. 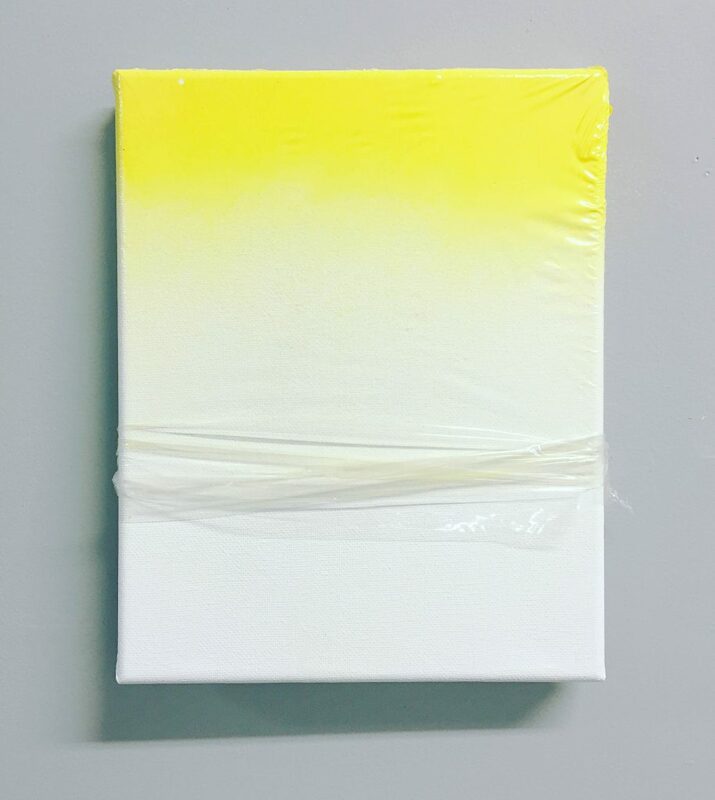 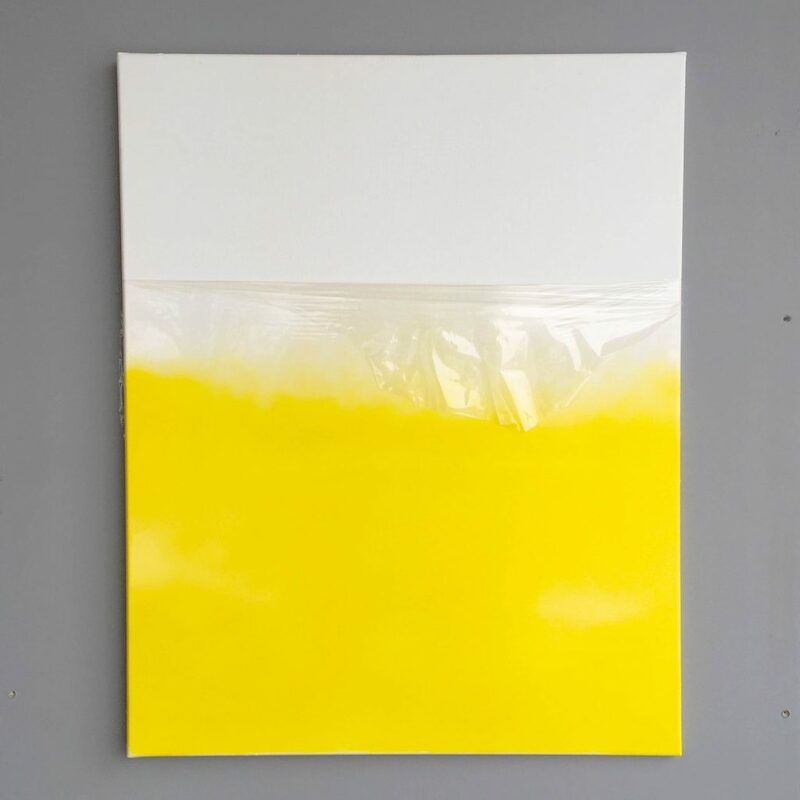 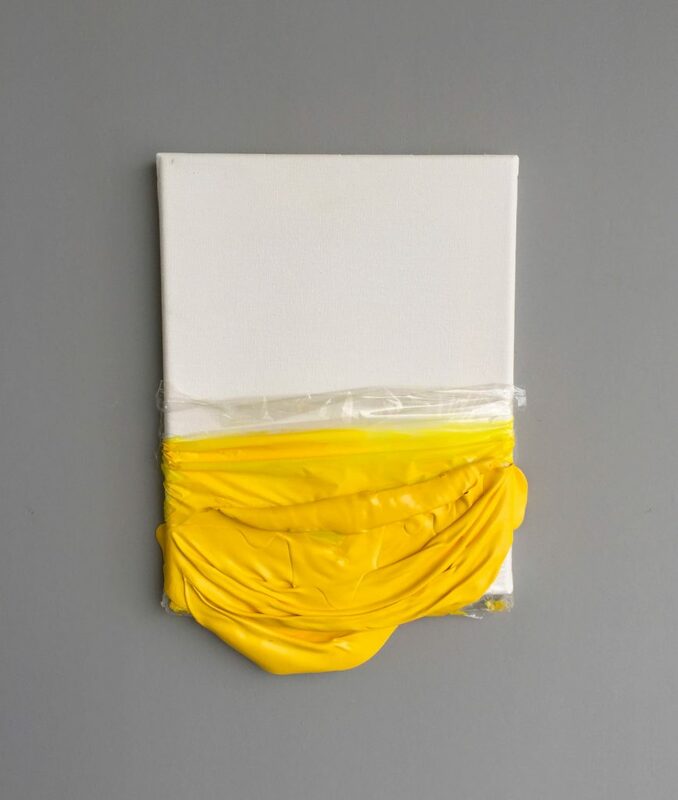 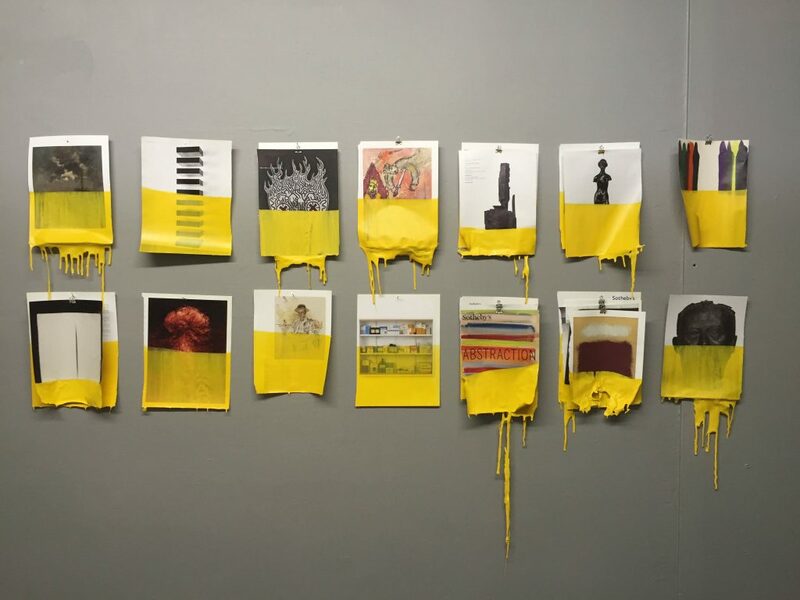 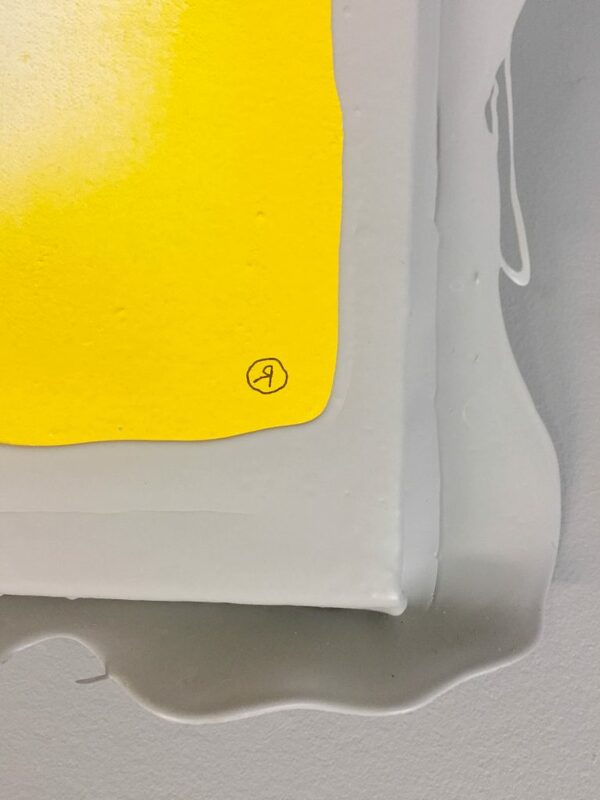 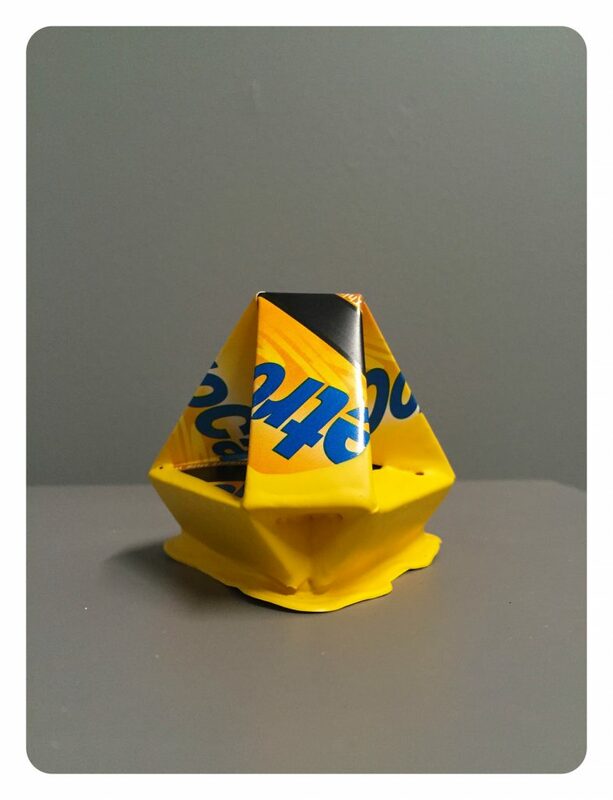 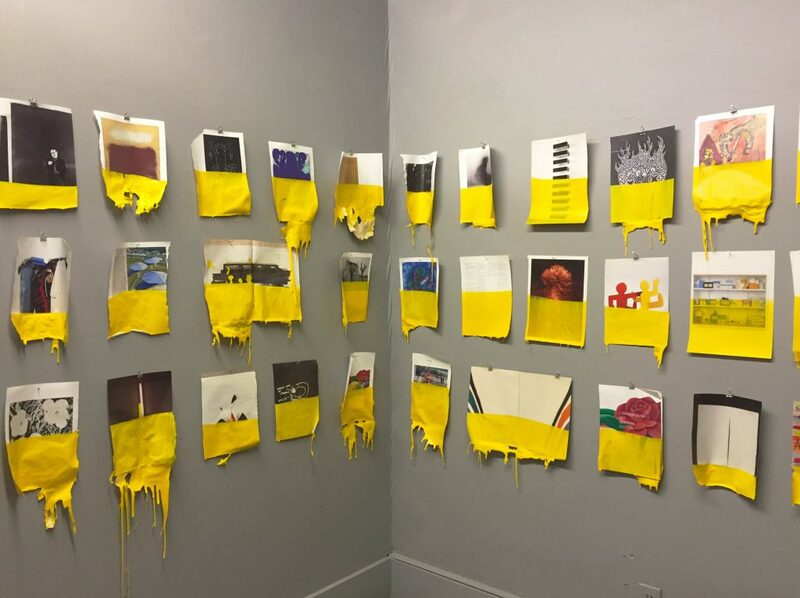 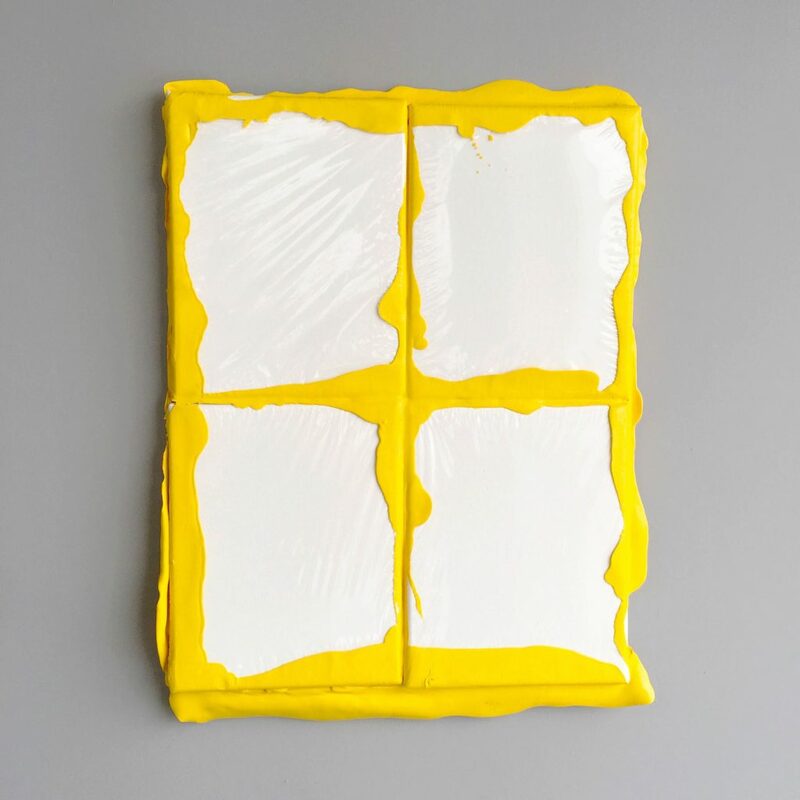 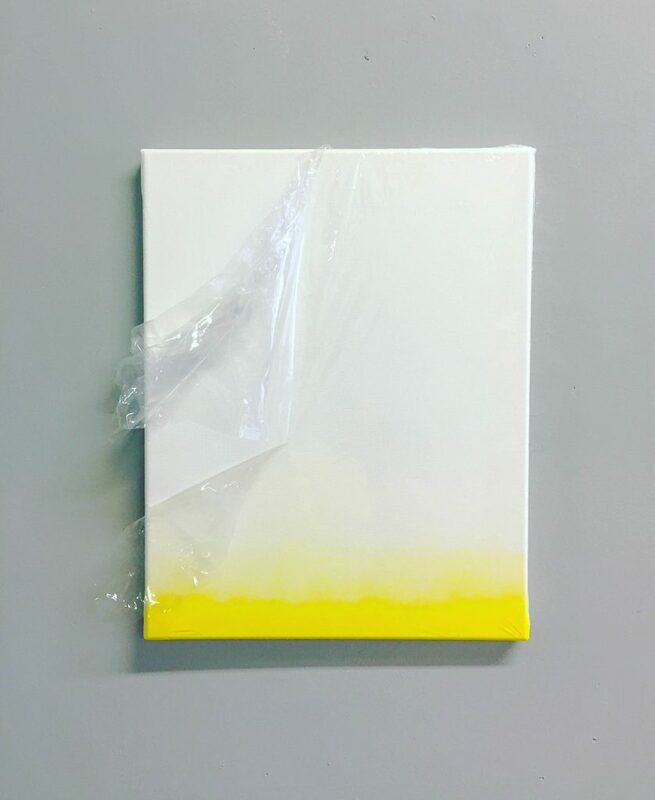 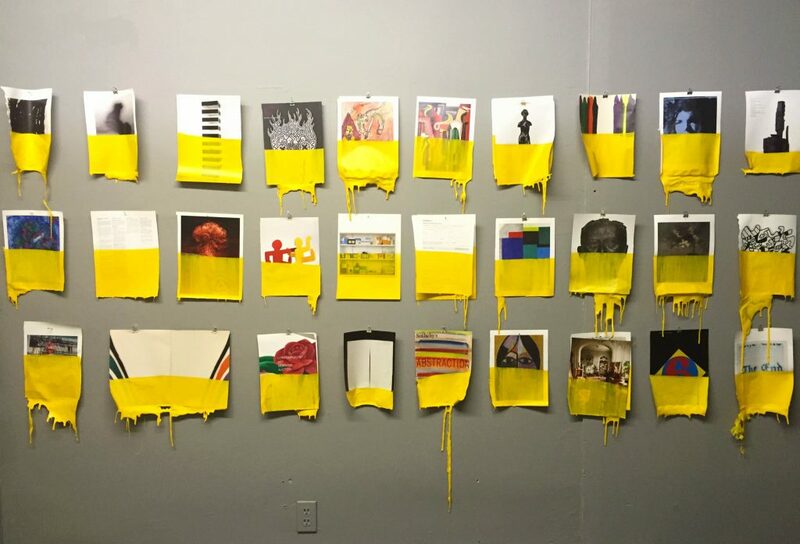 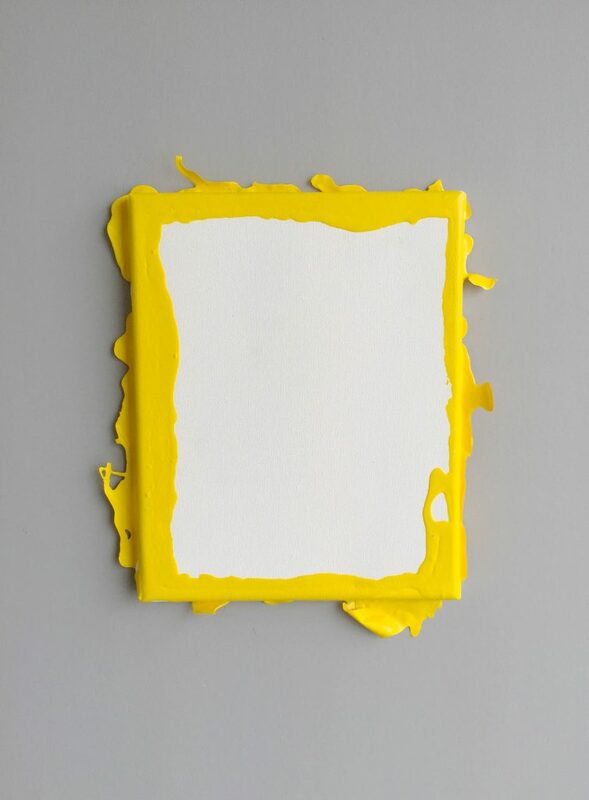 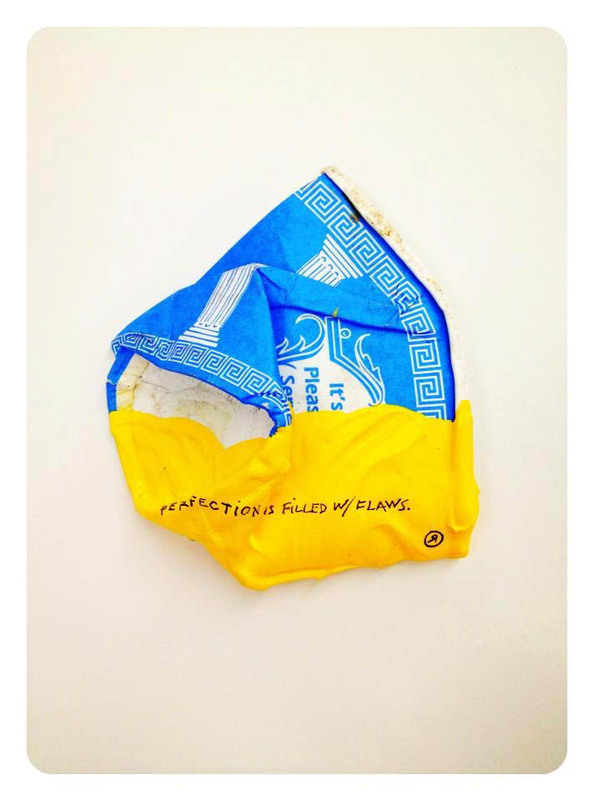 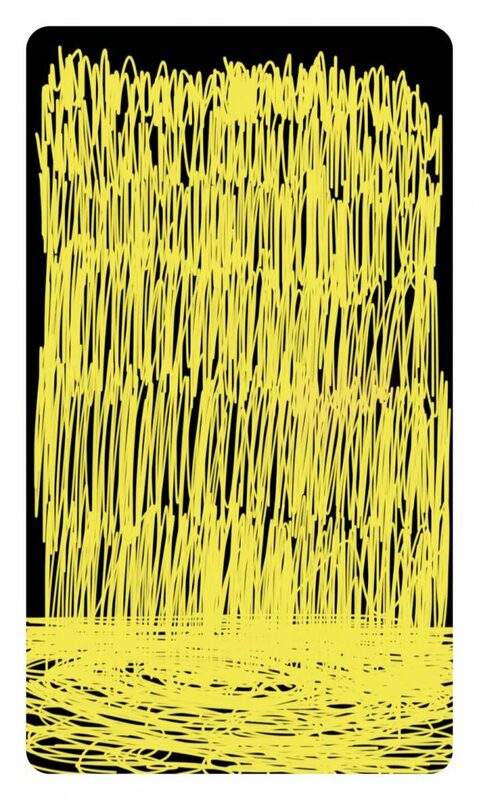 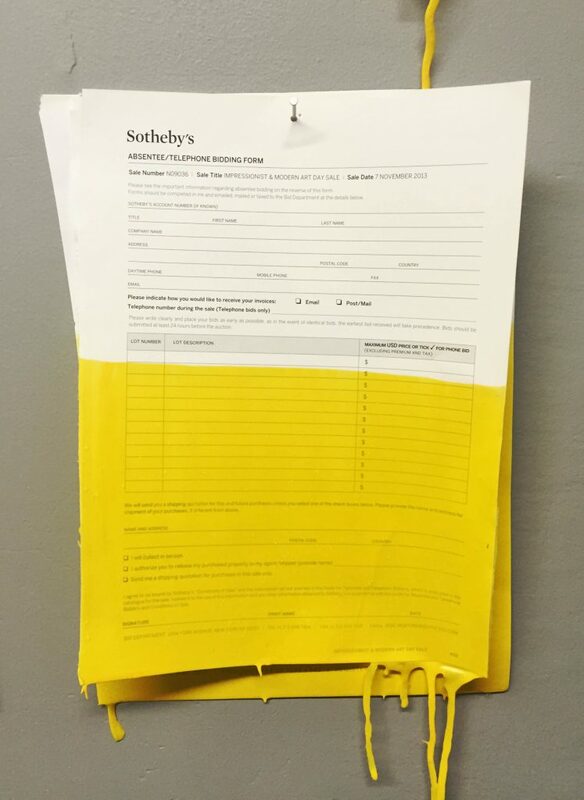 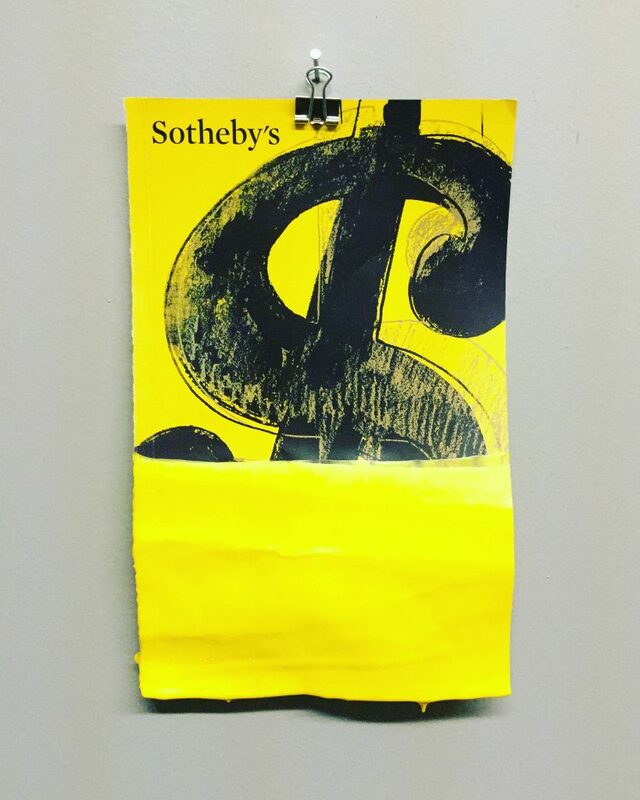 As seen is his sub-series of Sotheby’s art action catalogues soaking in INTOyellow. 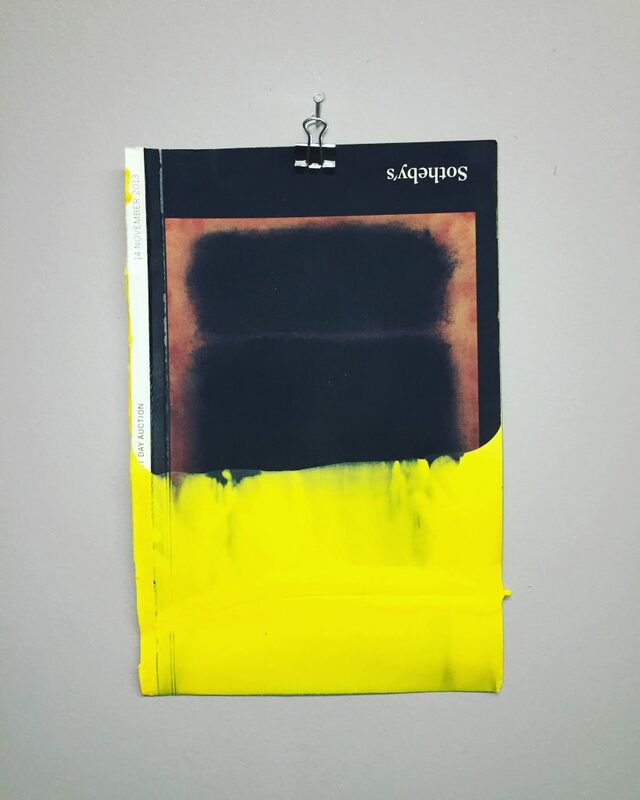 A page from the catalog of a famed work by Mark Rothko, an artist who committed suicide at the height of his career. 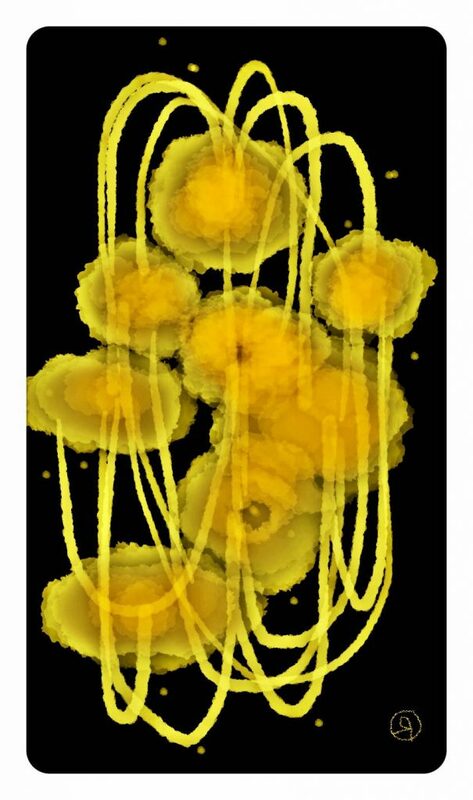 Or of Vincent Van Gogh who suffered from mental health issues and struggled throughout his life financially and emotionally. 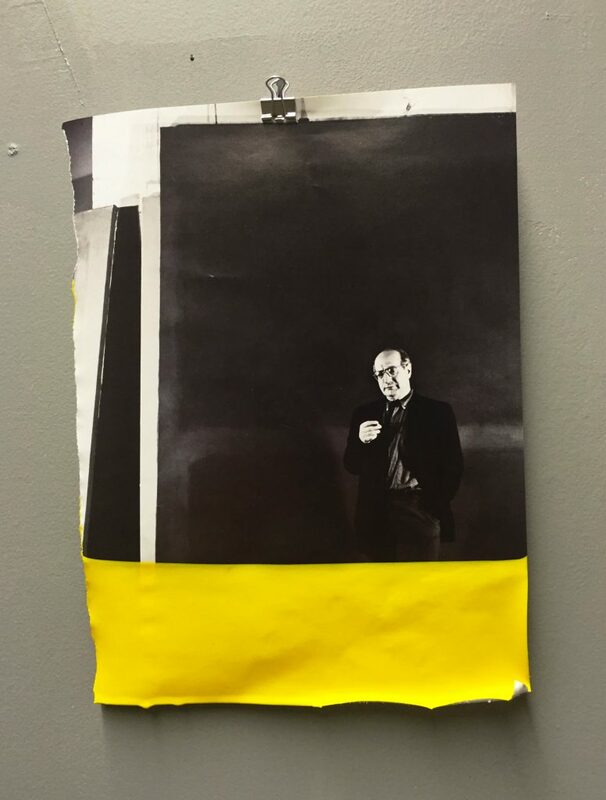 RIley seeks to undermine the standard belief that artists must suffer for their art.